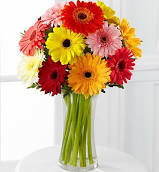 Gerbera Daisies are the fifth most popular cut flower in the world; after Rose, Carnation, Chrysanthemum, and Tulip. 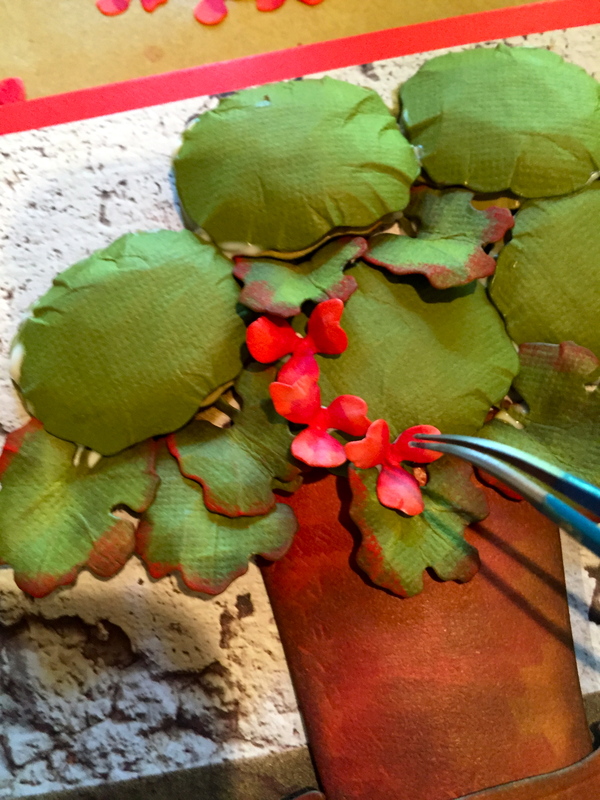 It was named in honor of the German botanist and medical doctor, Traugott Gerber, a friend of Carl Linnaeus. 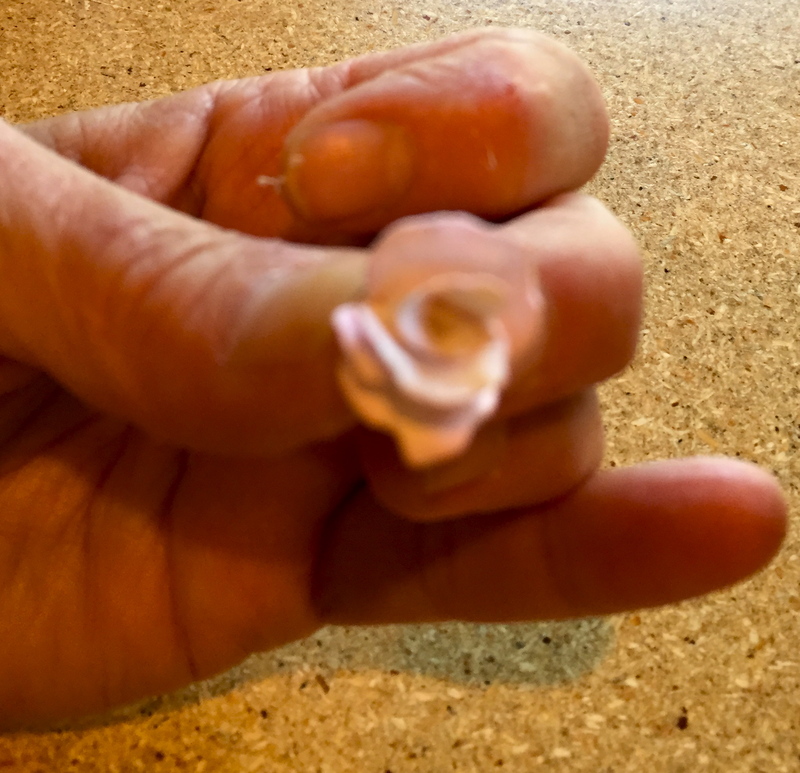 It is attractive to bees, butterflies, and birds, but resistant to deer, which for most home gardeners is a good thing! 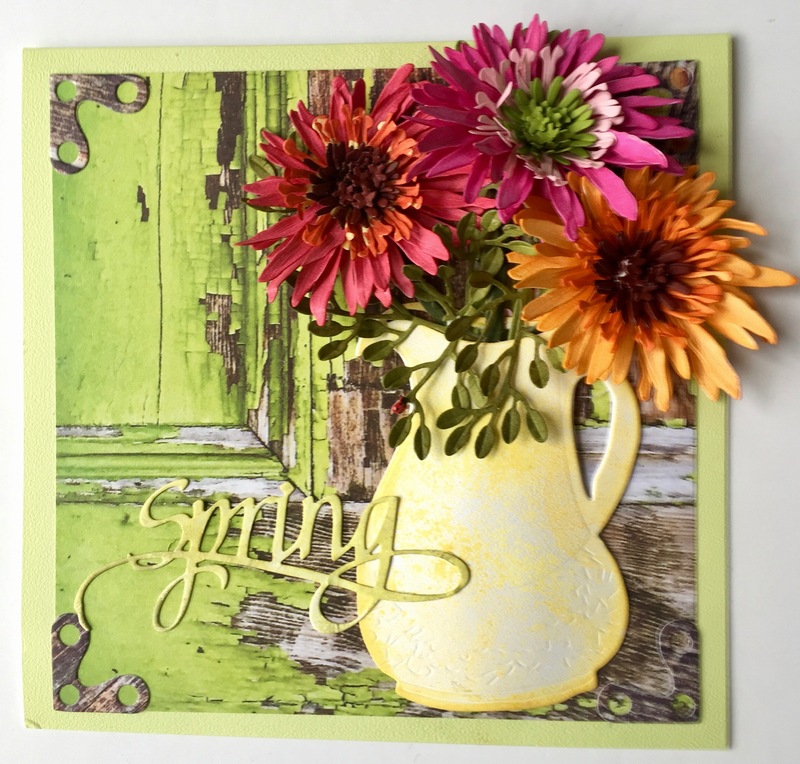 I love the brilliant colors of the Gerber Daisy and in a bouquet it can make quite a statement. 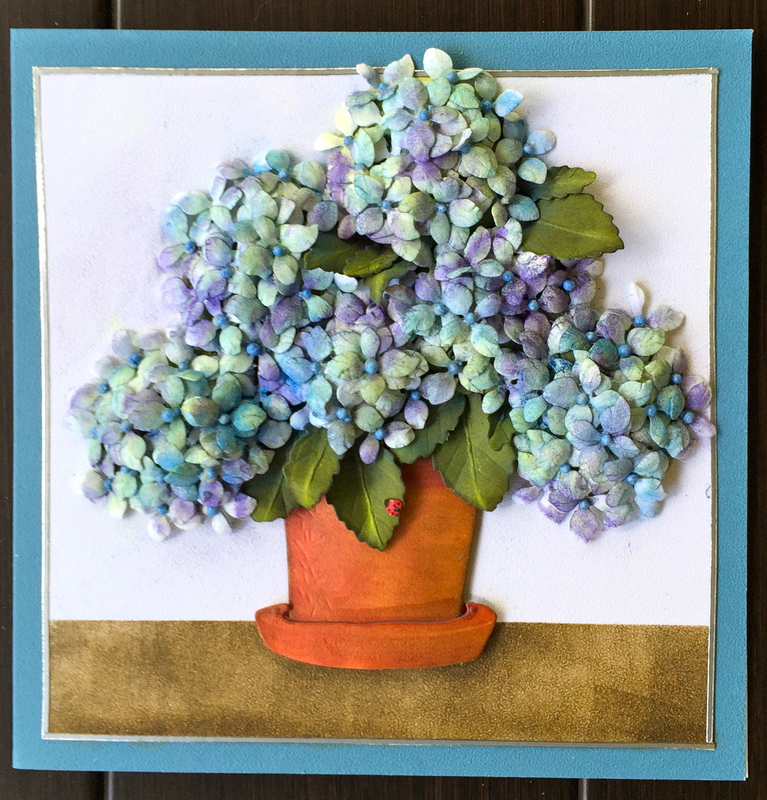 Here in the south, Spring has burst and I couldn’t help but create a bouquet in honor of this spectacular season of color! 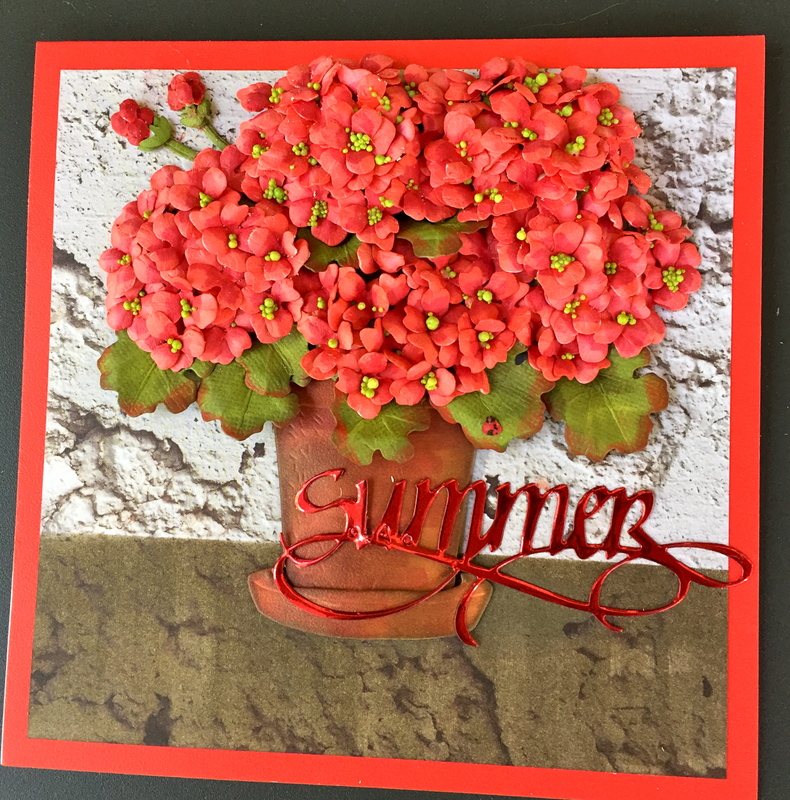 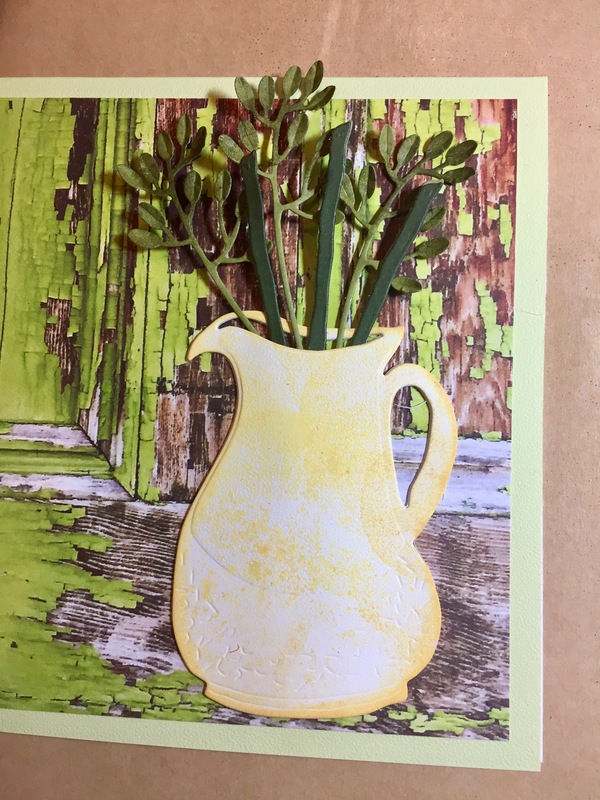 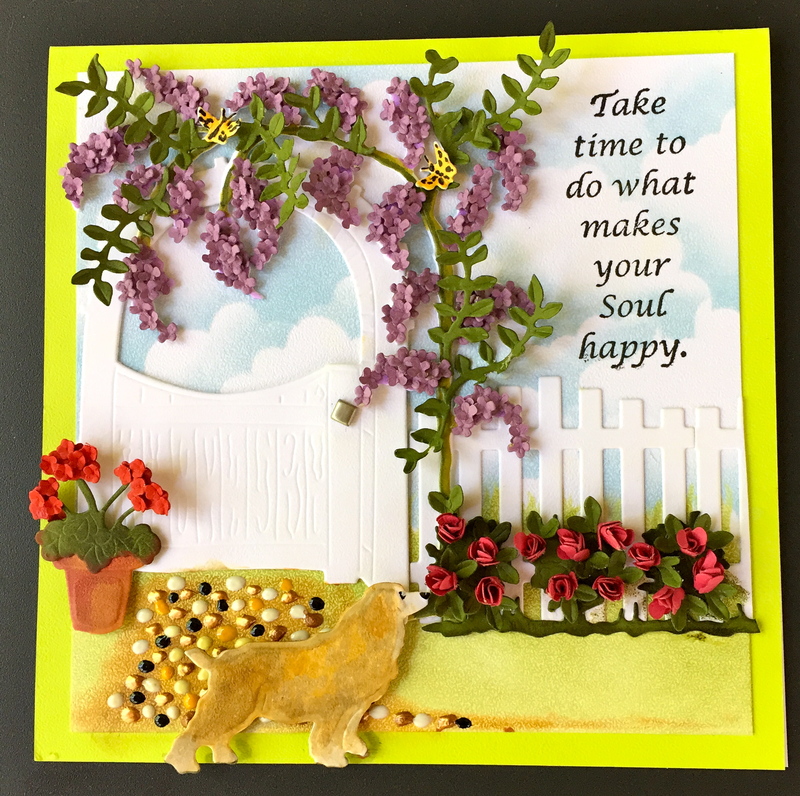 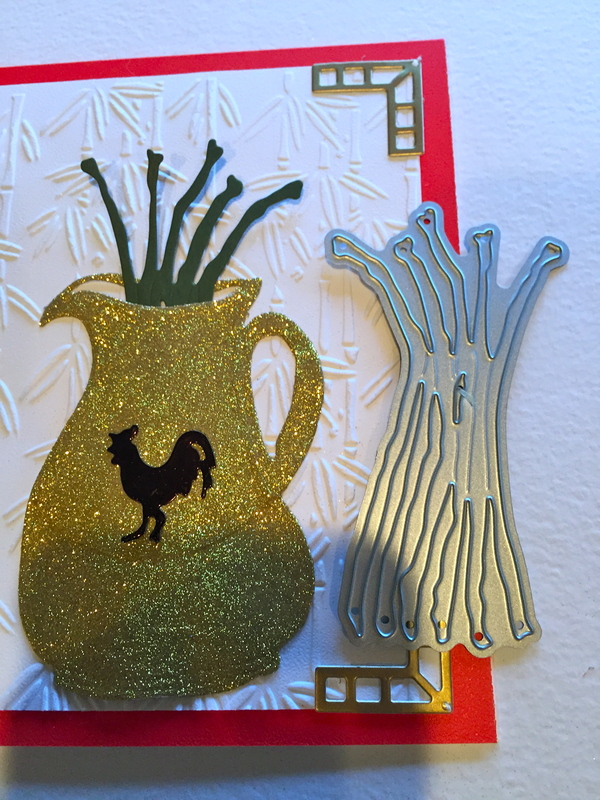 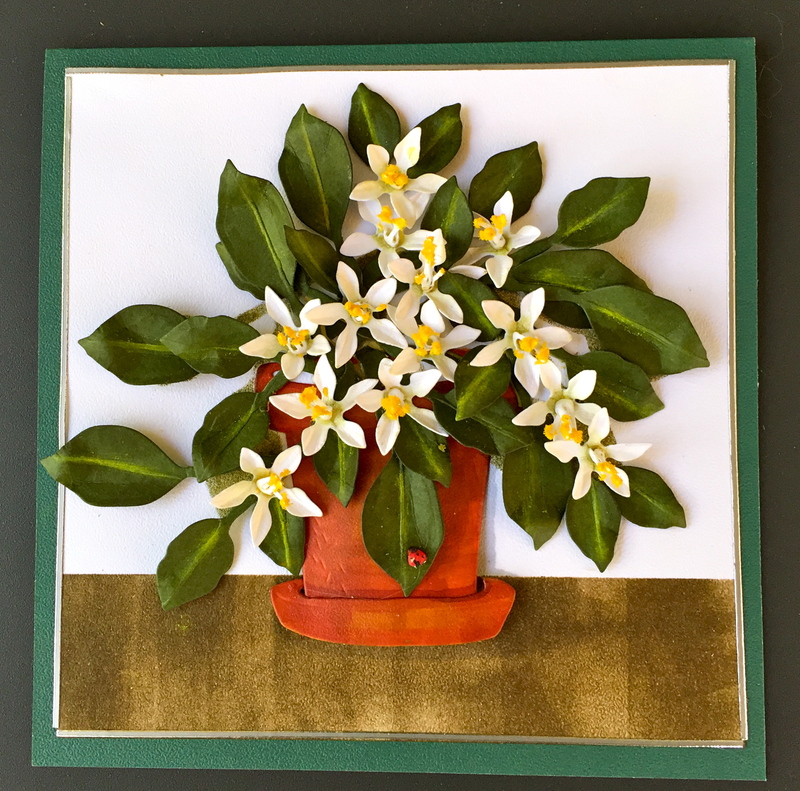 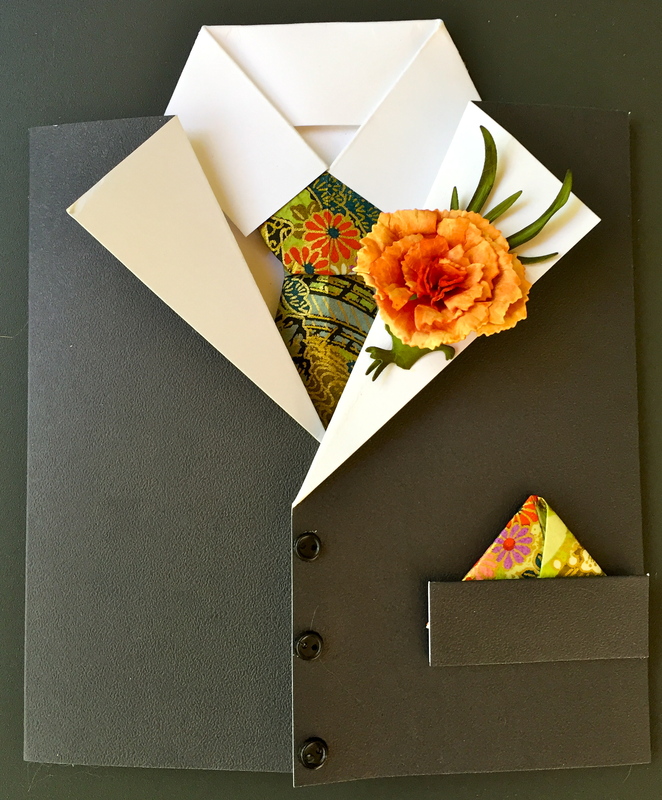 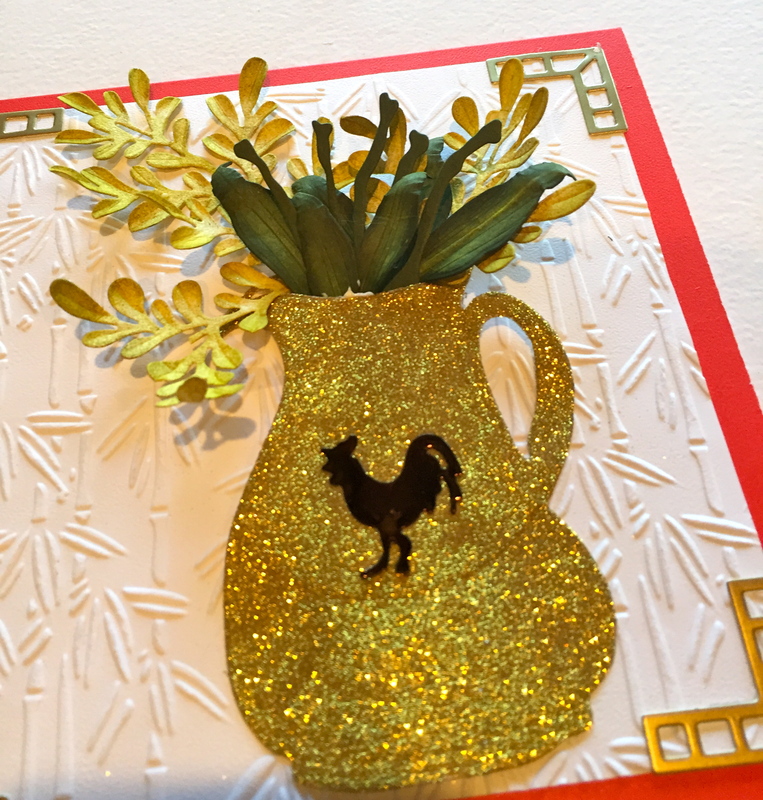 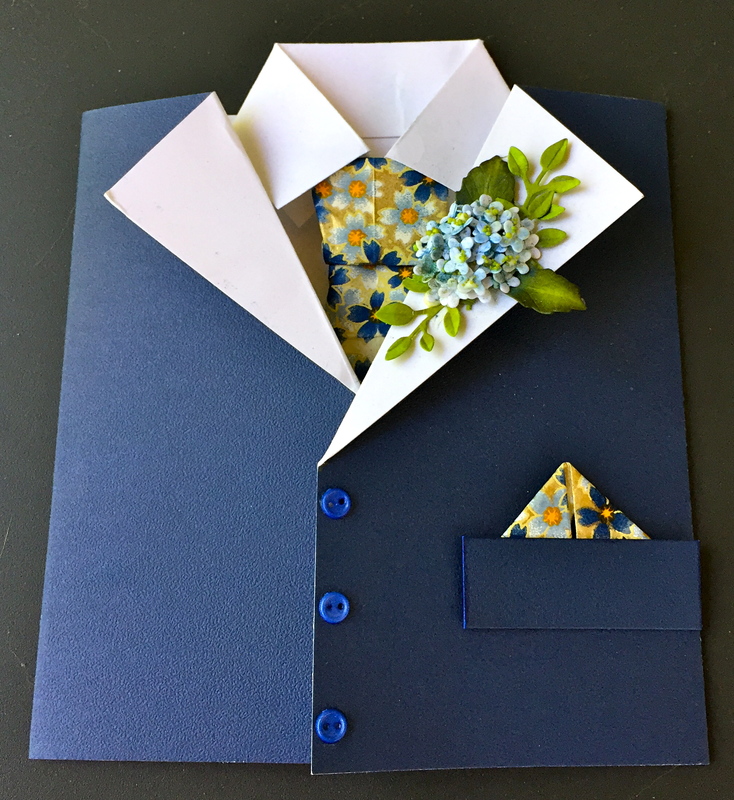 I used Celadon Green Soft Finished card stock trimmed to a 6″ x 6″ for the card with Els van de Burgt Studio “Through the Lens/Wood” background trimmed to 5 1/2″ x 5 1/2″. 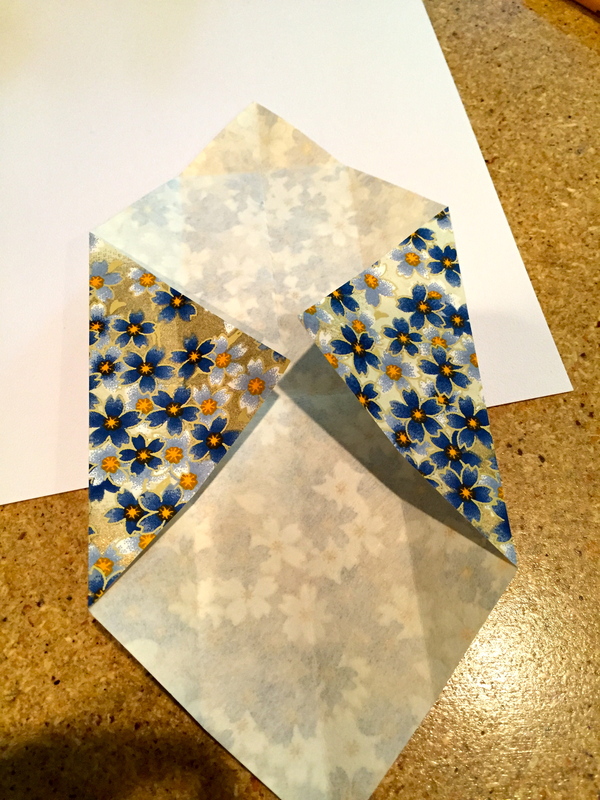 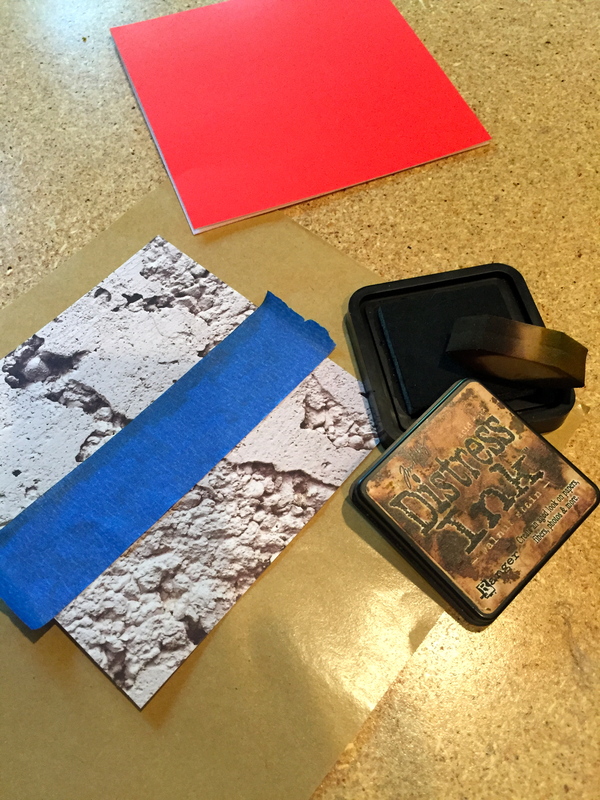 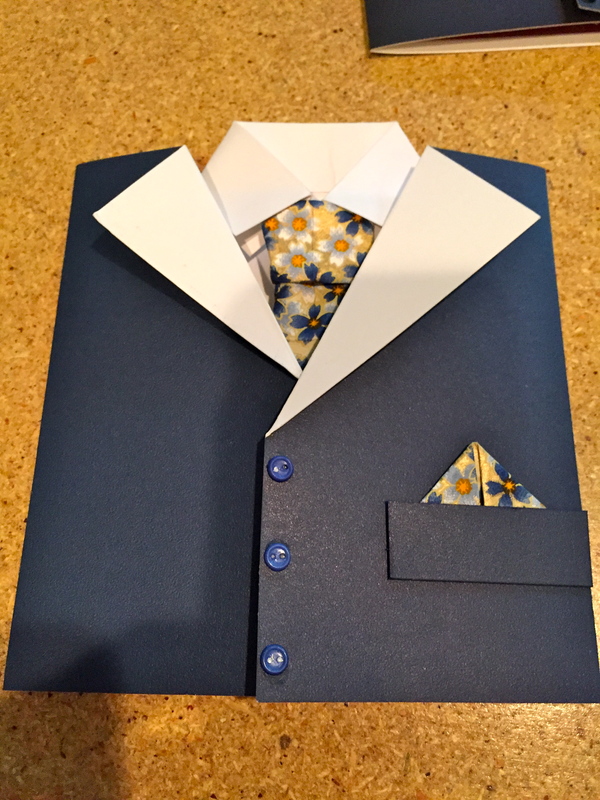 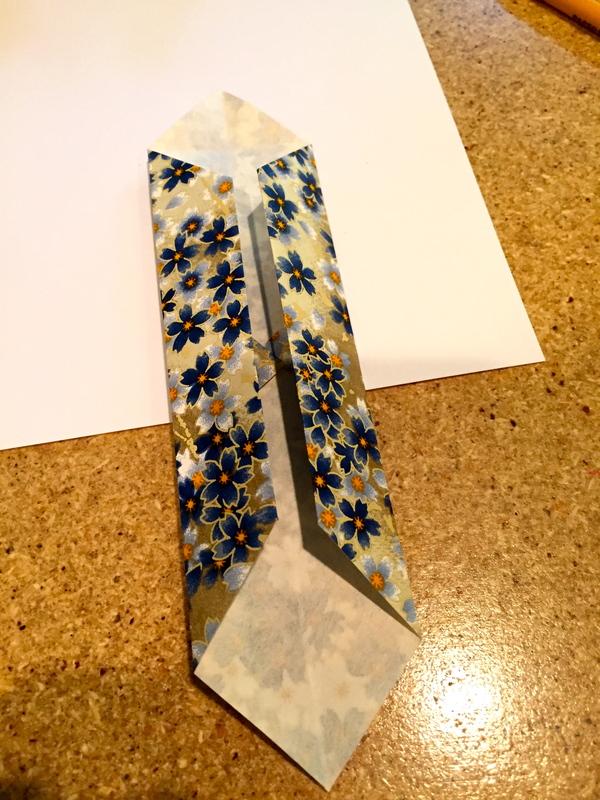 I also used Corners 1 and die cut 4 in another “Wood” paper from the collection. 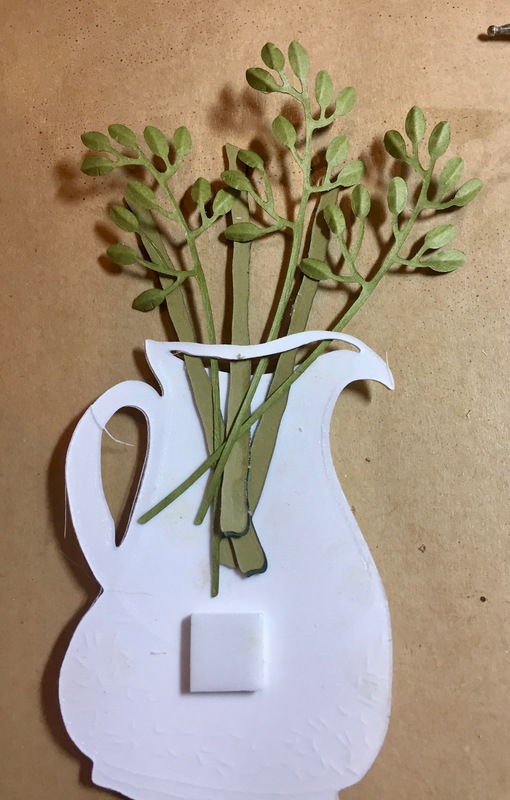 Die cut two Garden Notes Pottery Pitchers in Soft Finished White 100 lb. 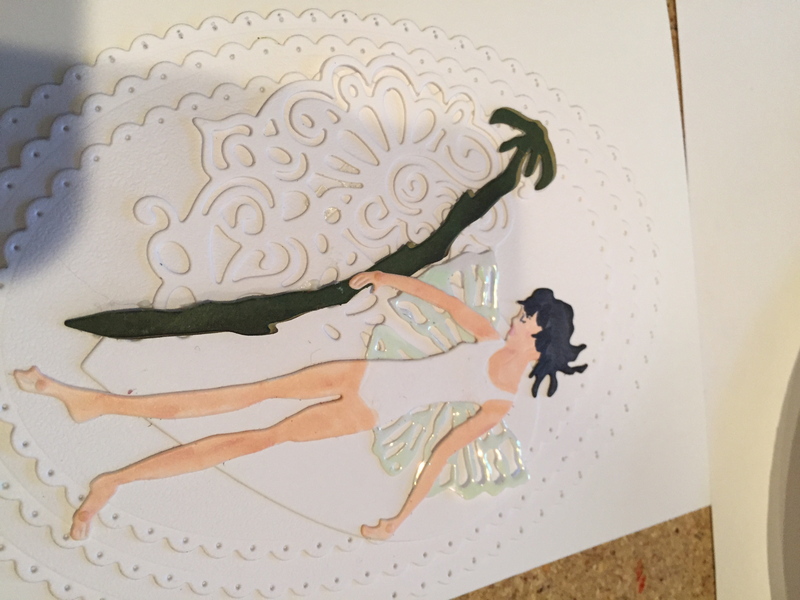 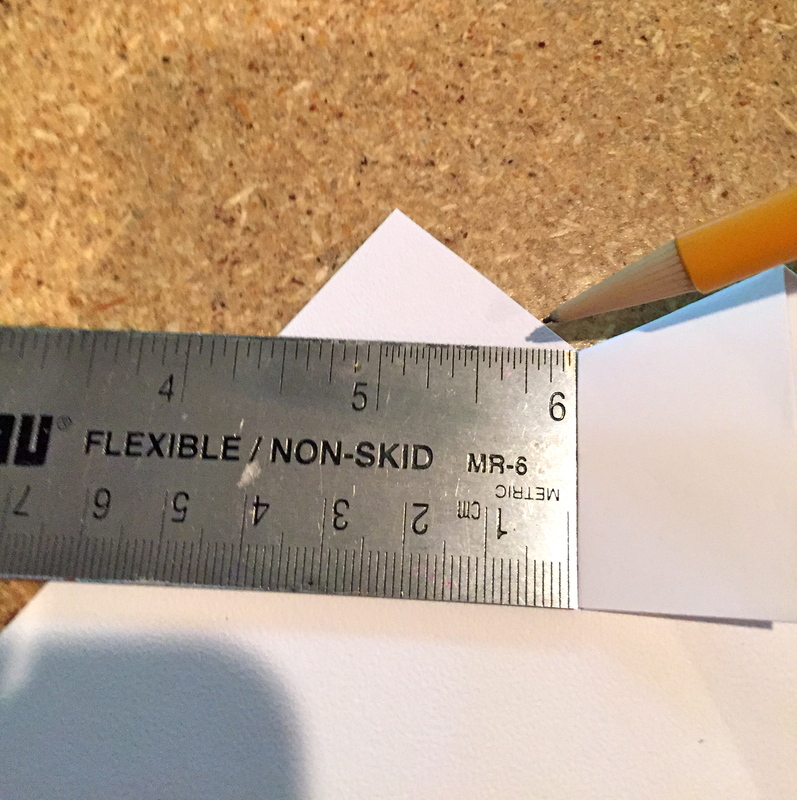 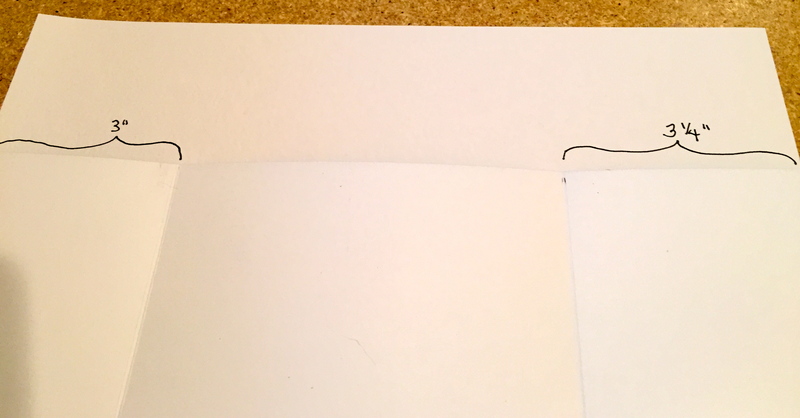 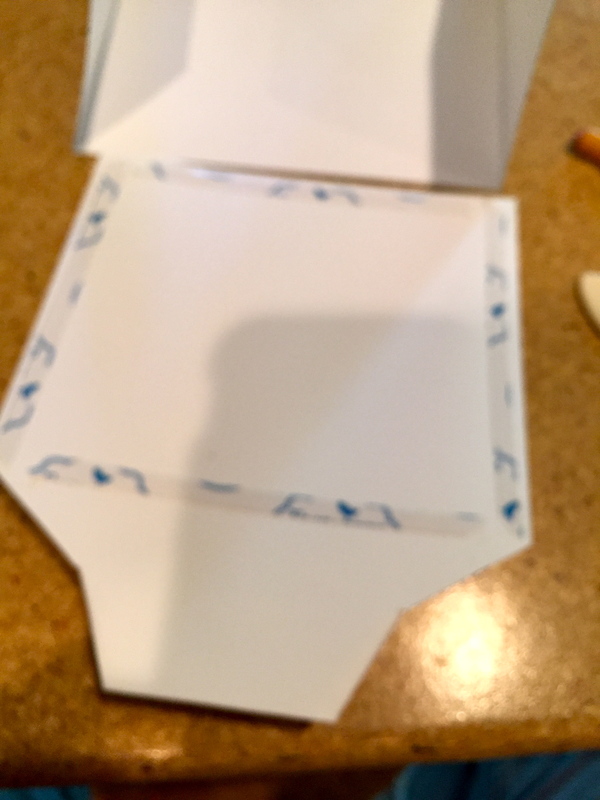 card stock with Clear Double Sided Adhesive on the backs. 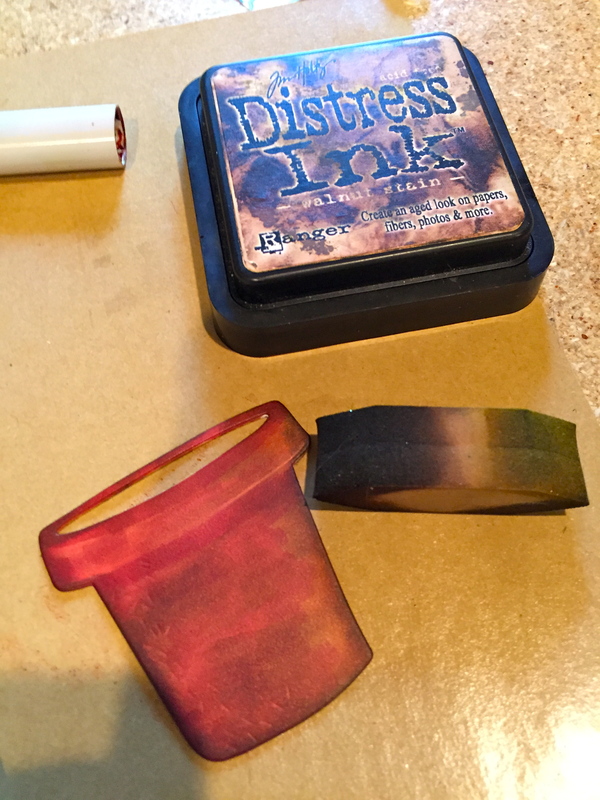 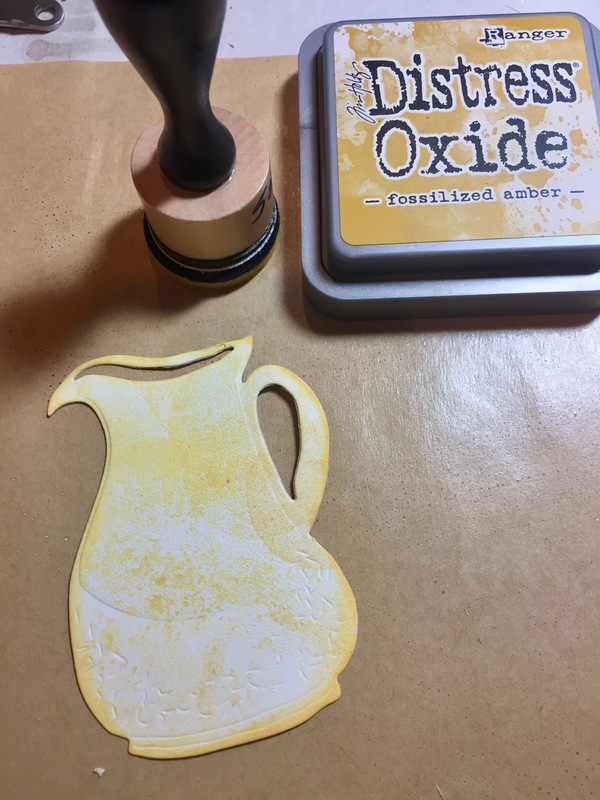 Adhere the one pitcher on top of the other, then using Distress/Oxide ink, I colored the pitcher. 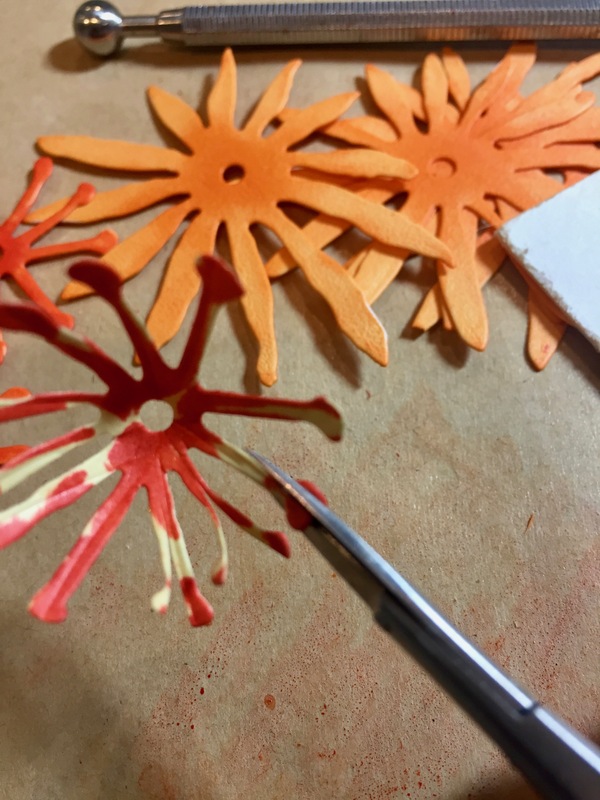 I die cut 6 stems from the Gerbera Daisy; three in a 80 lb. 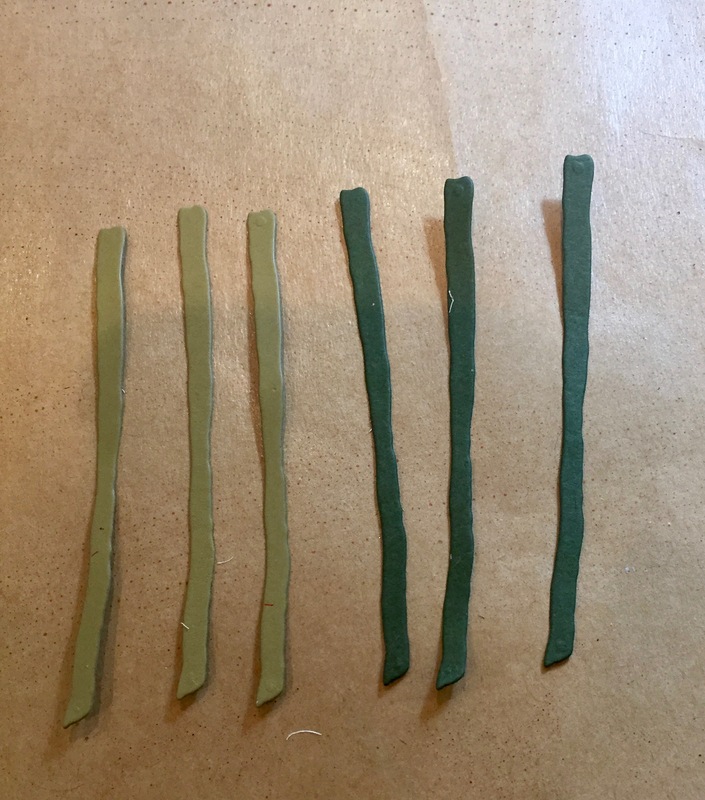 medium green and 3 in a 100 lb. 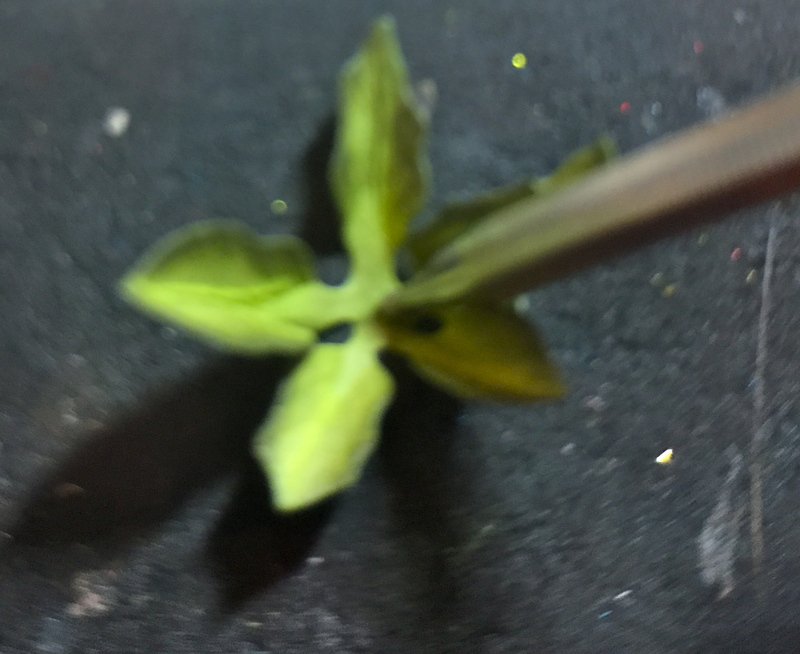 lighter green to add stability and depth to the stem. 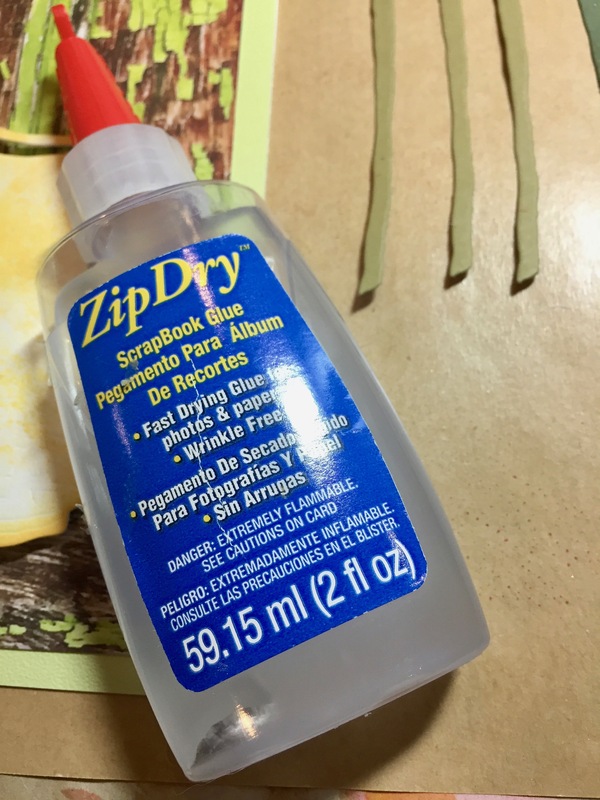 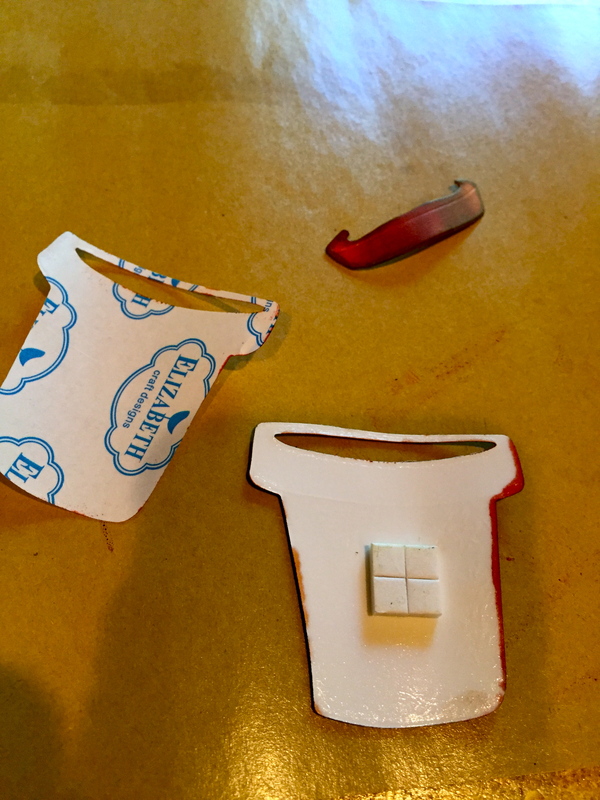 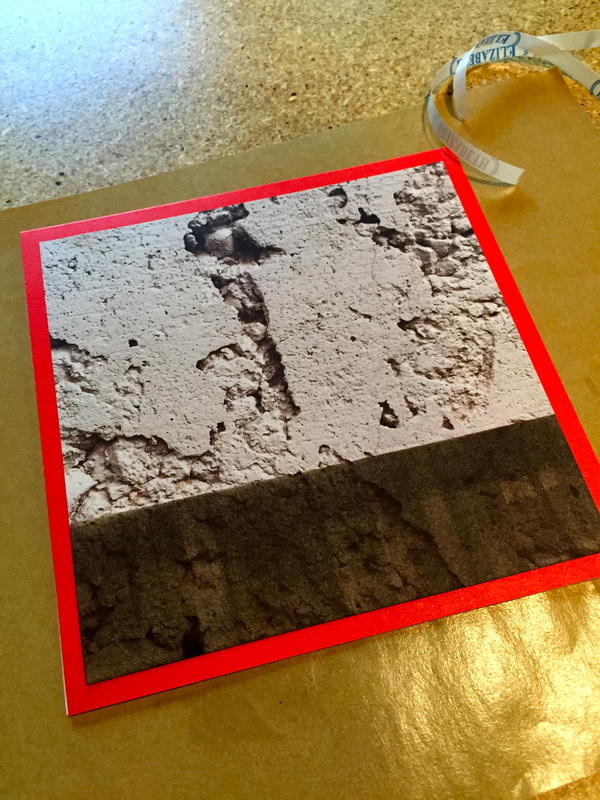 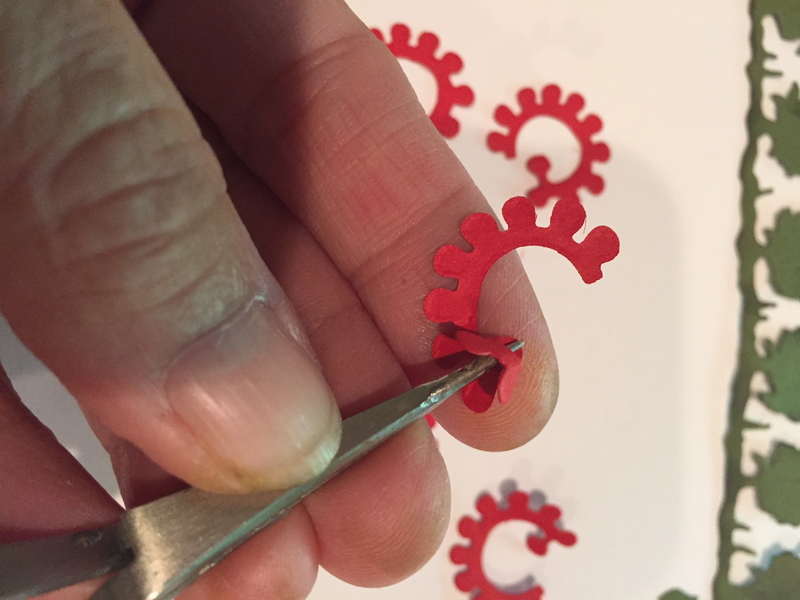 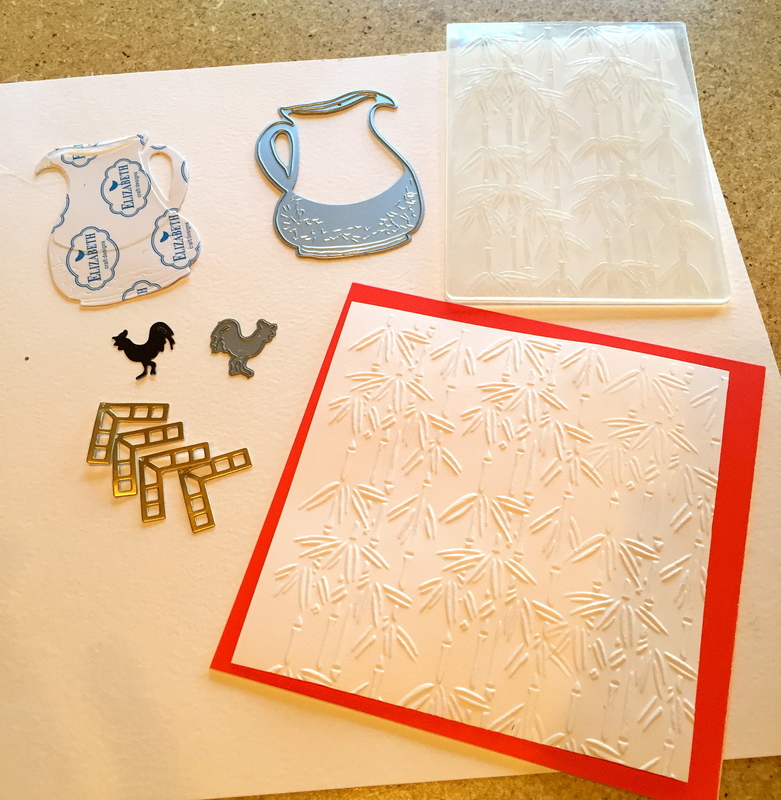 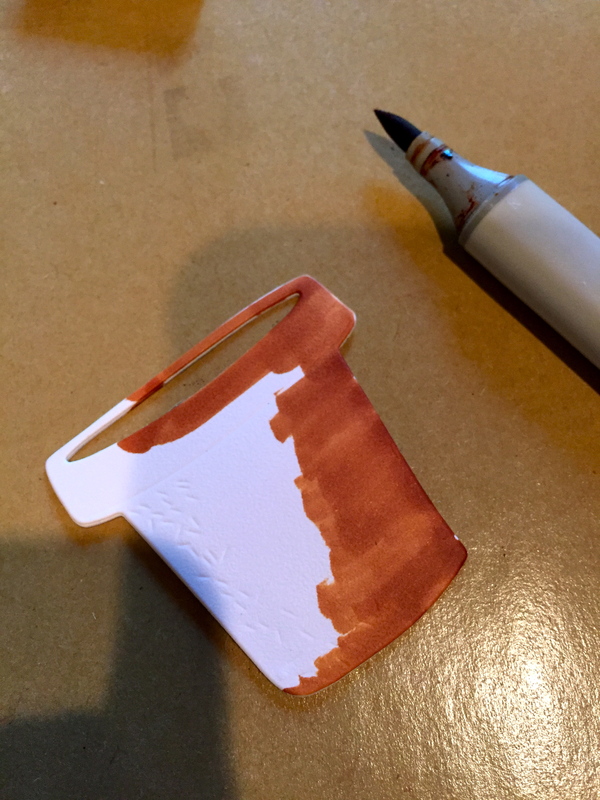 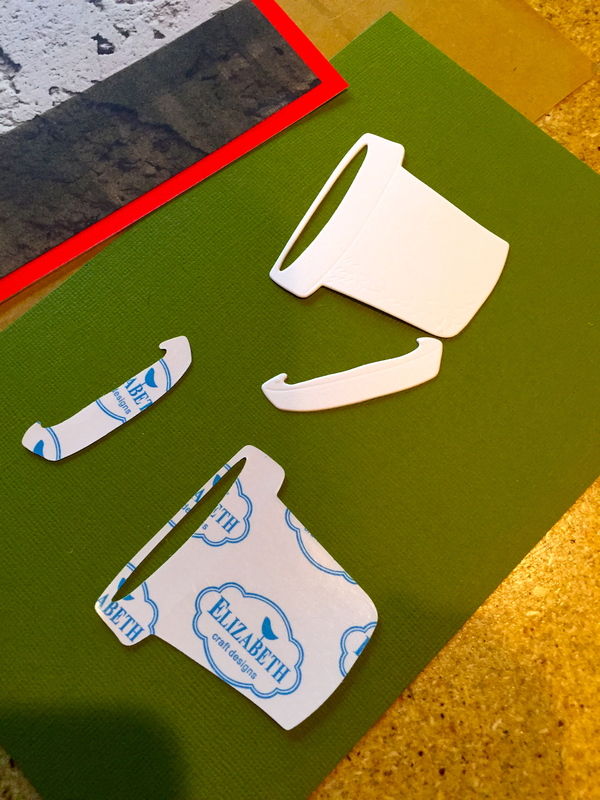 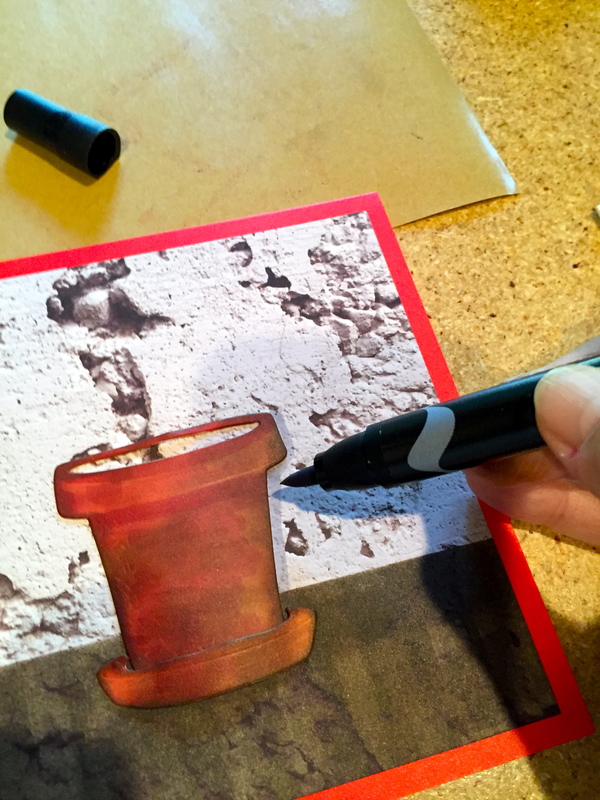 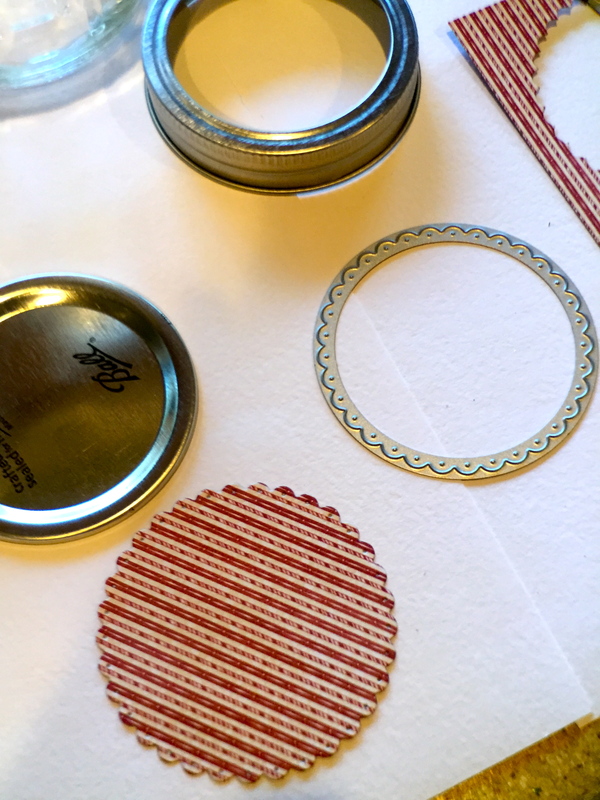 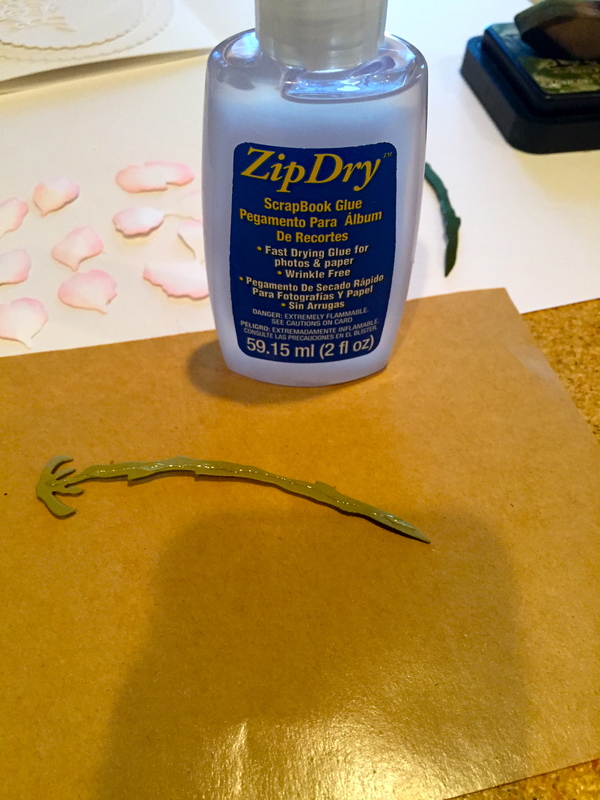 Use Beacon’s Zip Dry glue to adhere the pieces together. 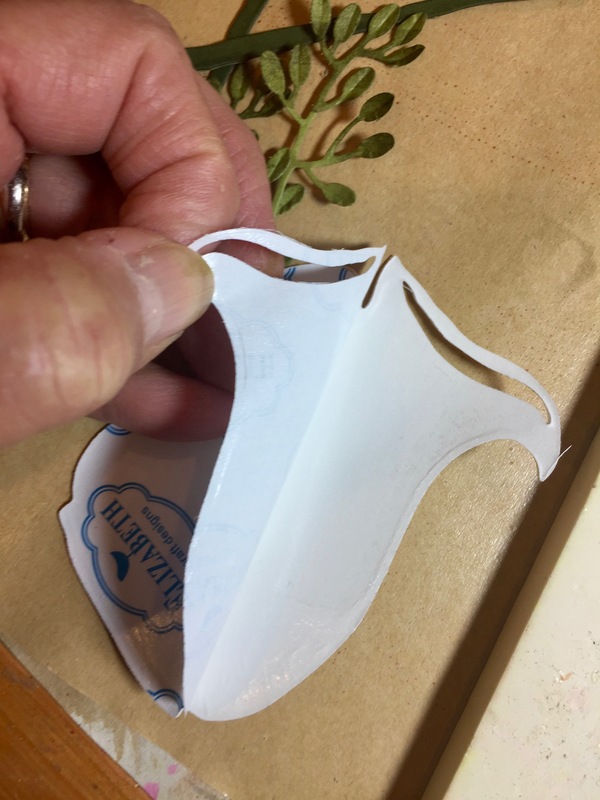 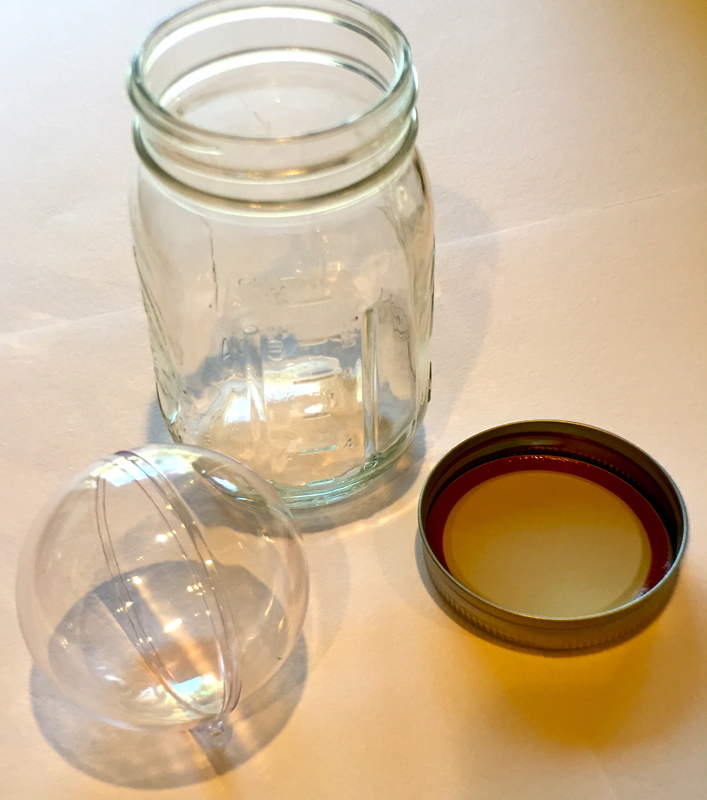 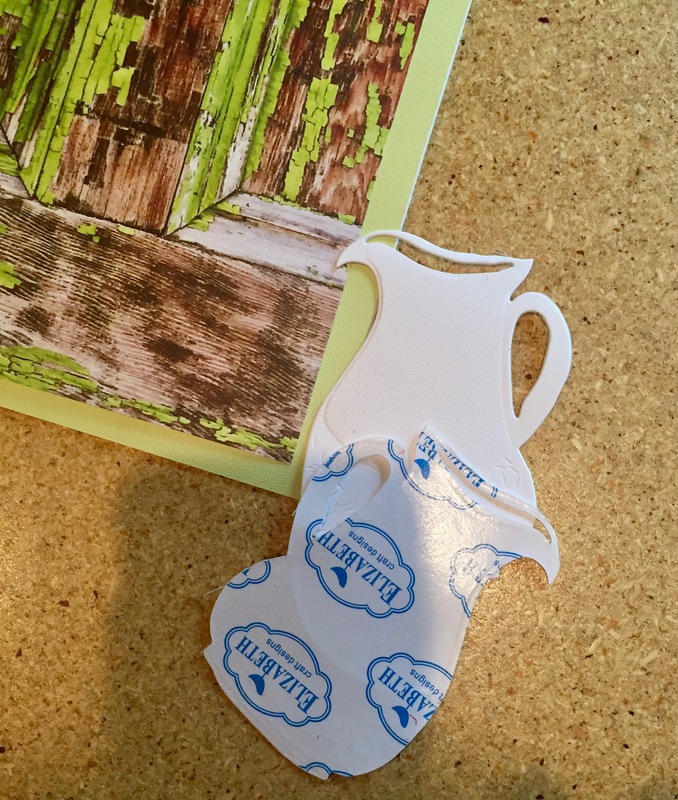 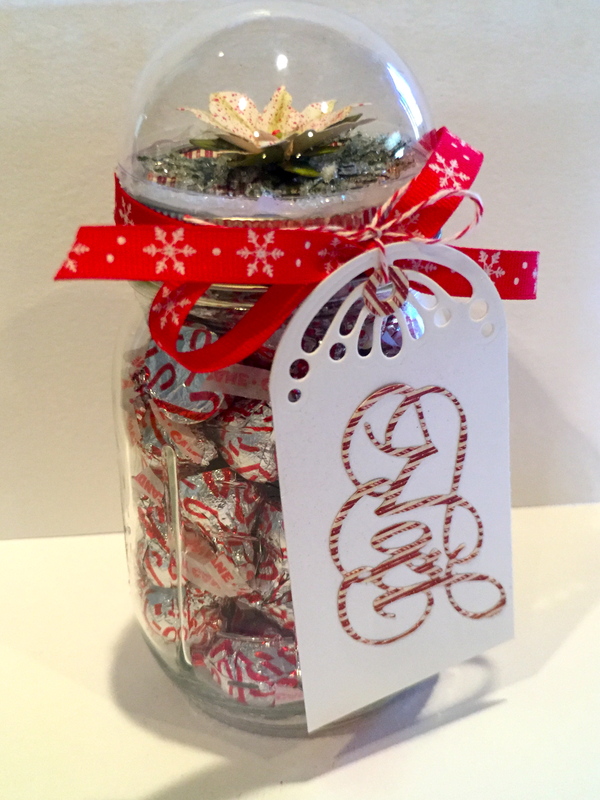 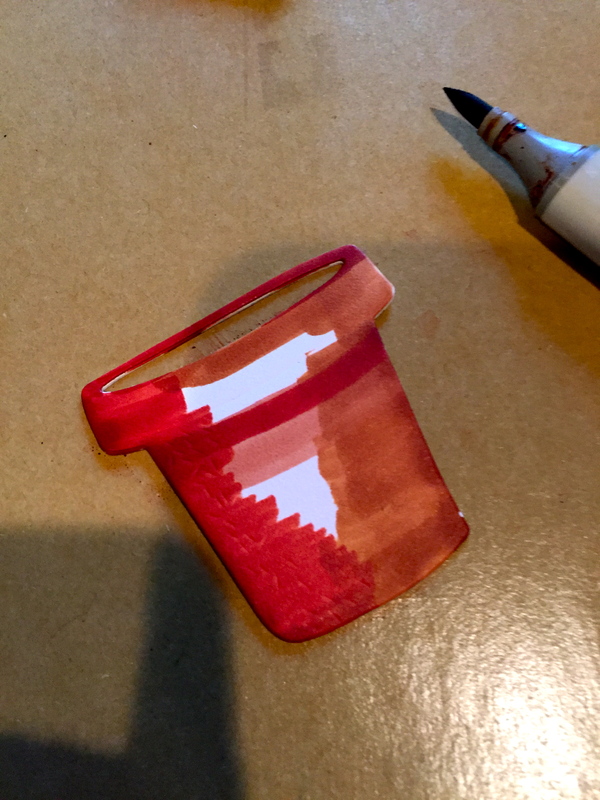 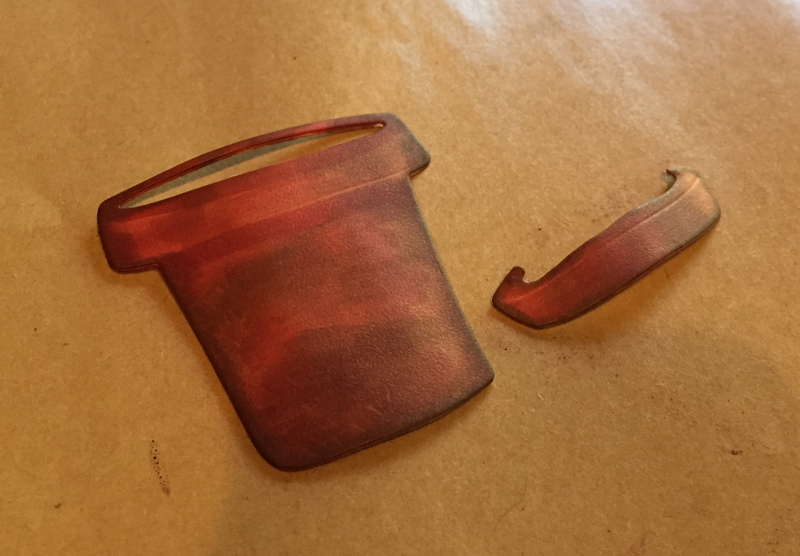 Peel off the Clear Double Sided Adhesive of the Potter Pitcher and feed the stems through the opening. 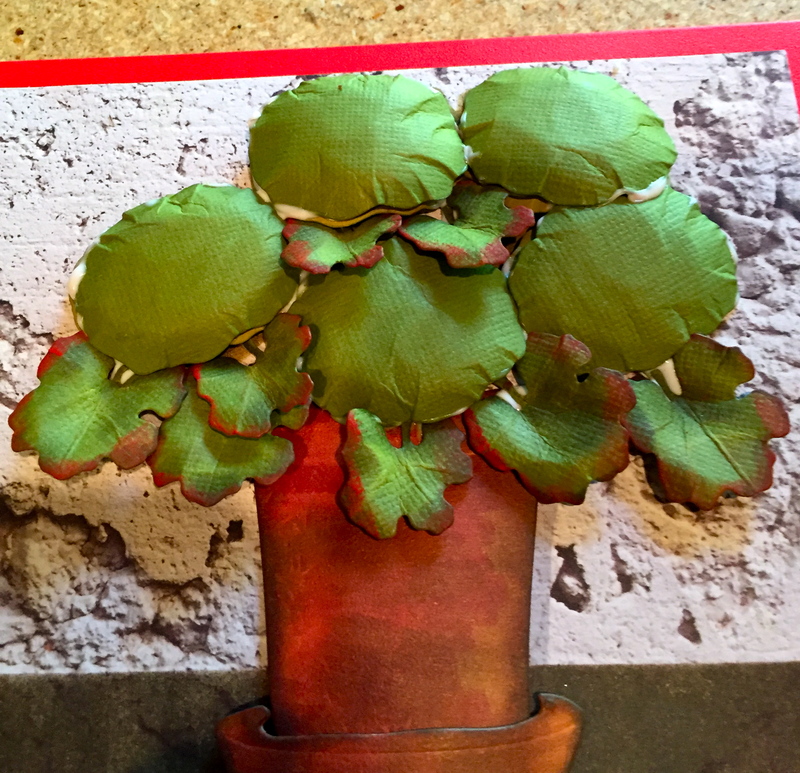 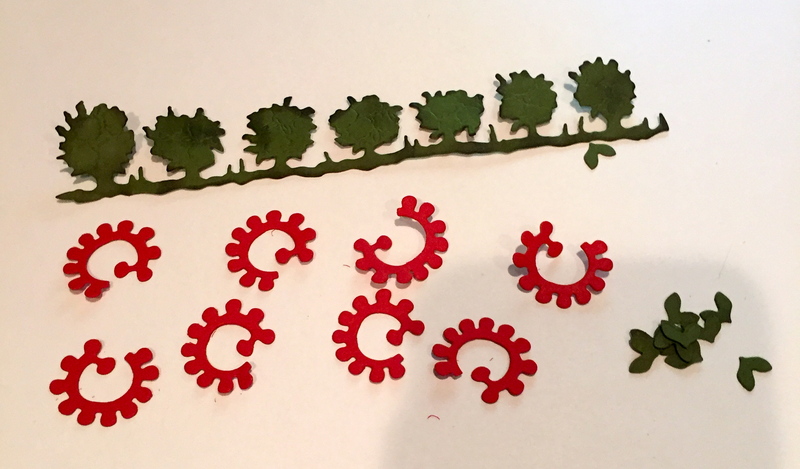 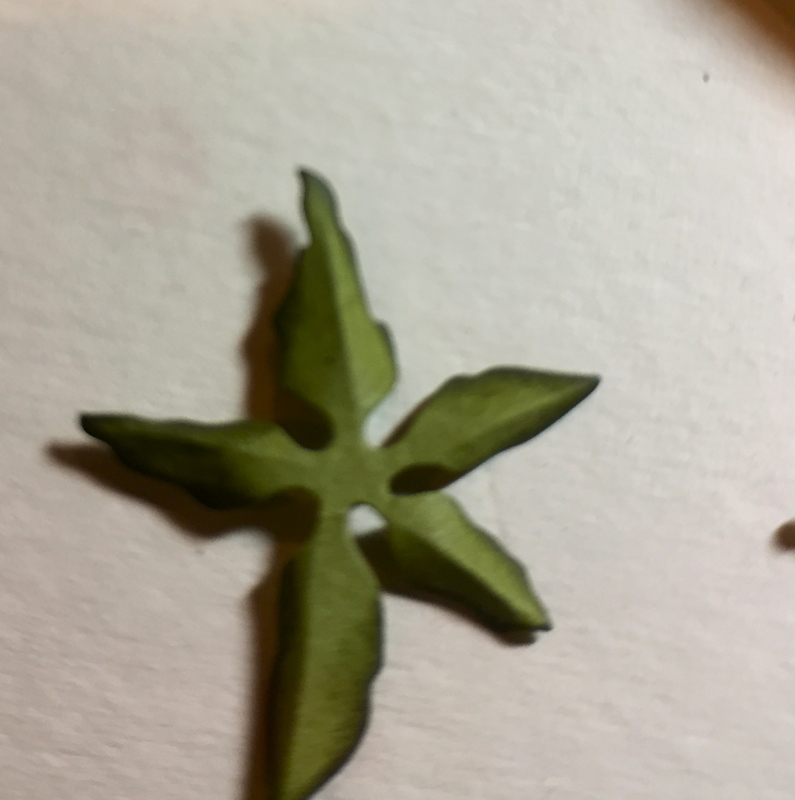 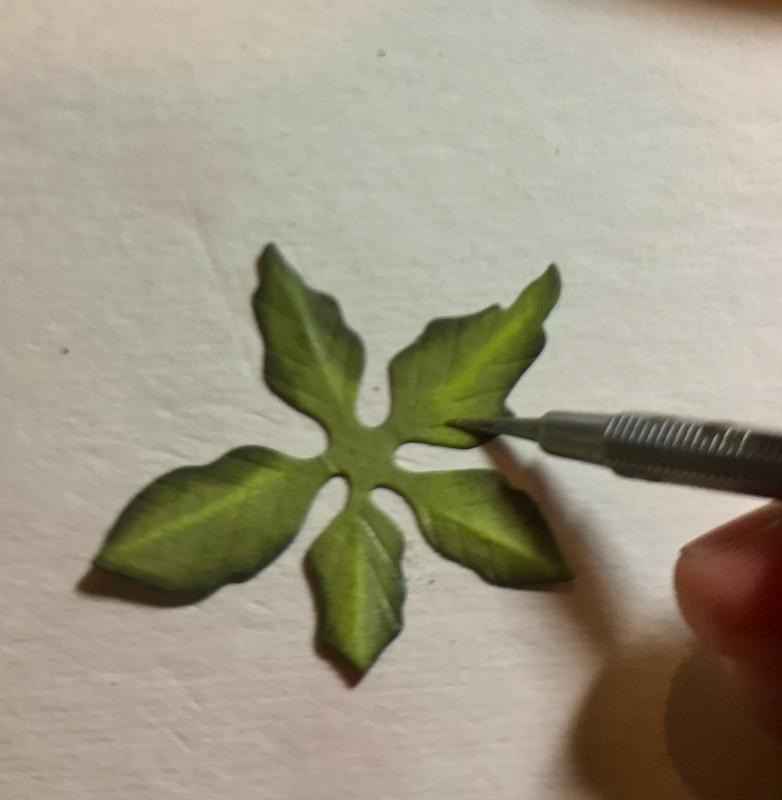 I also added three stems of ModaScraps Leafy Branch 4 for some foliage. 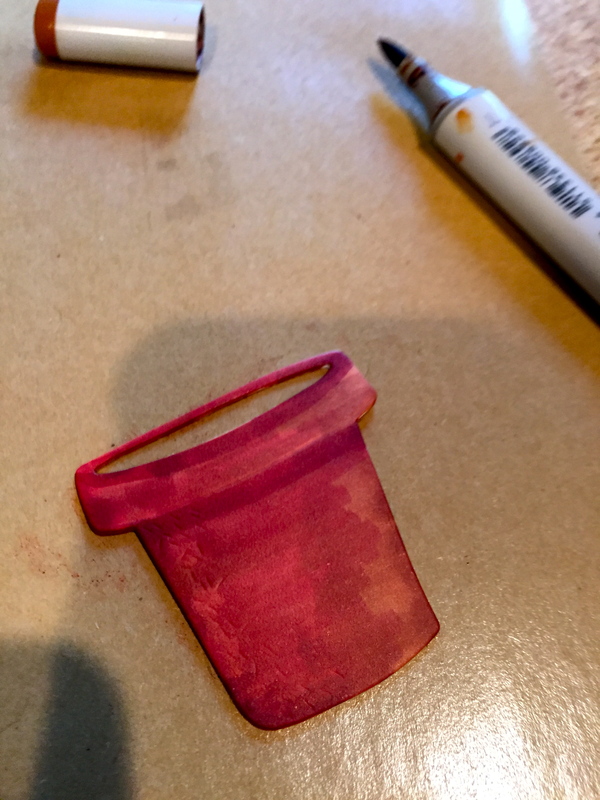 I added a foam dot on the back for dimension! 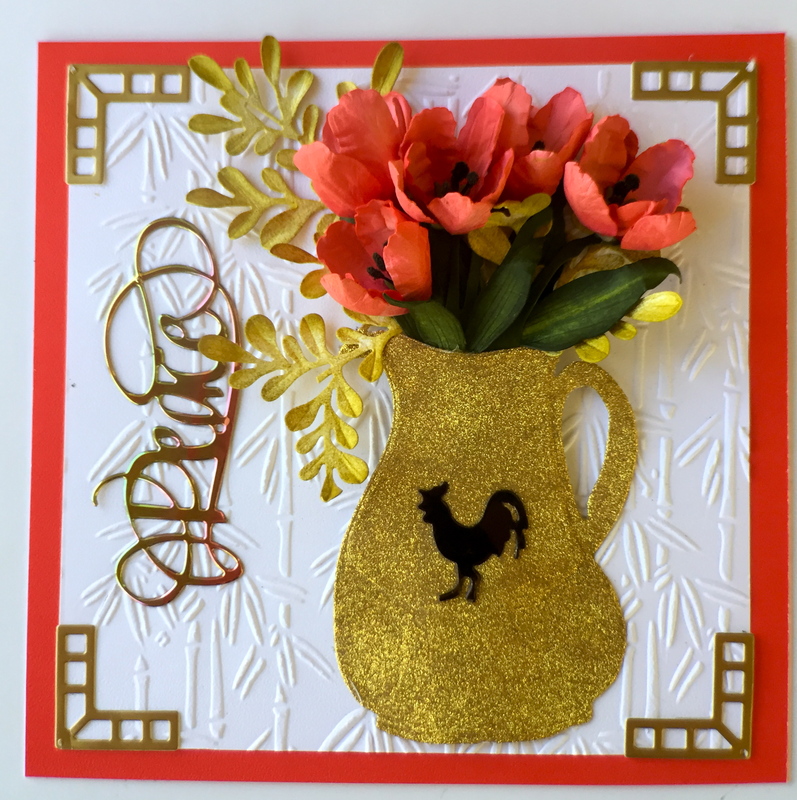 Adhere the Pitcher to the card front. 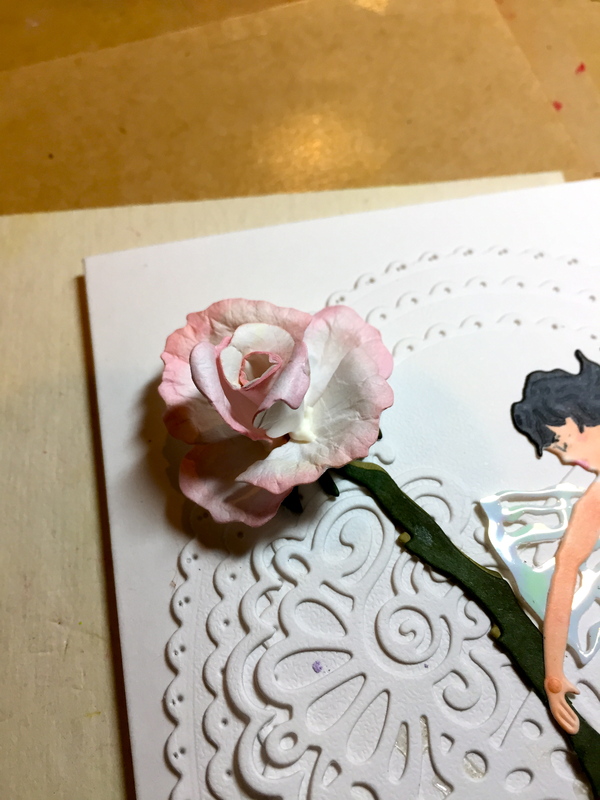 I colored the four large flowers with Copic/R29. 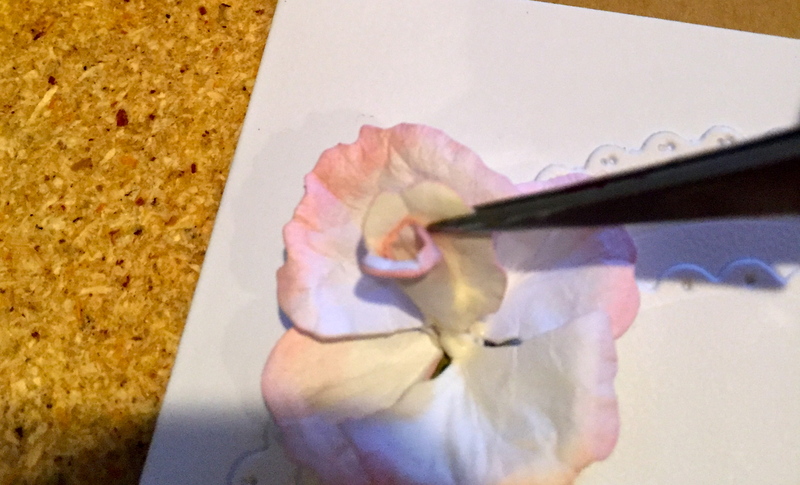 I also added some color to the pale yellow medium flower with Copic/RO8. 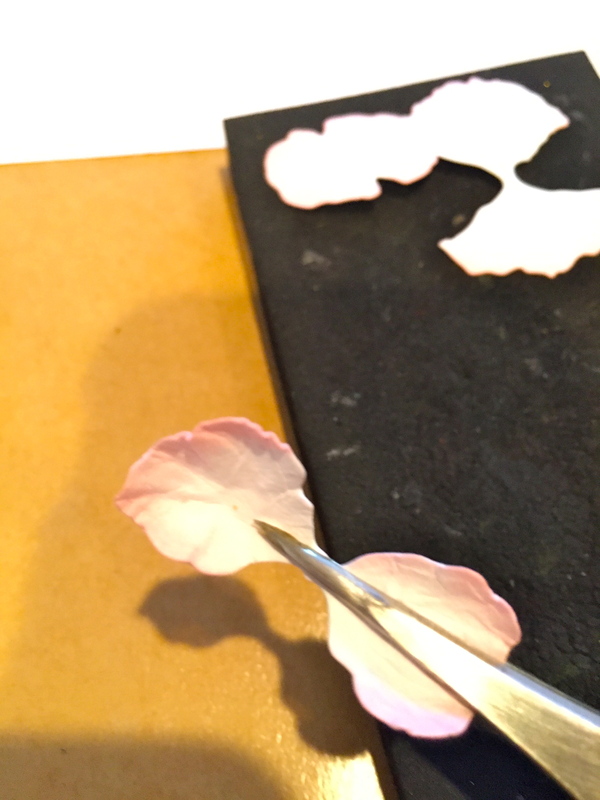 Next, I added detail to the individual petals of the large flower by placing them on the Leaf Mat and using the Leaf Tool. 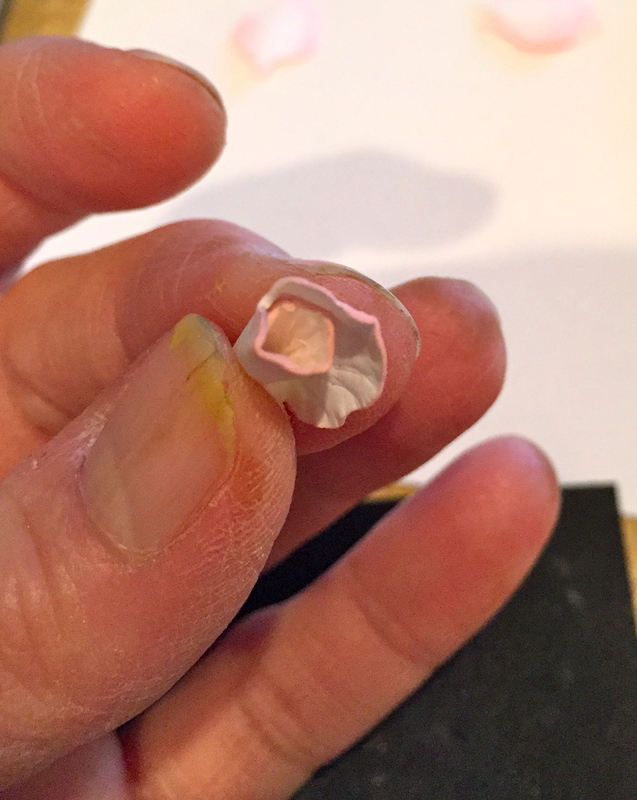 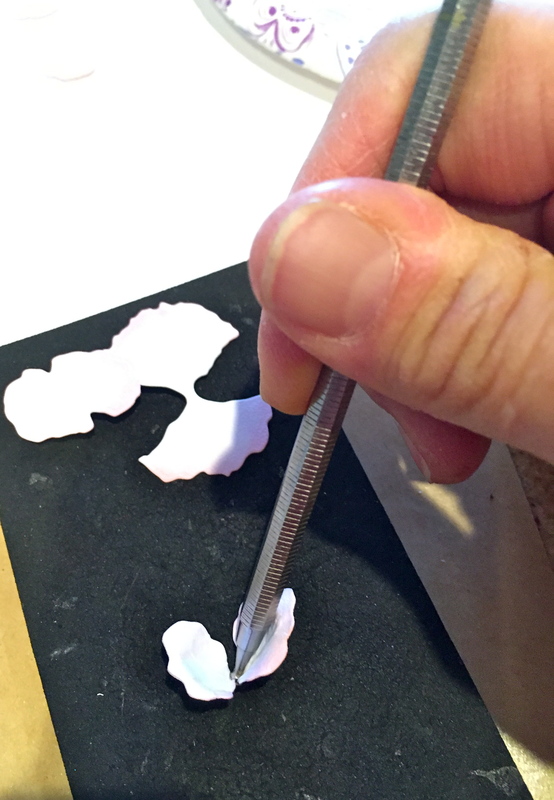 Then I place the large flower on the Molding Mat and used the Medium Ball Stylus to shape the flower. 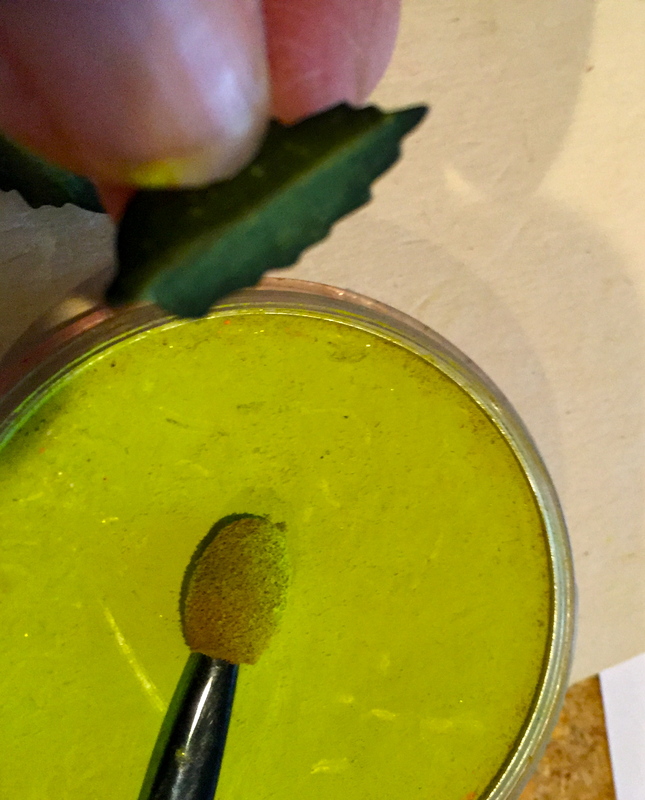 Use a toothpick and apply Beacon’s Kids Choice Glue! 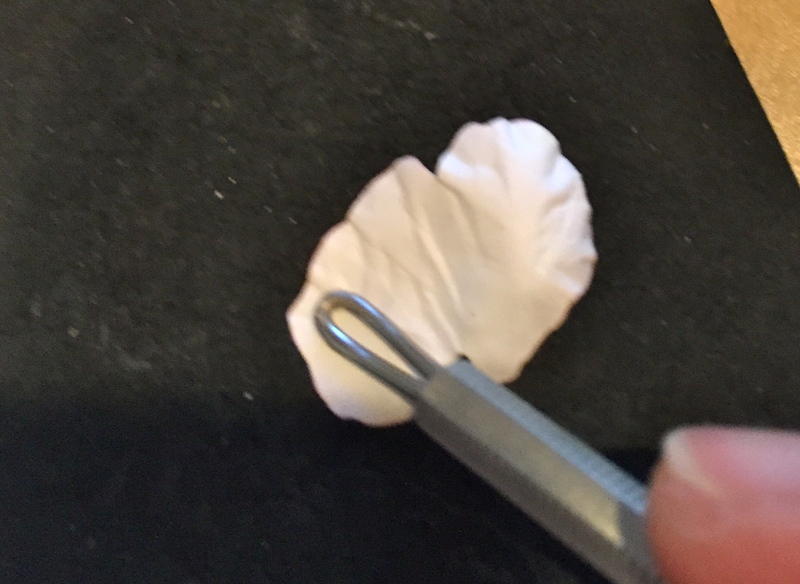 to the back and adhere it to a stem. 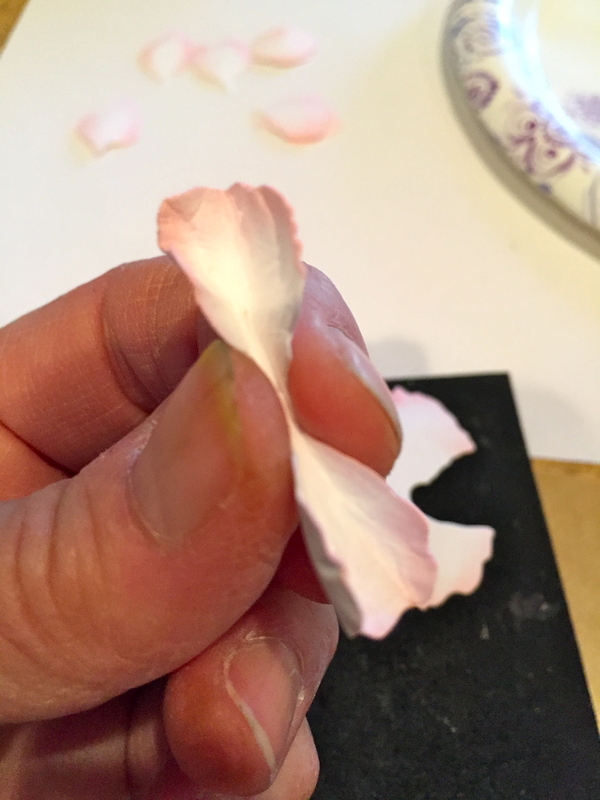 Repeat with the other three large flowers, trying to off-set the petals. 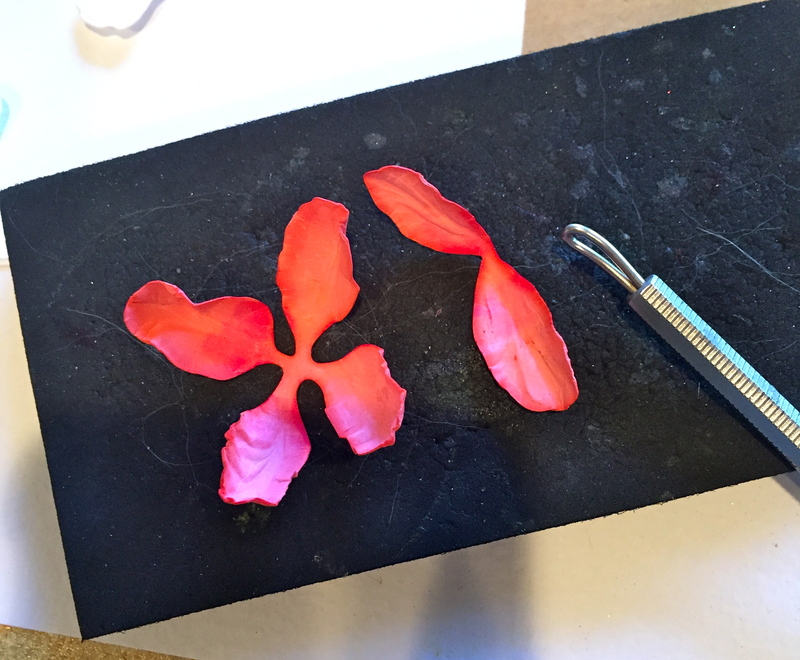 I used ECD’s small scissors to cut in half he medium flower segments; this gives the “frilly” look of the petals. 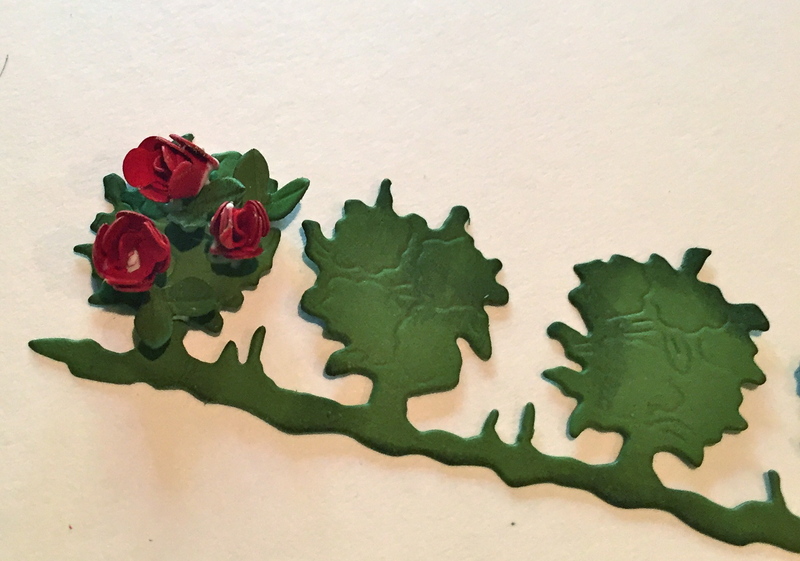 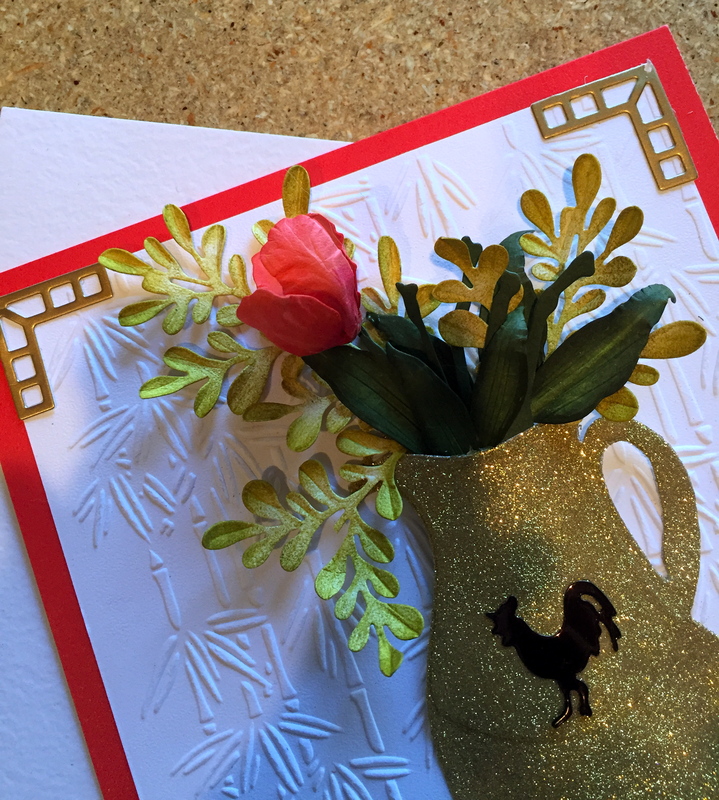 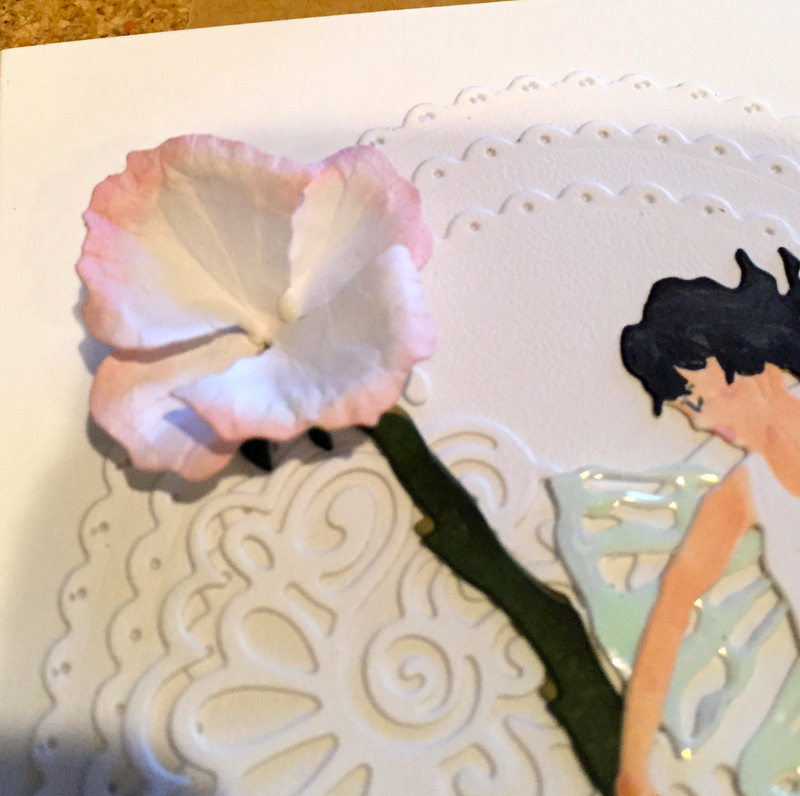 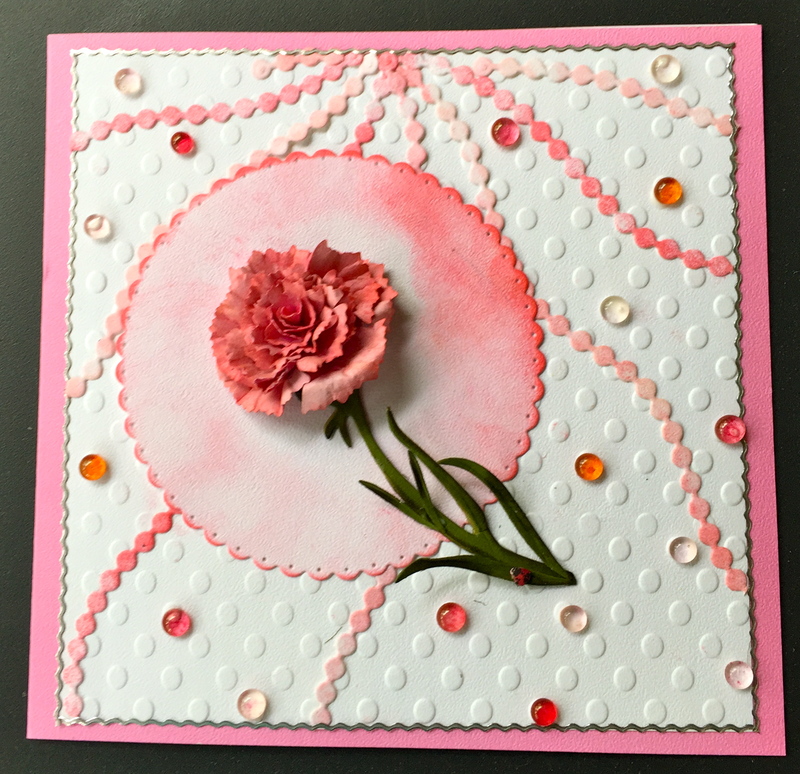 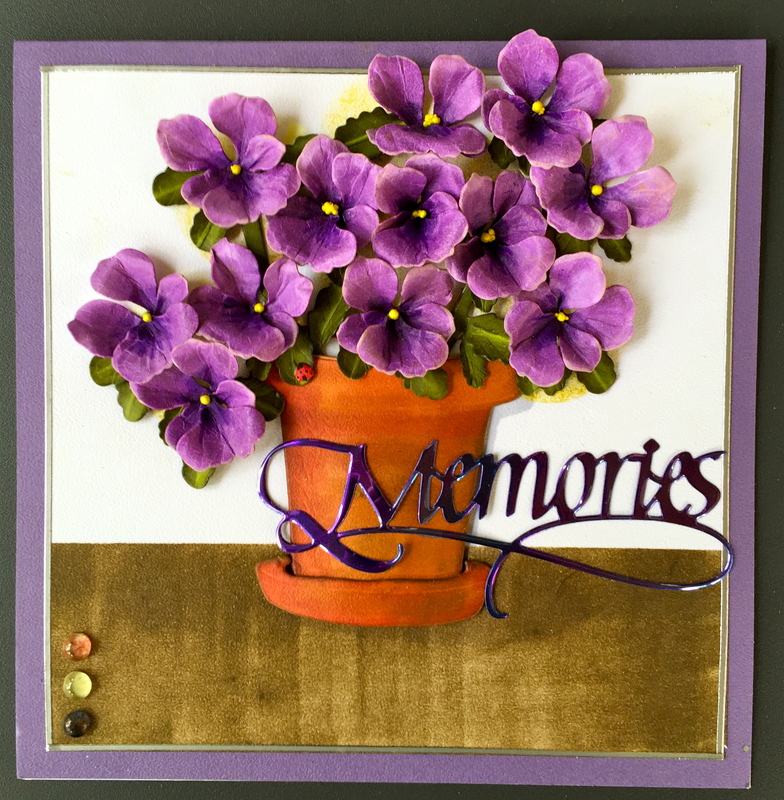 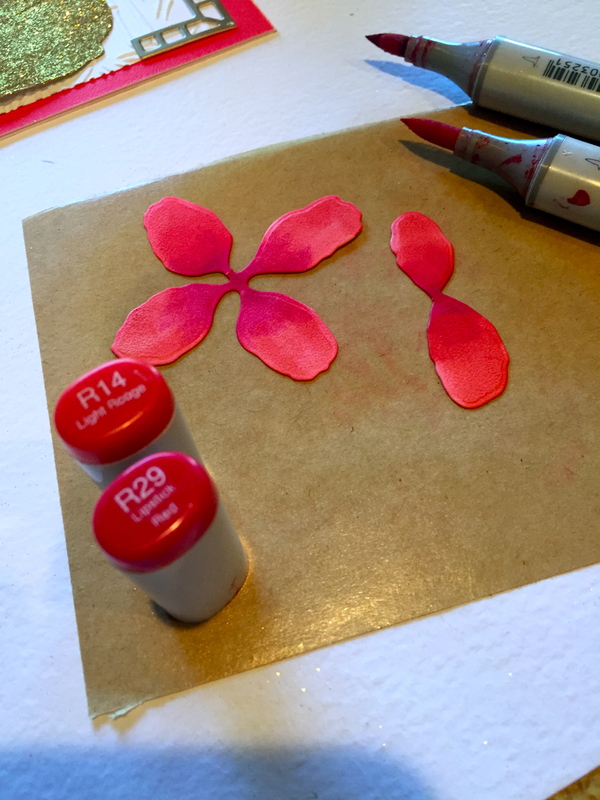 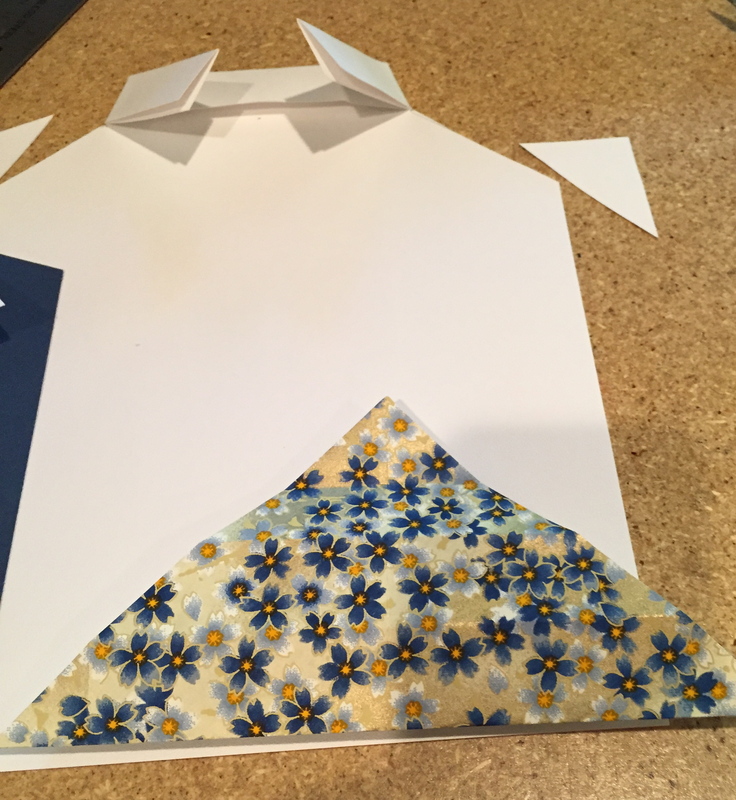 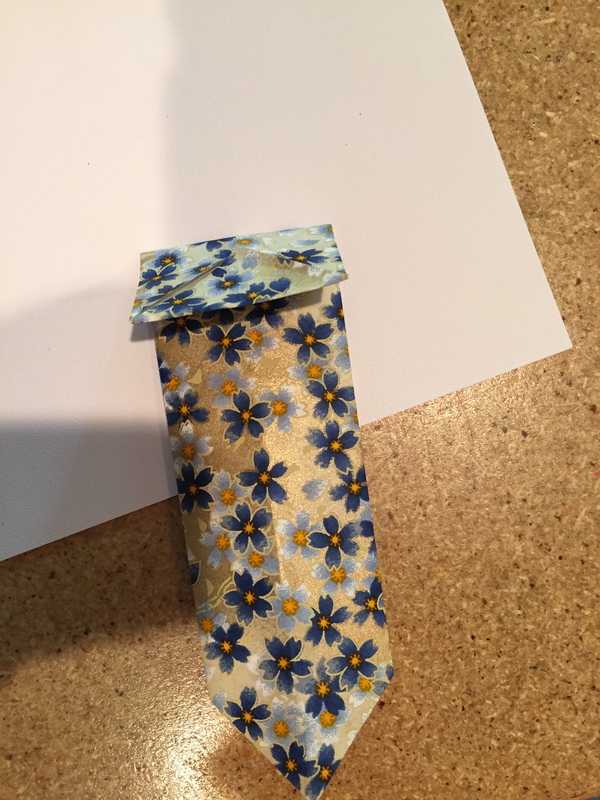 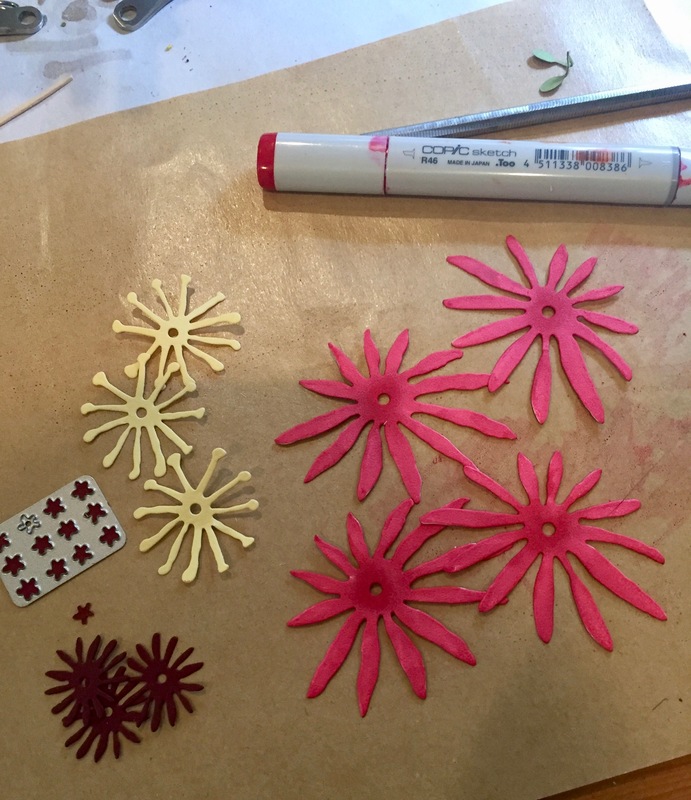 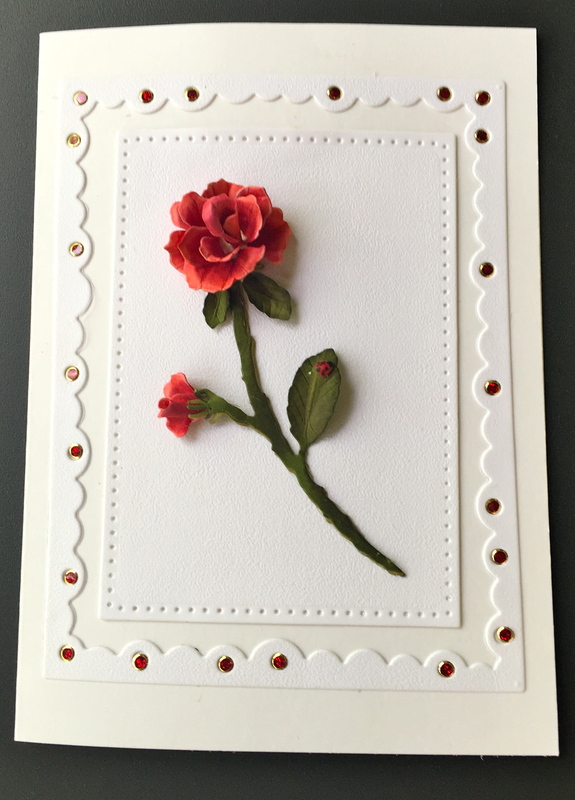 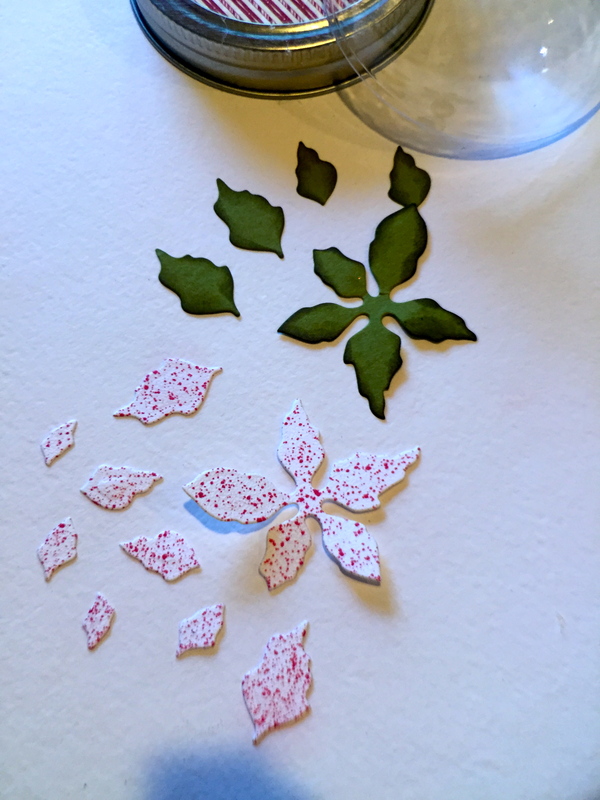 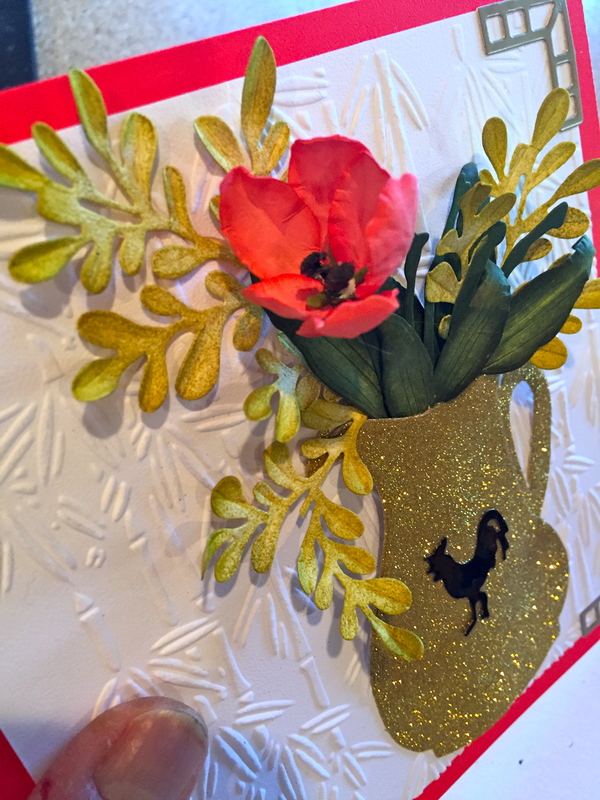 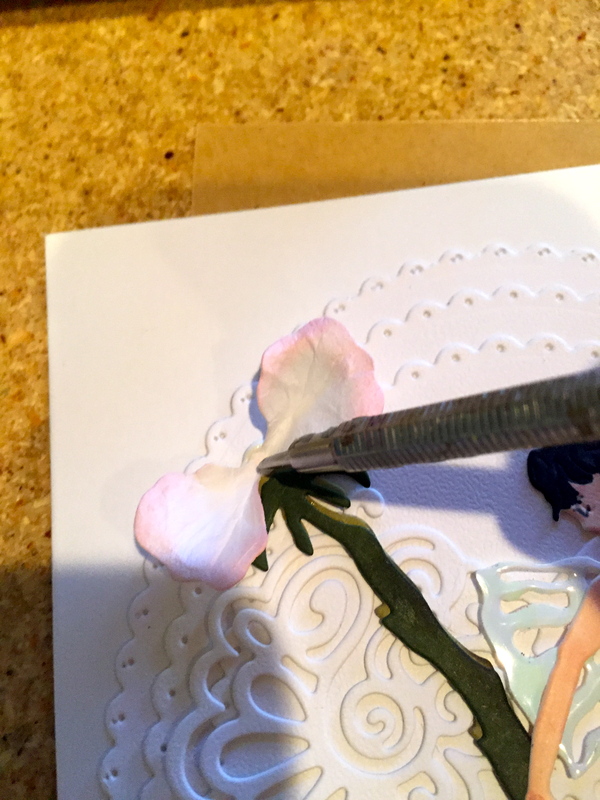 Place the medium flowers on the Molding Mat and shape using the Medium Ball Stylus as you did for the large flowers. 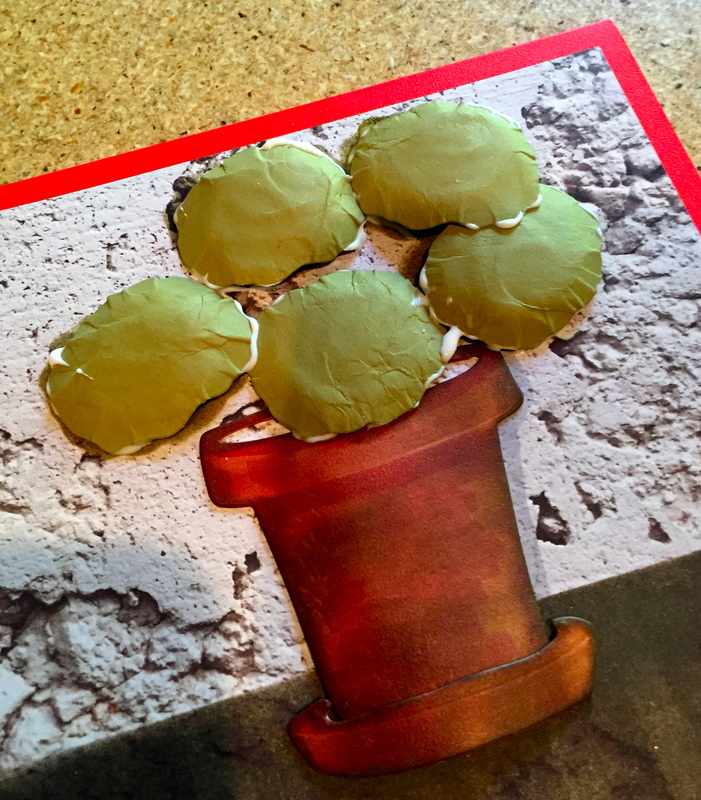 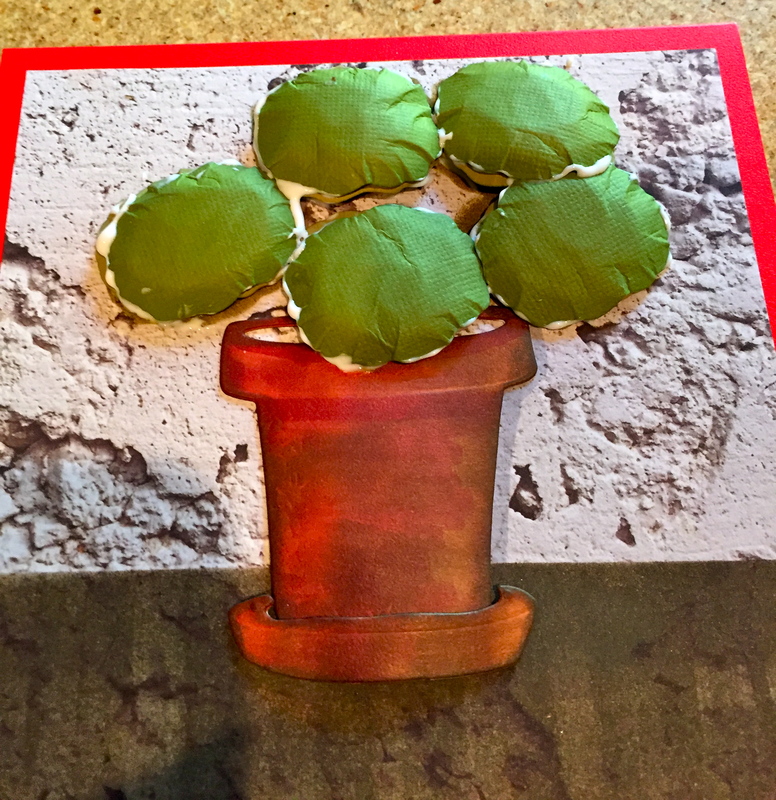 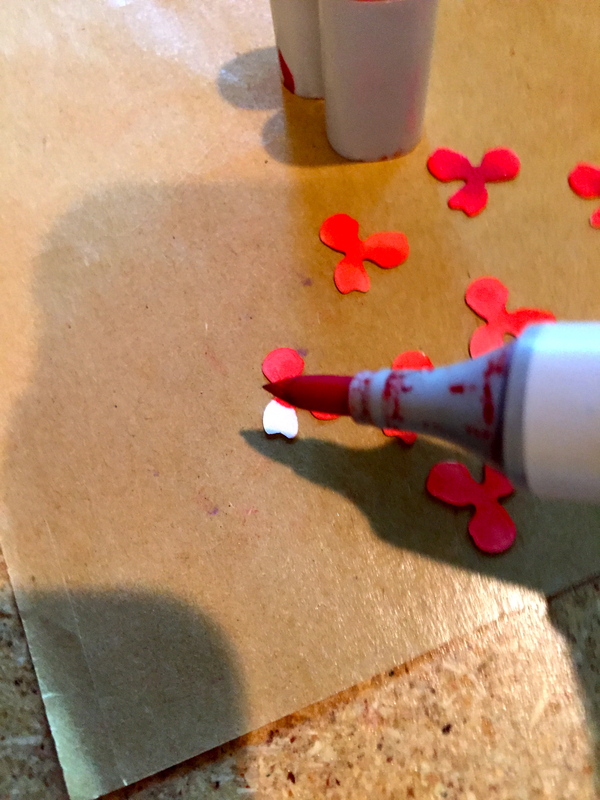 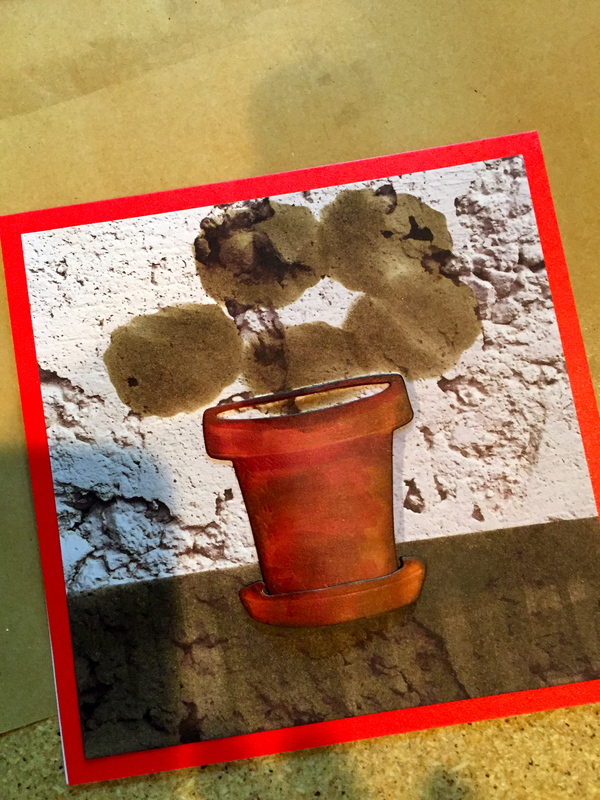 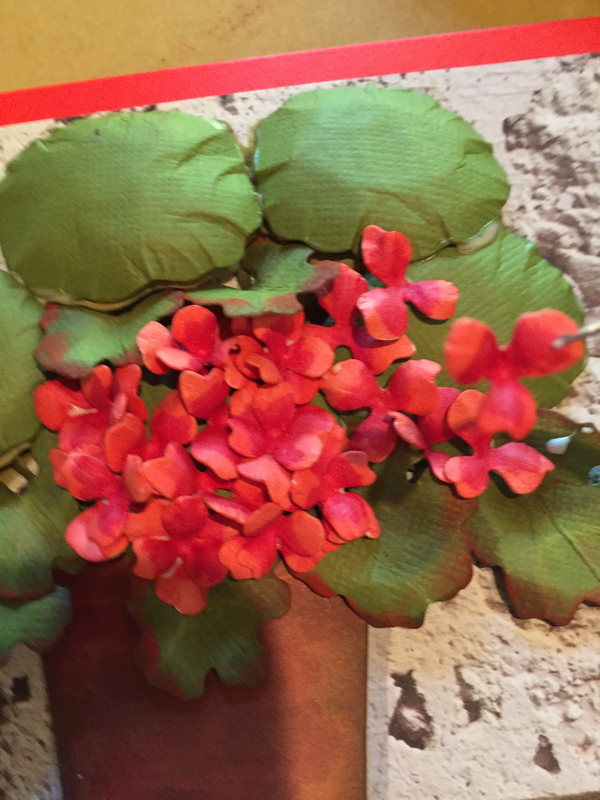 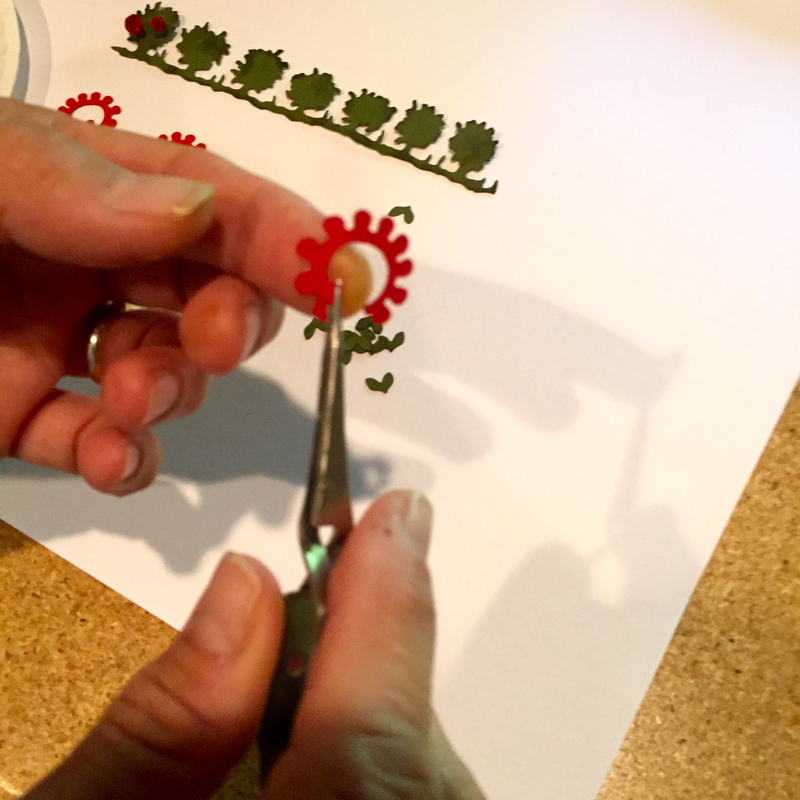 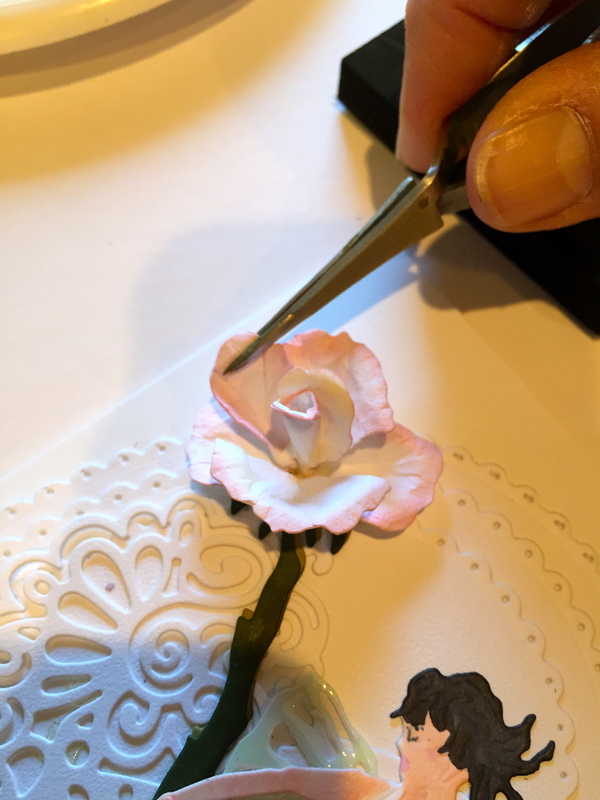 Apply glue to the center of the flower and adhere to the large flower. 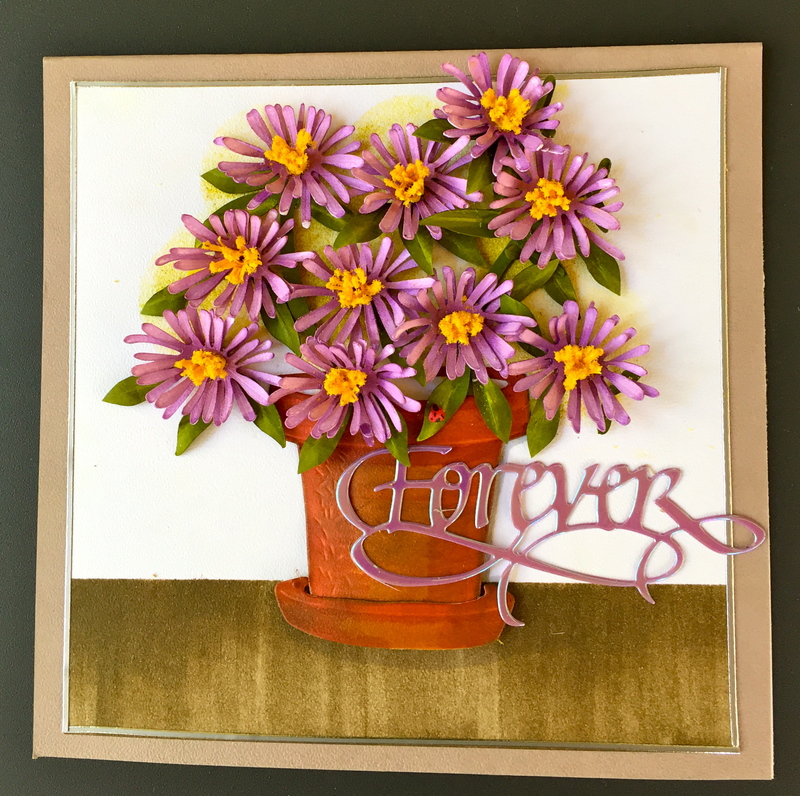 Again, repeat with these steps for all medium flowers! 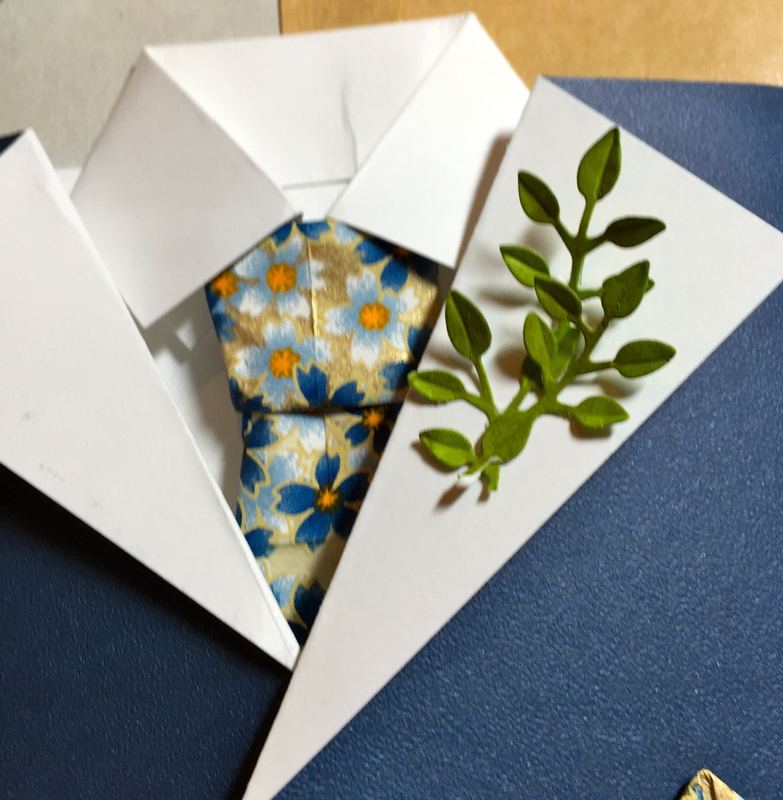 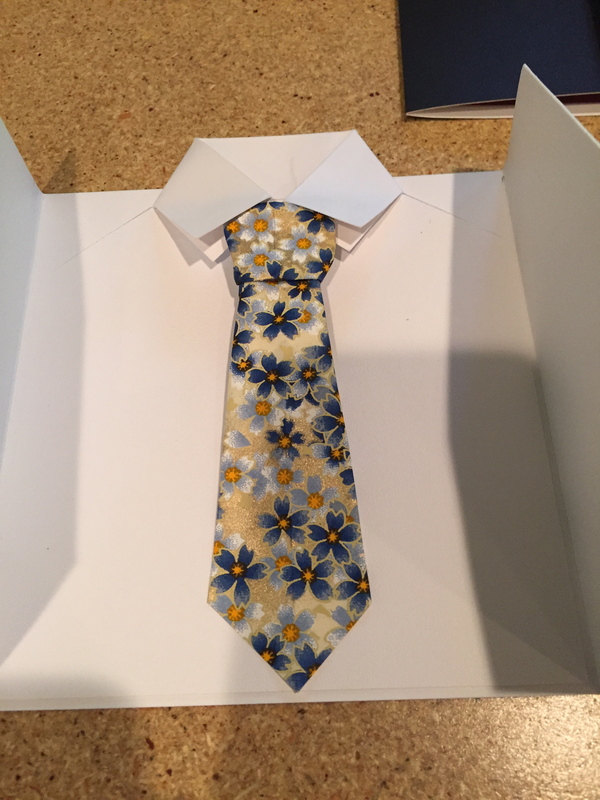 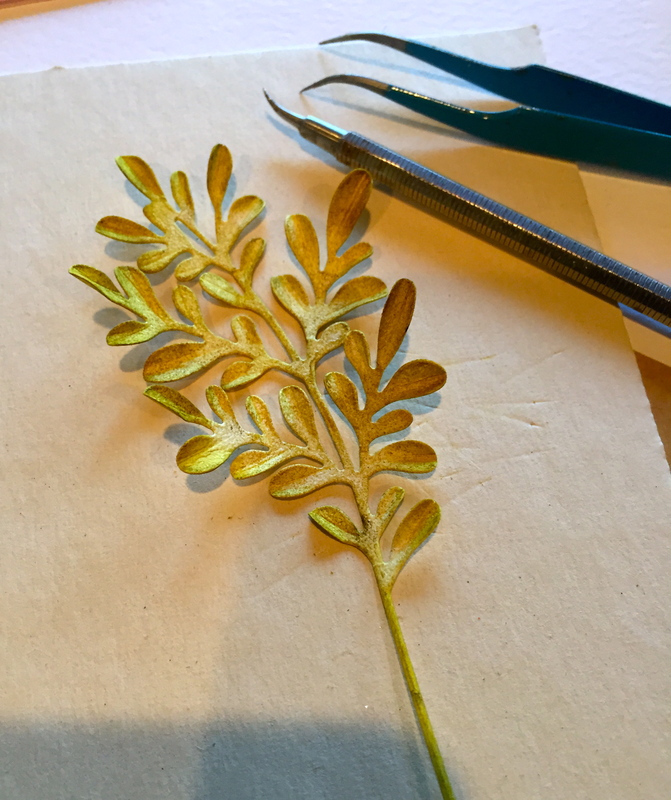 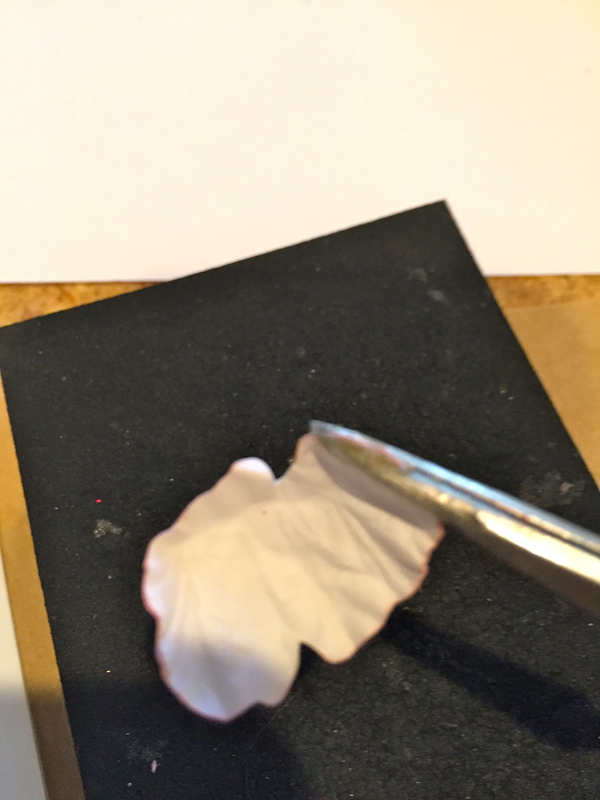 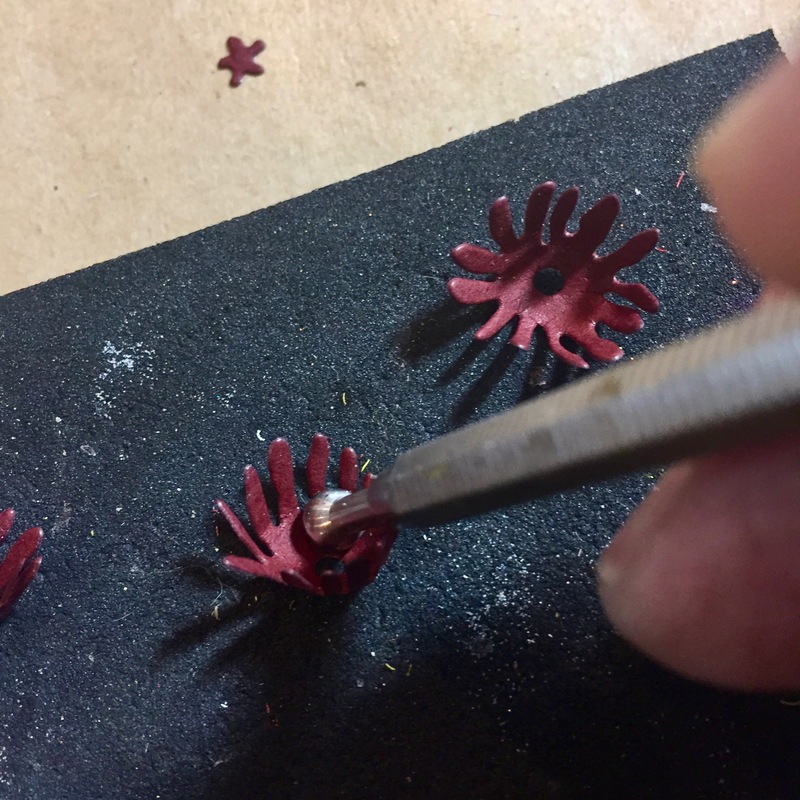 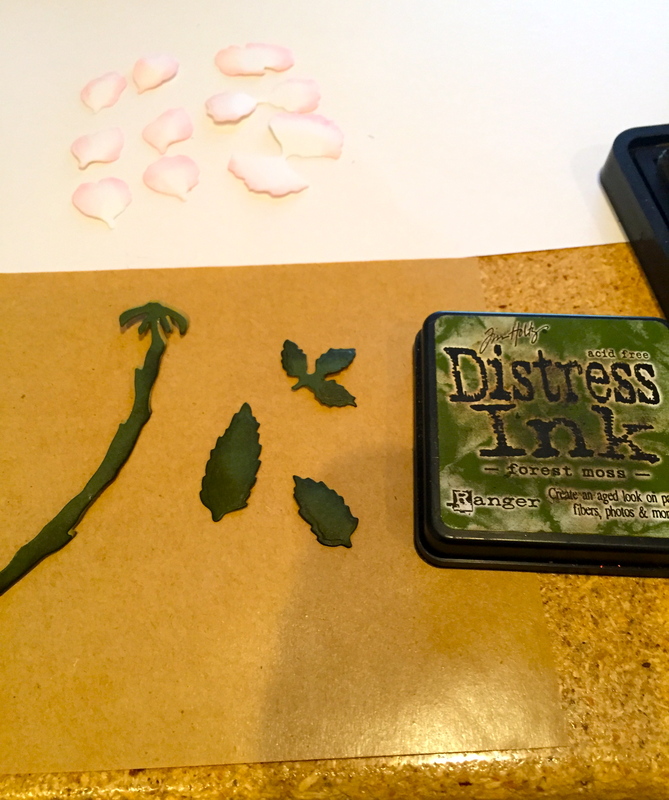 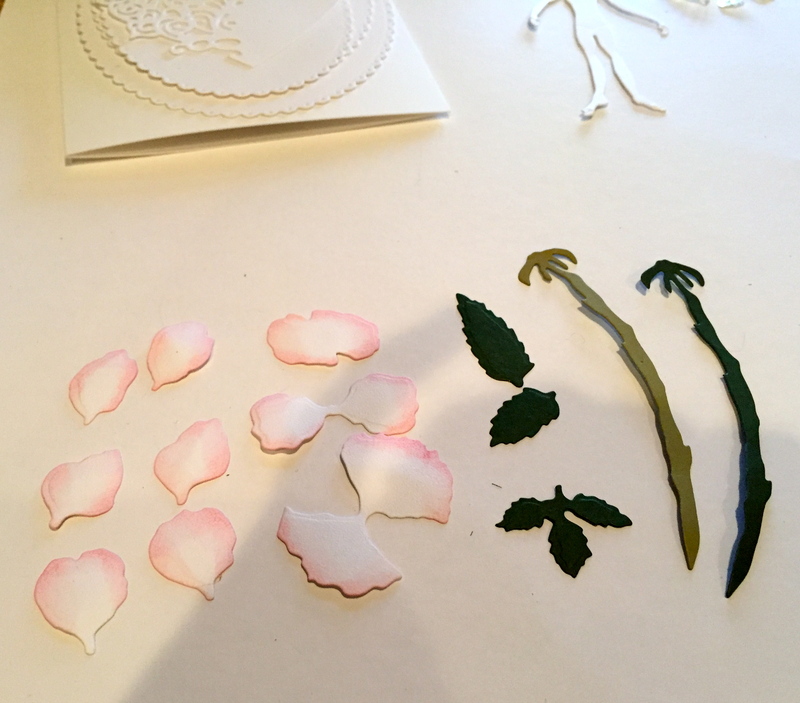 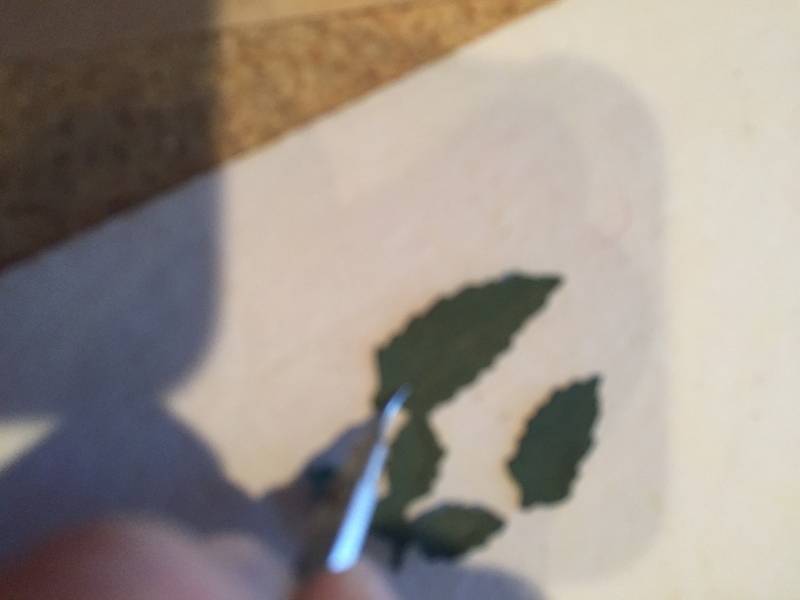 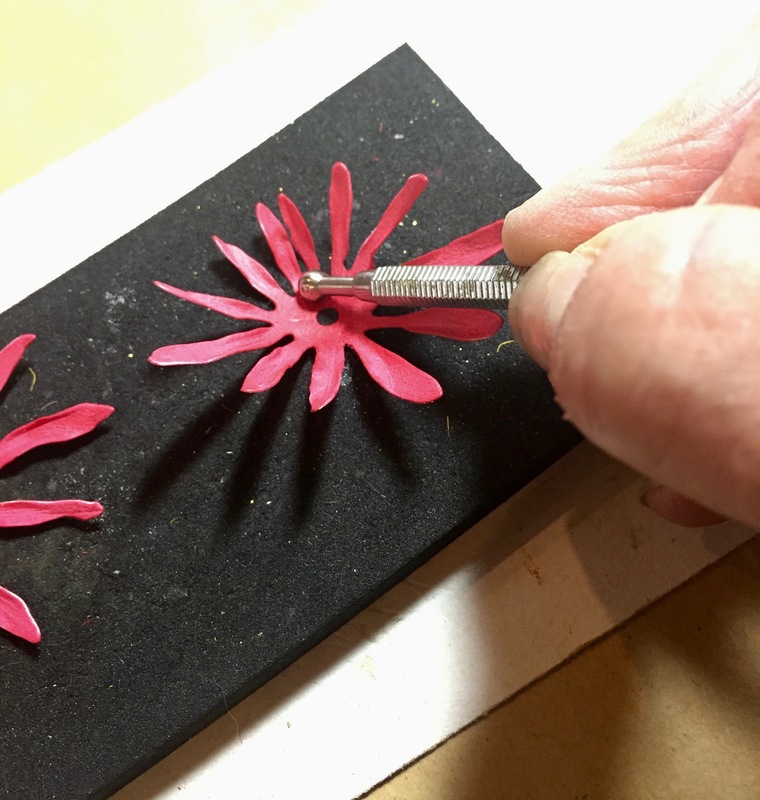 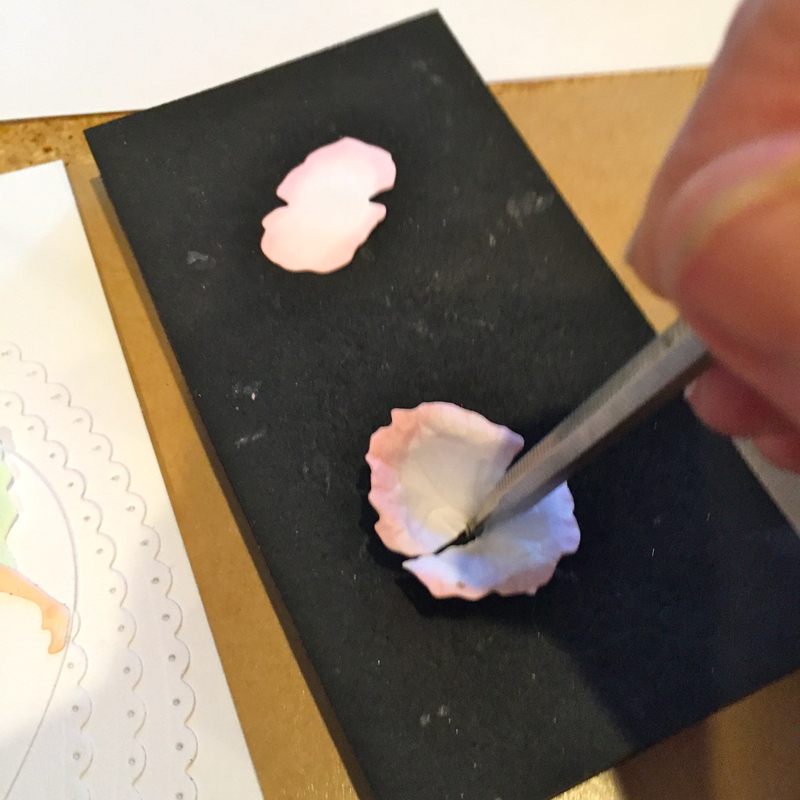 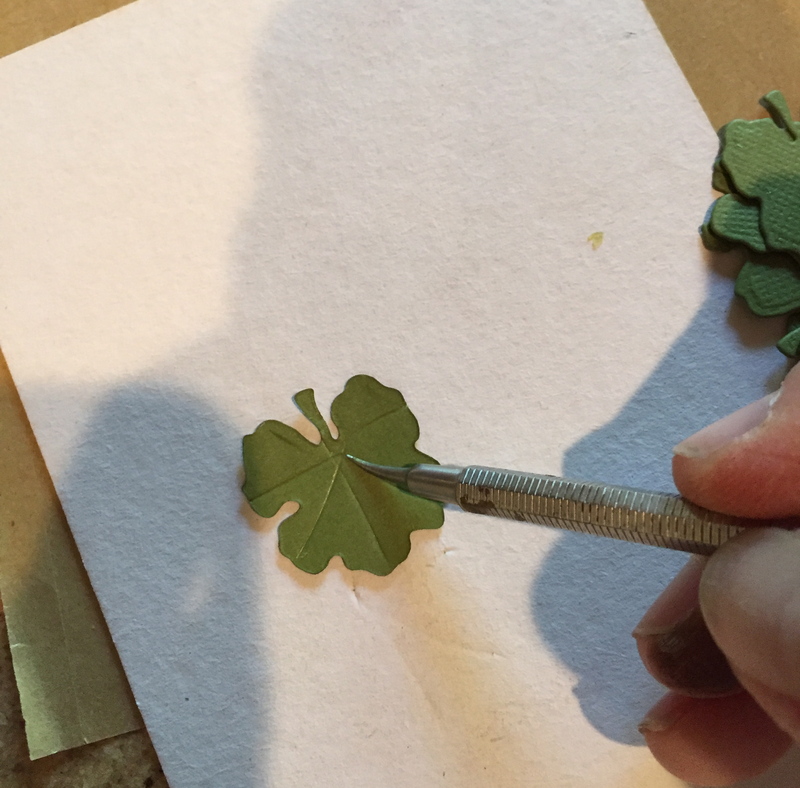 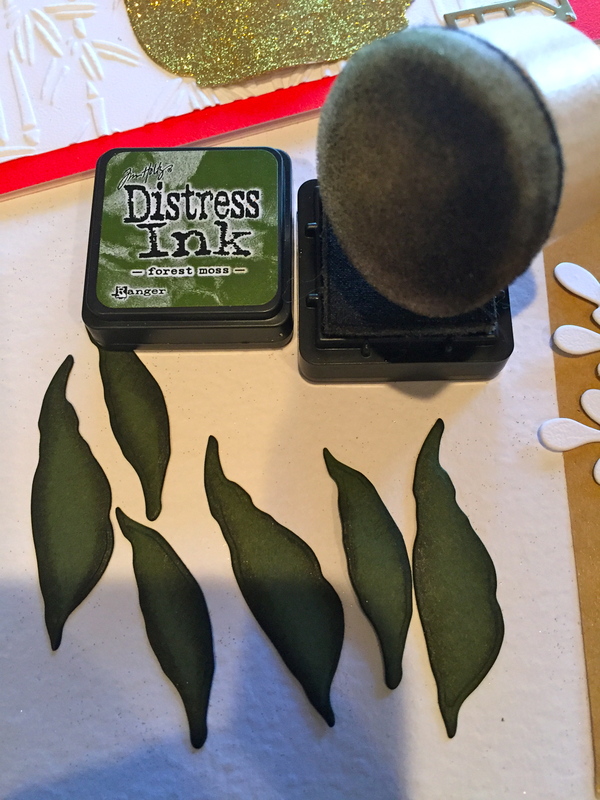 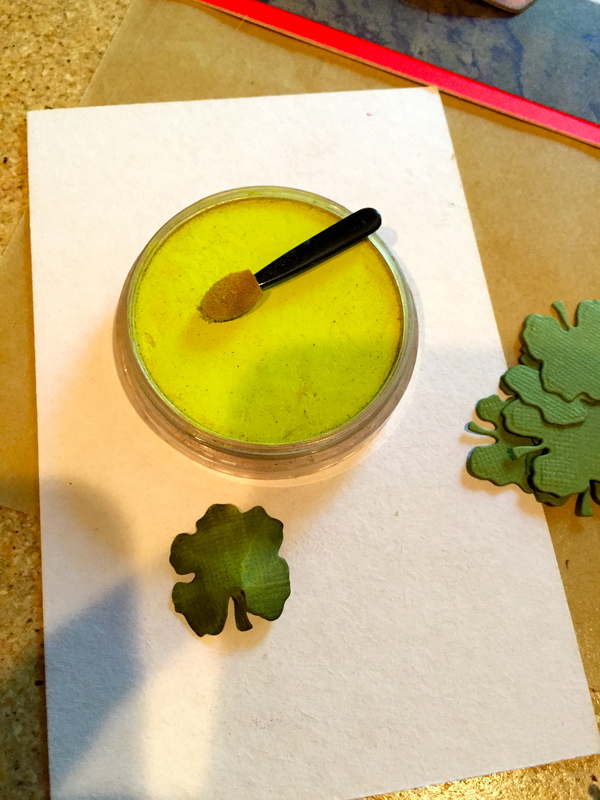 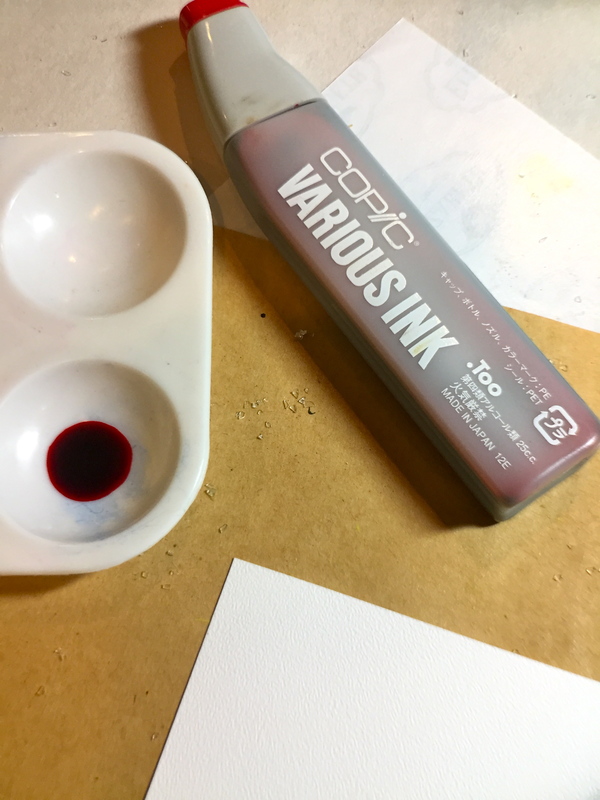 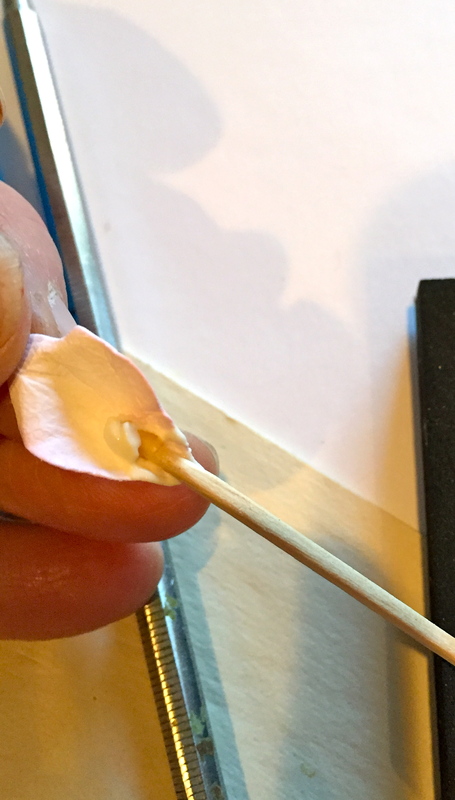 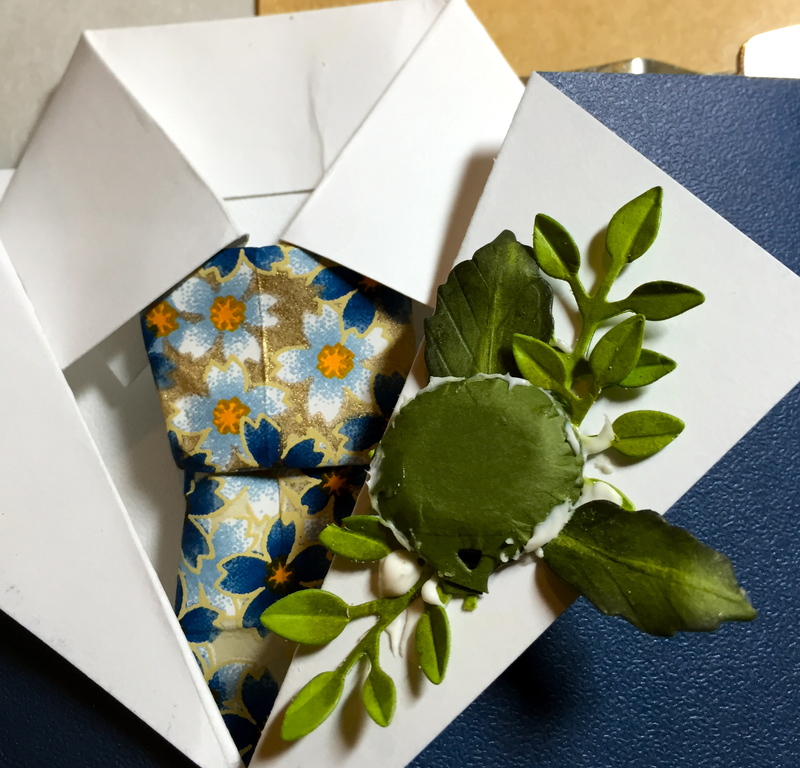 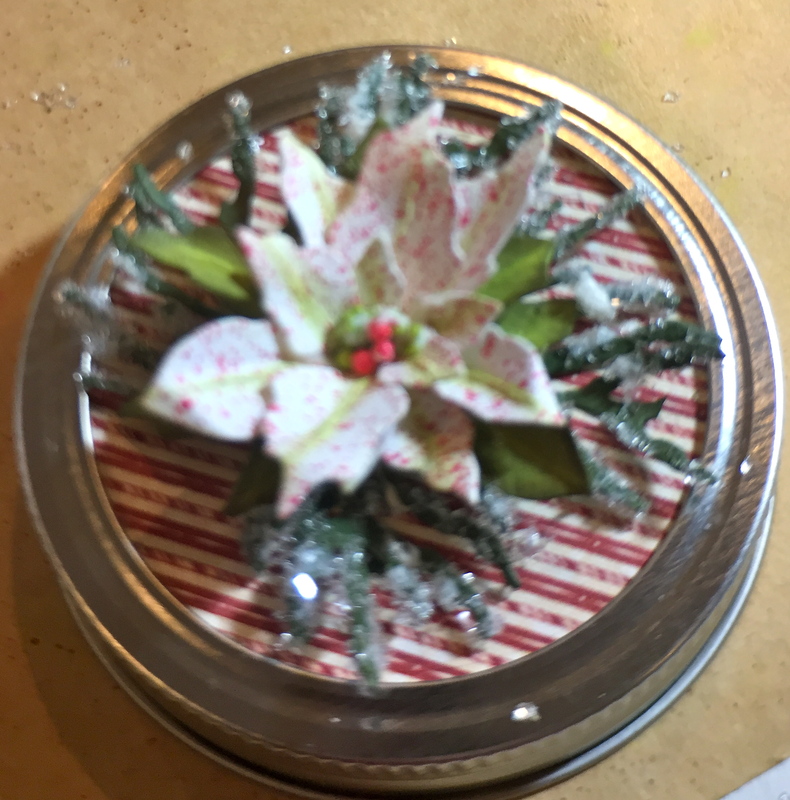 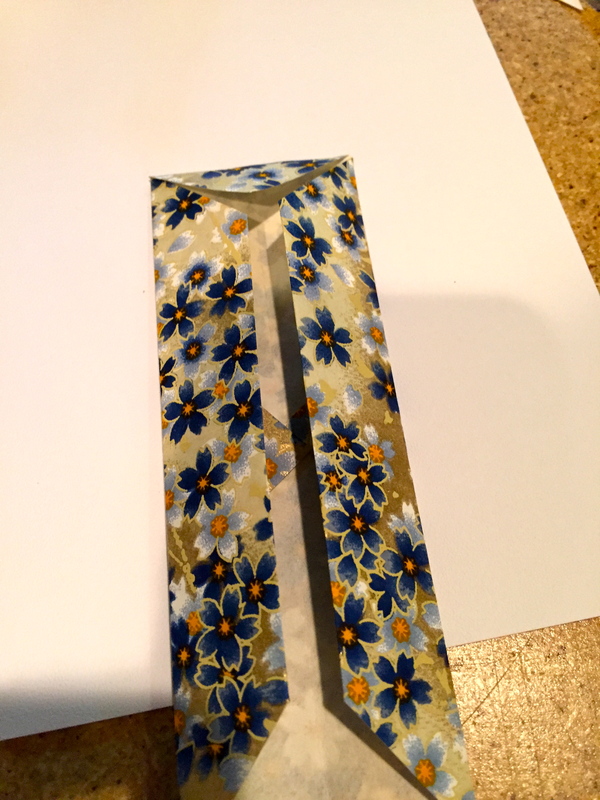 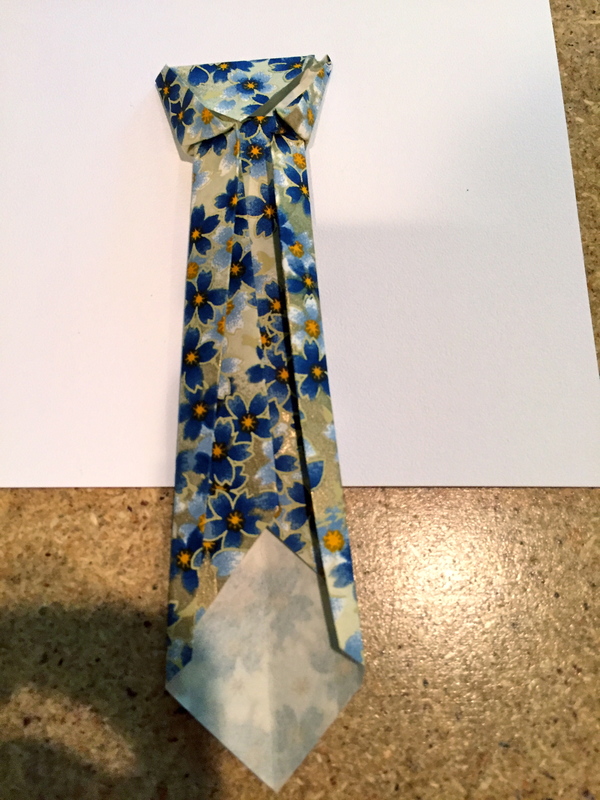 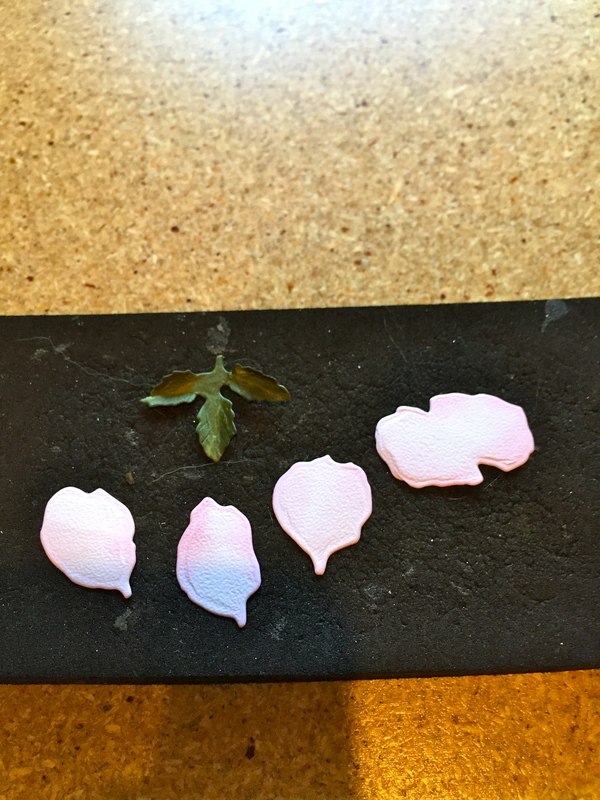 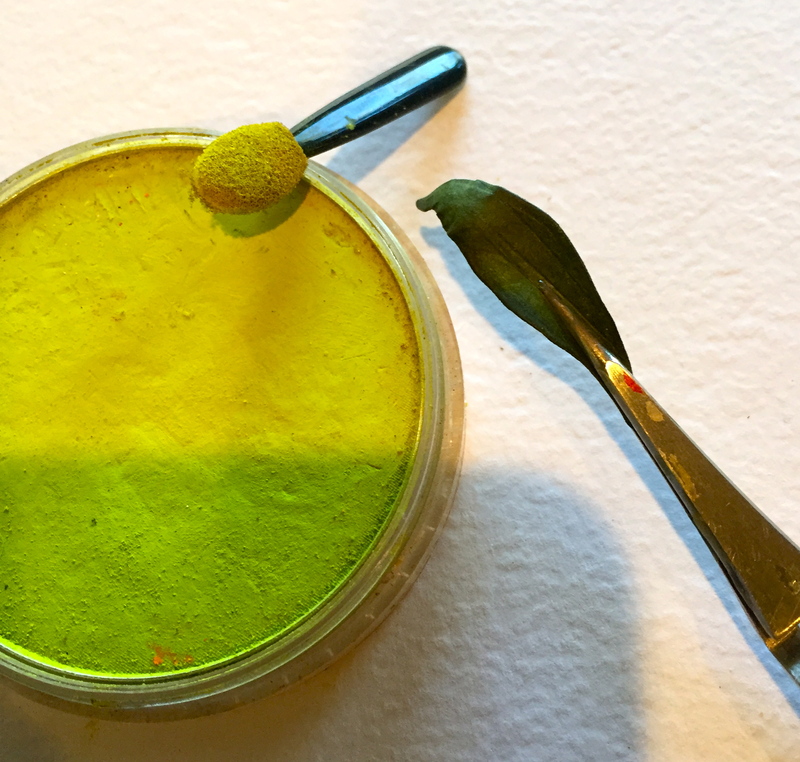 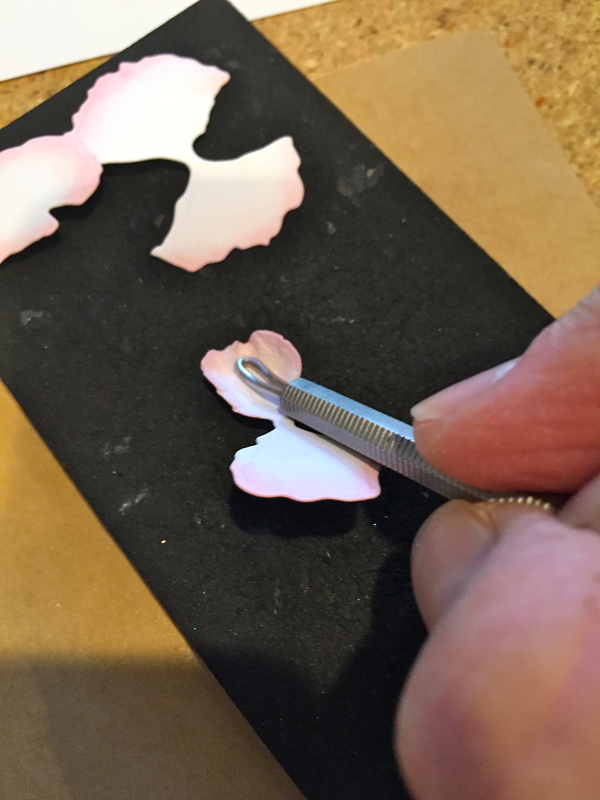 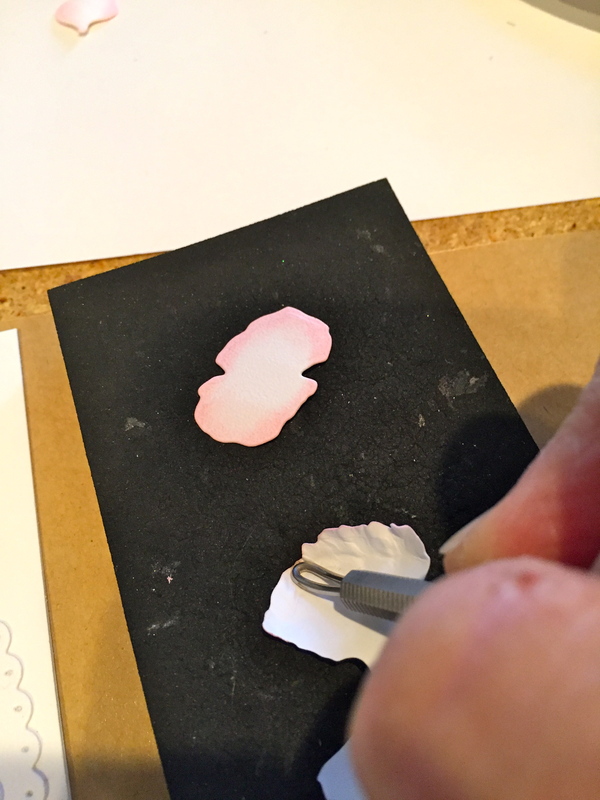 Next, place the small flower on the Molding Mat and use a stirring technique on the center with the Medium Ball Stylus to give the flower shape. 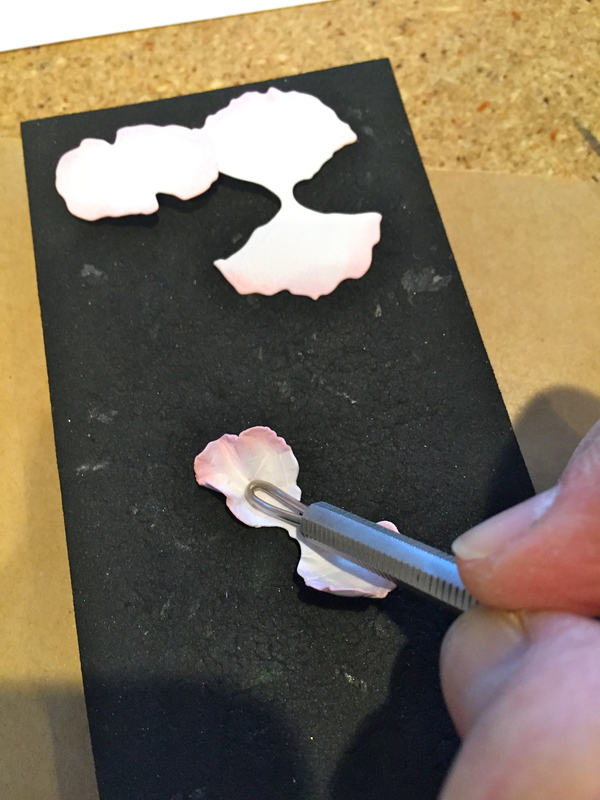 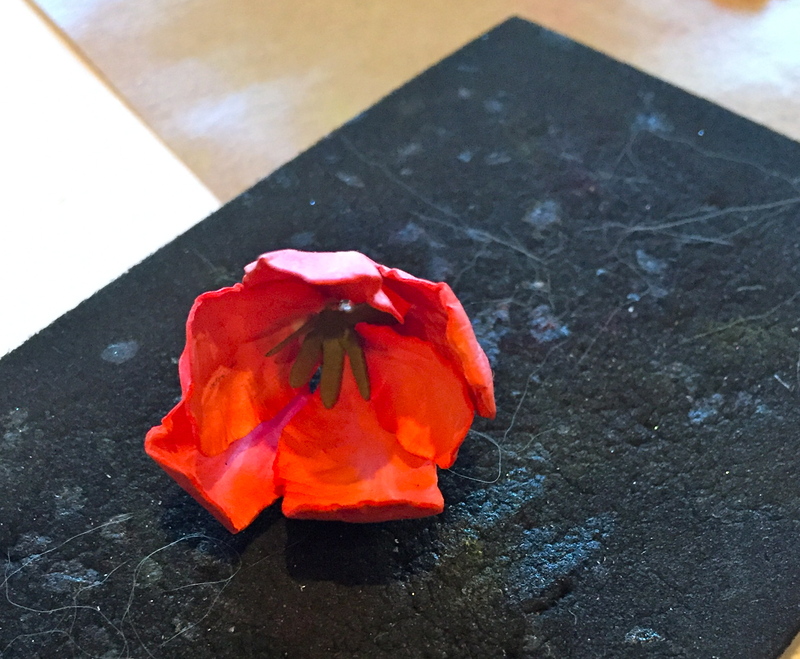 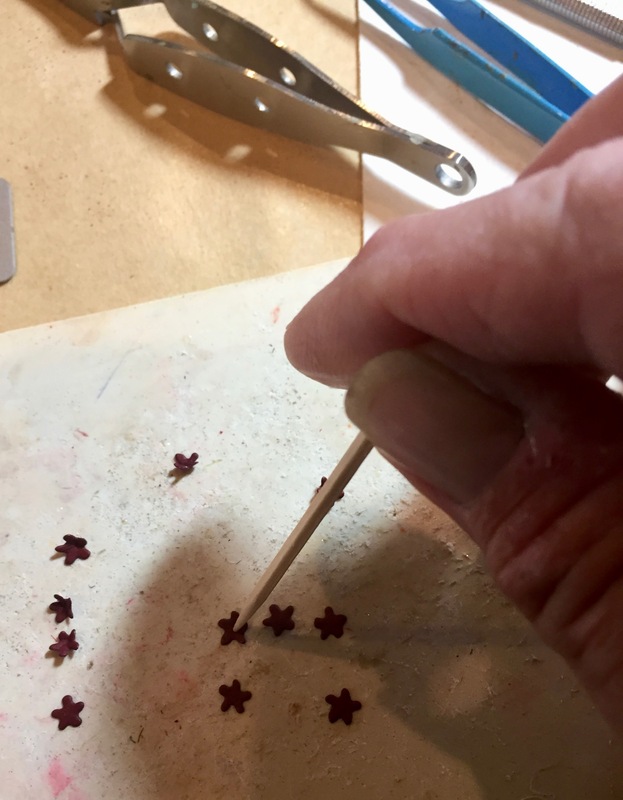 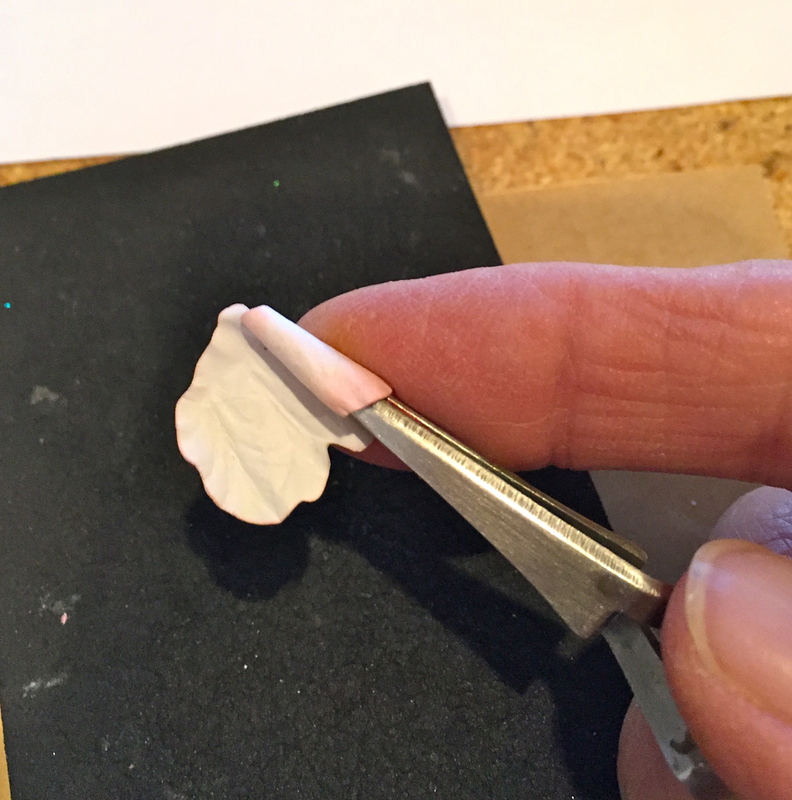 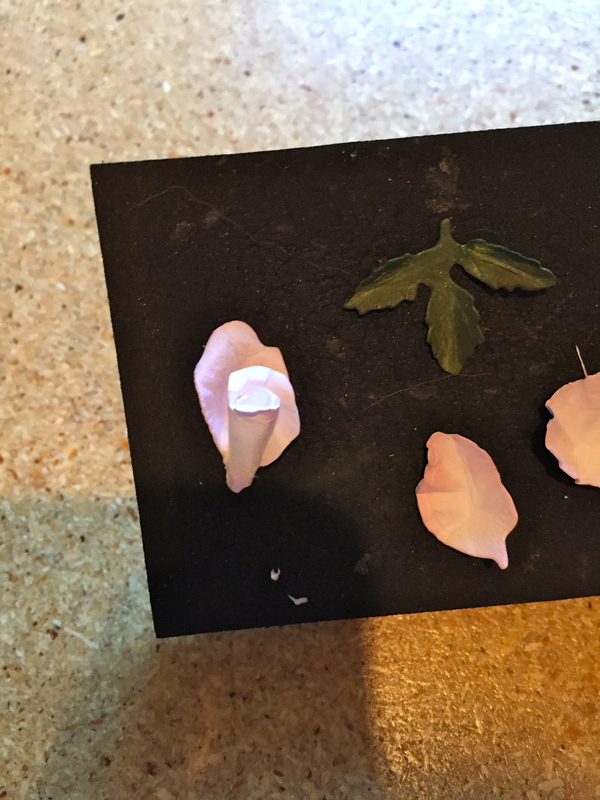 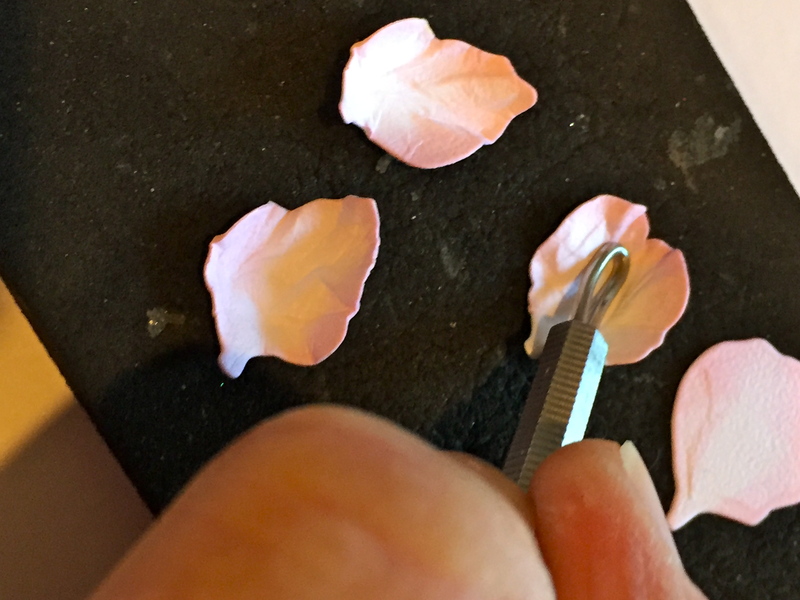 Finally, place the mini petals on either the Molding Mat or as I use, a “carving block” that I found at my local art store. 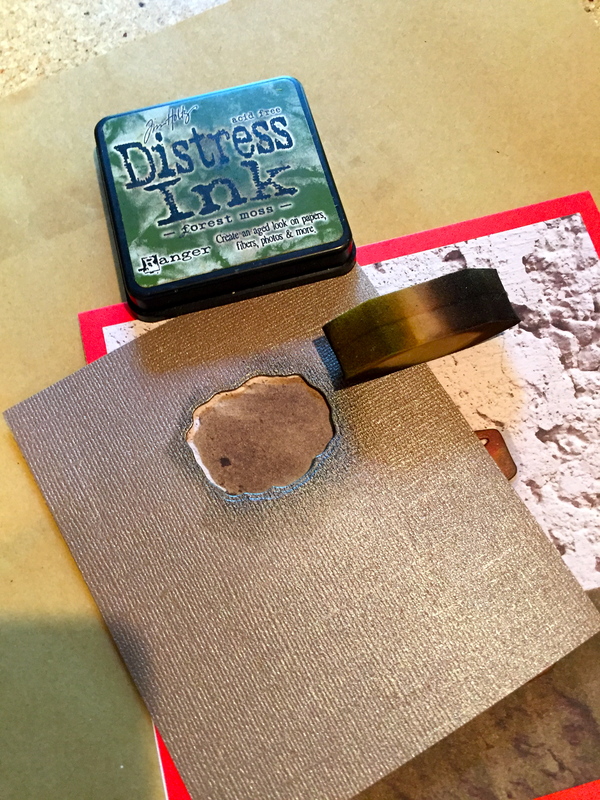 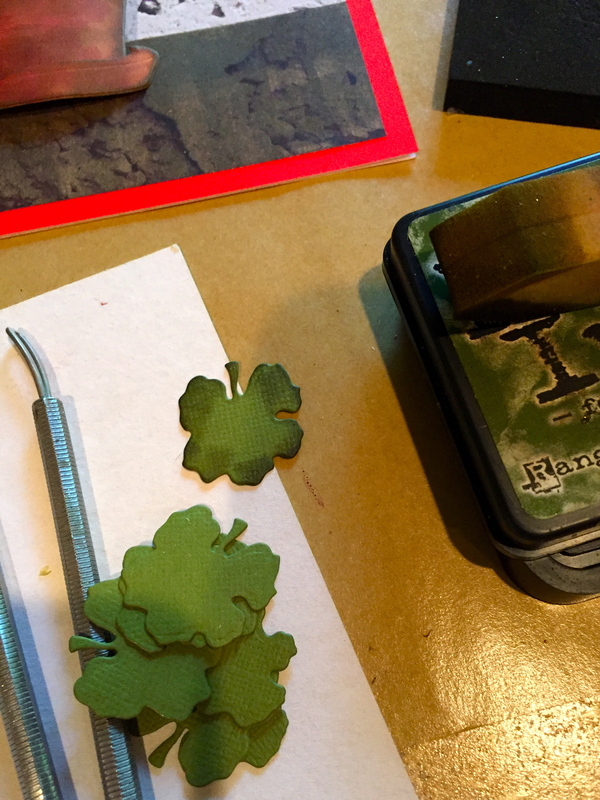 (These are used to carve your own stamps!) 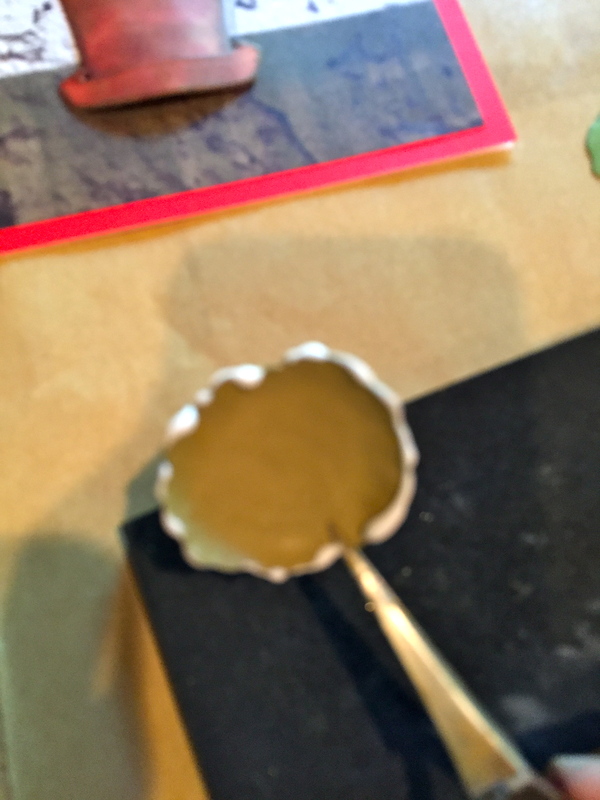 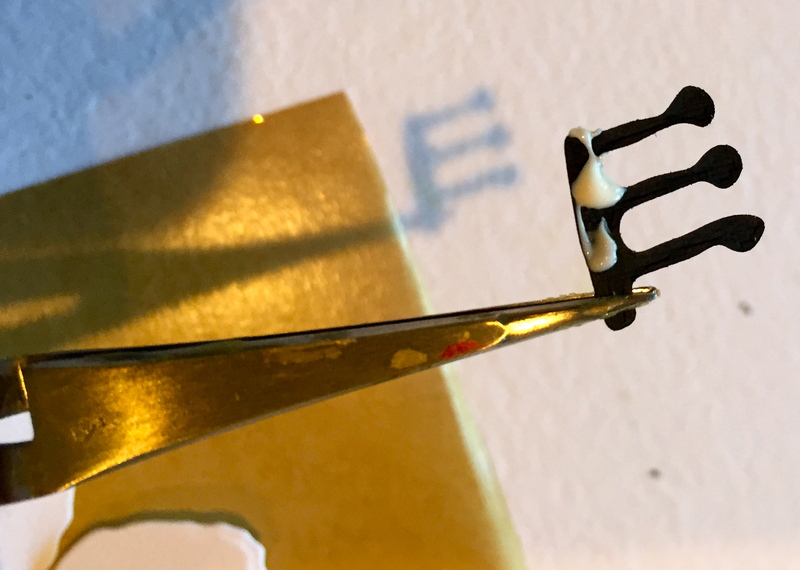 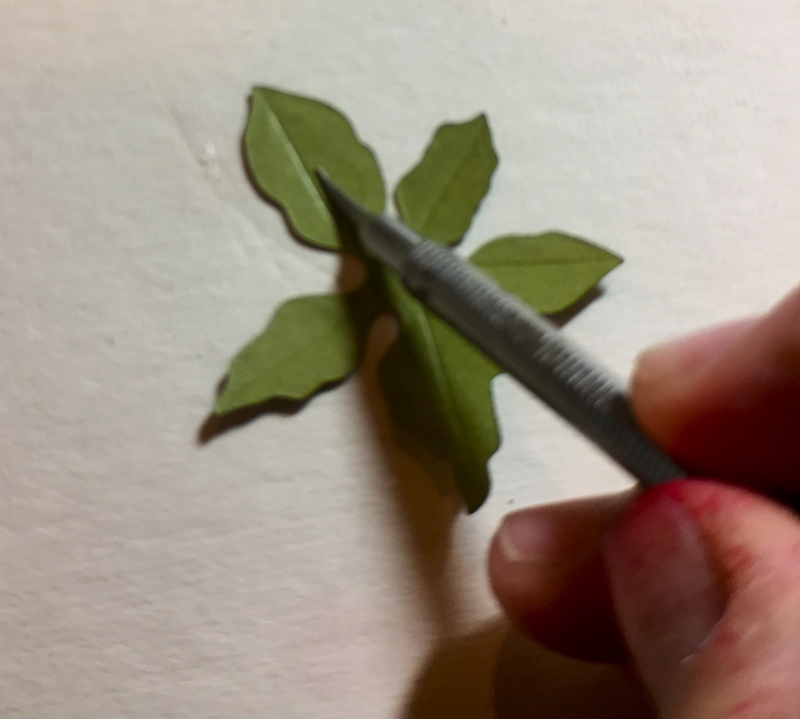 I use a rounded toothpick to cup the center, but if you’re using the Molding Mat, using the Small Ball Stylus (opposite end to the Leaf Tool). 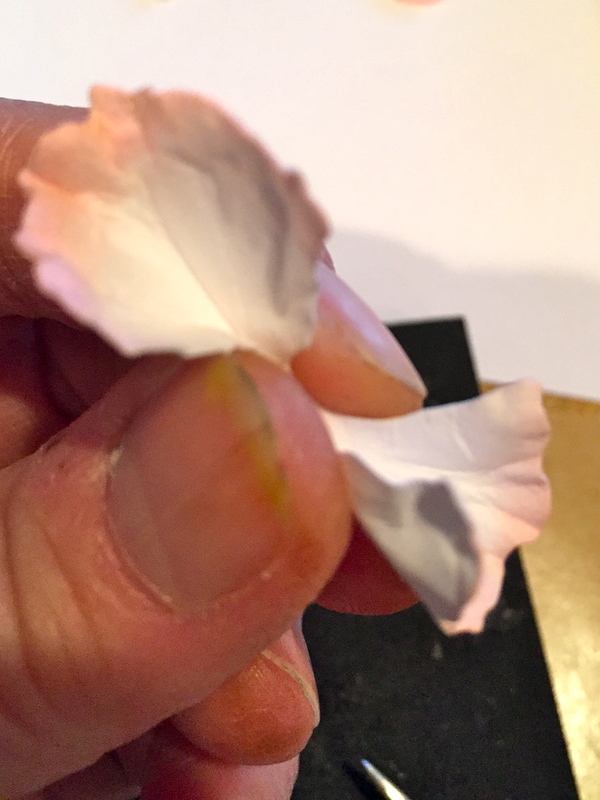 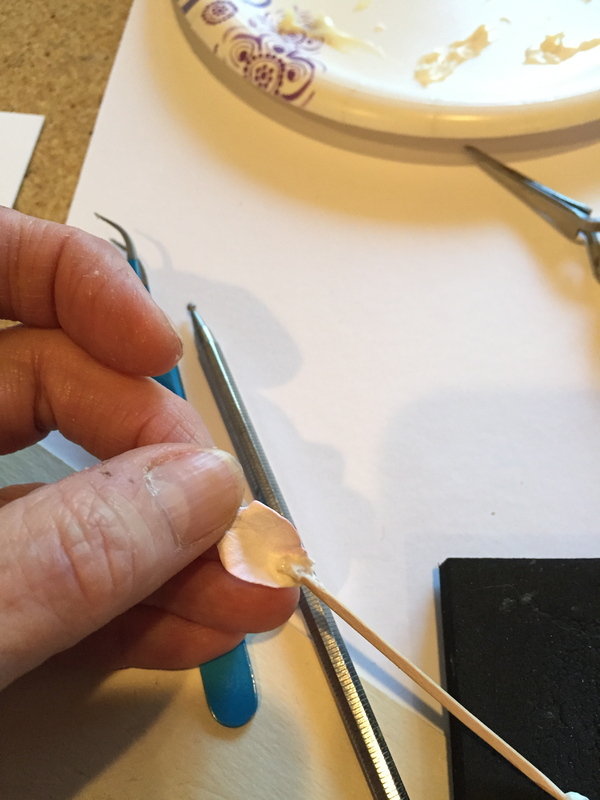 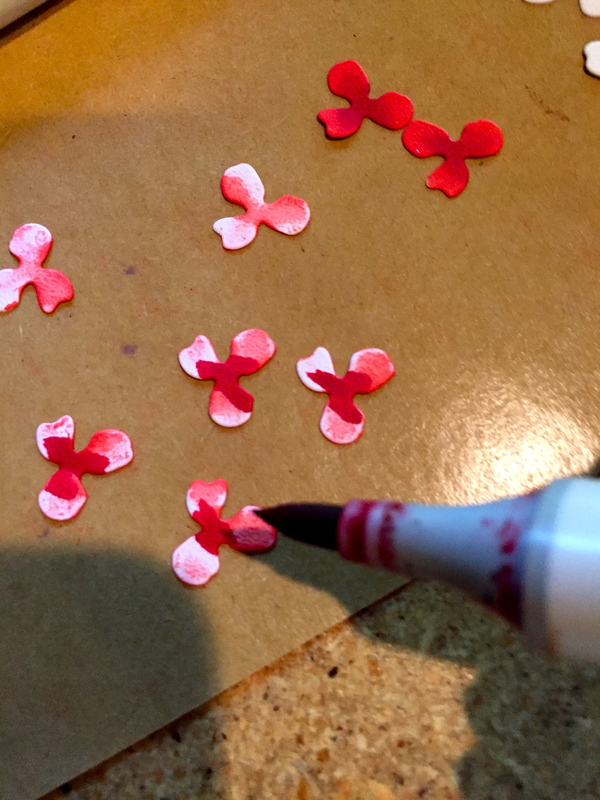 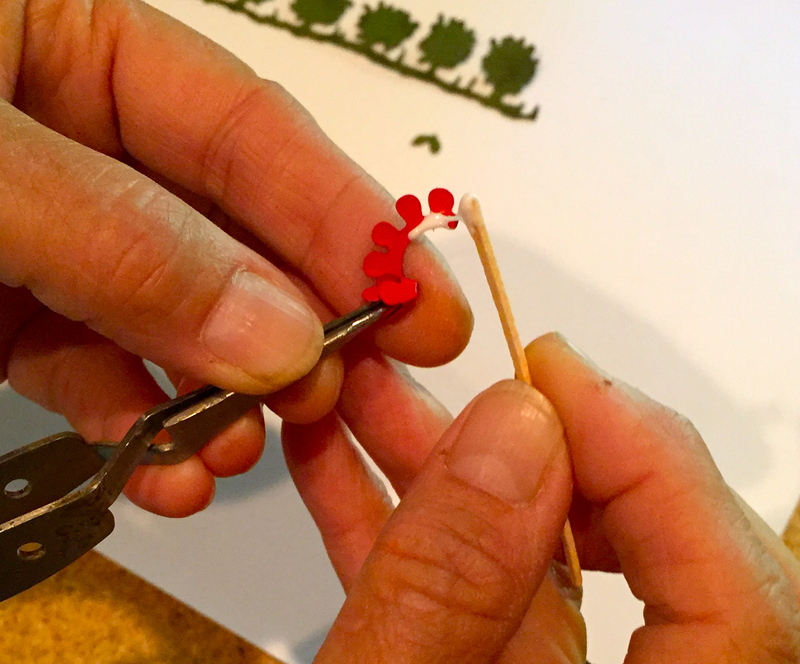 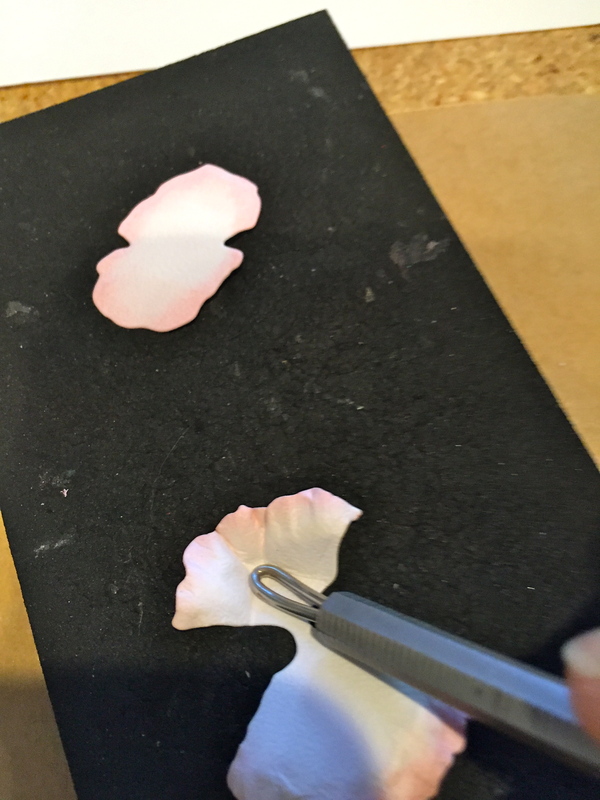 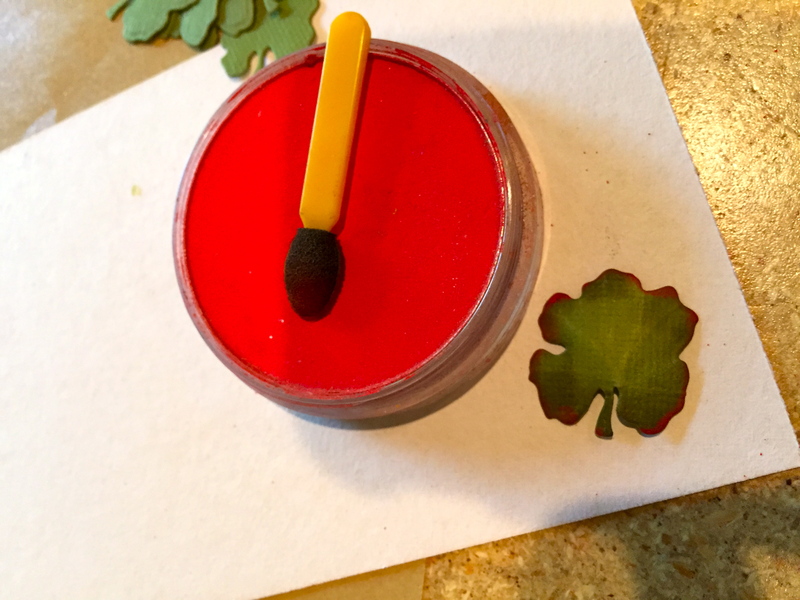 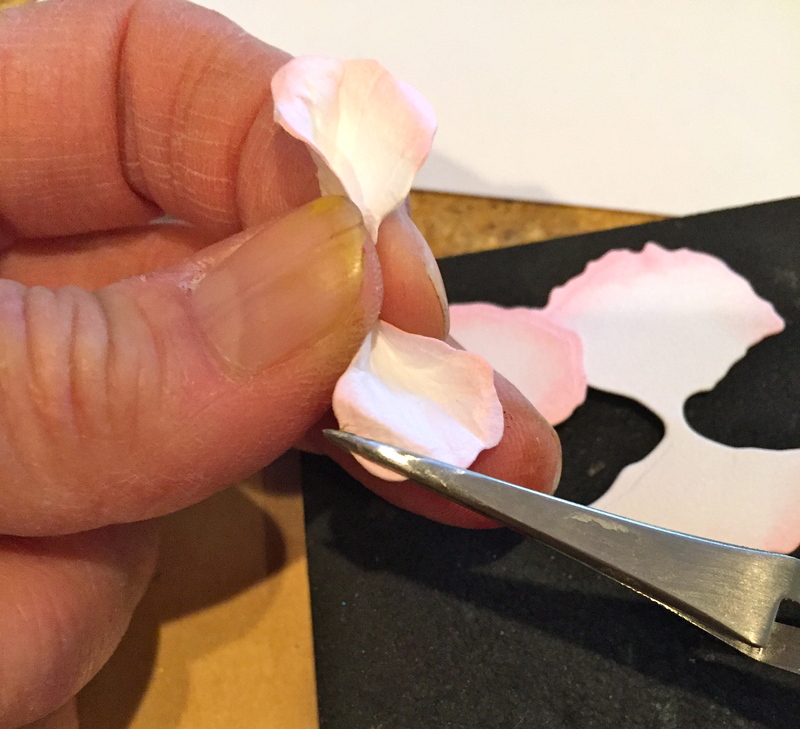 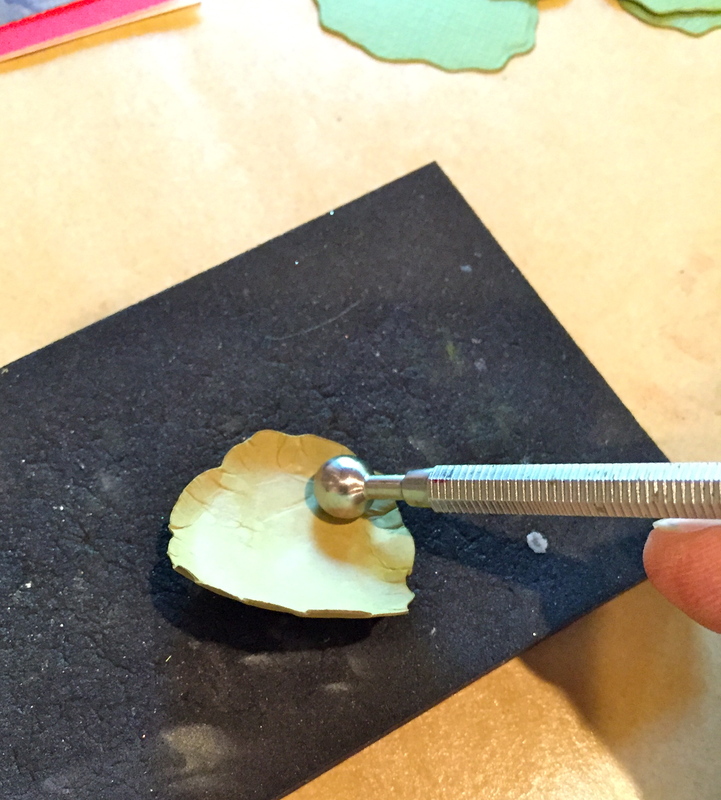 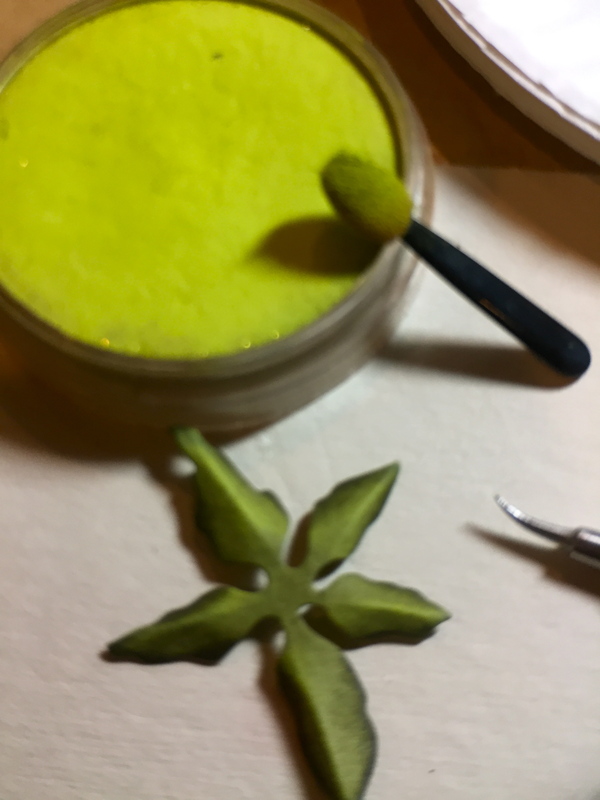 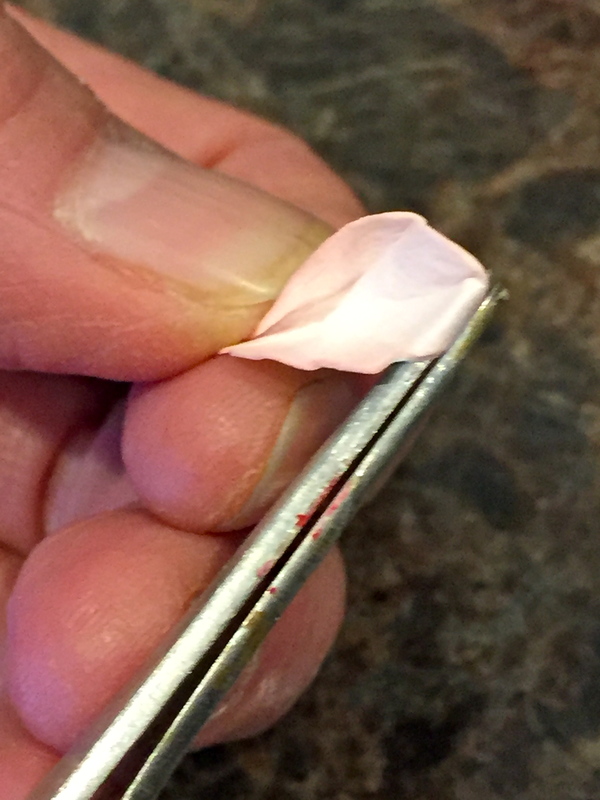 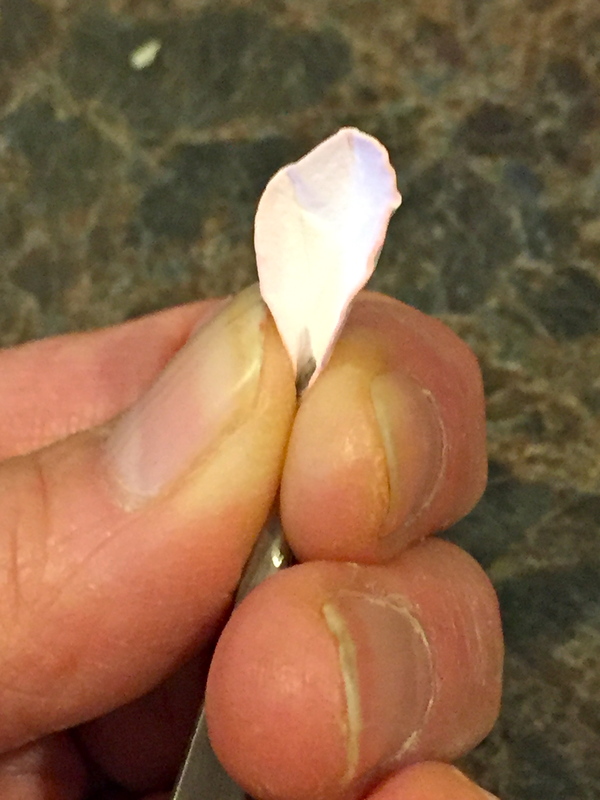 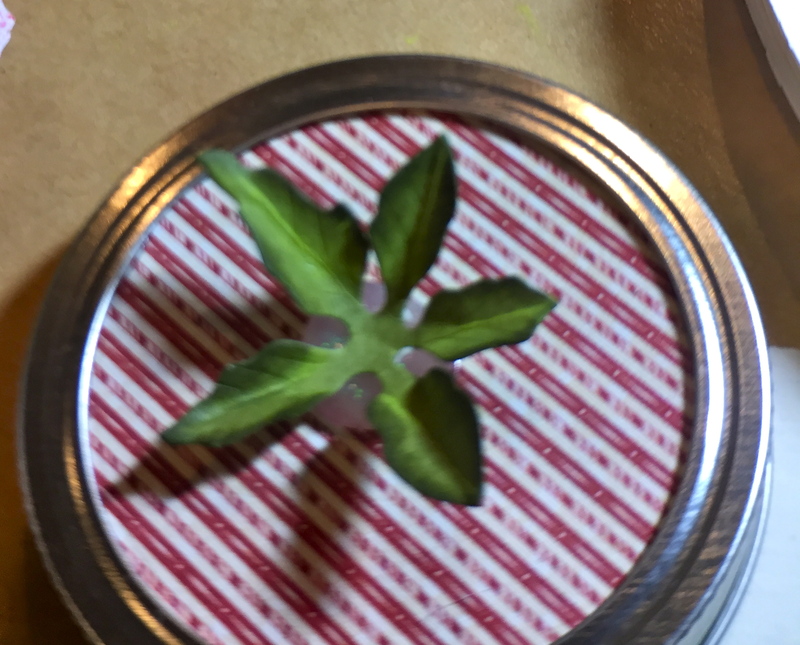 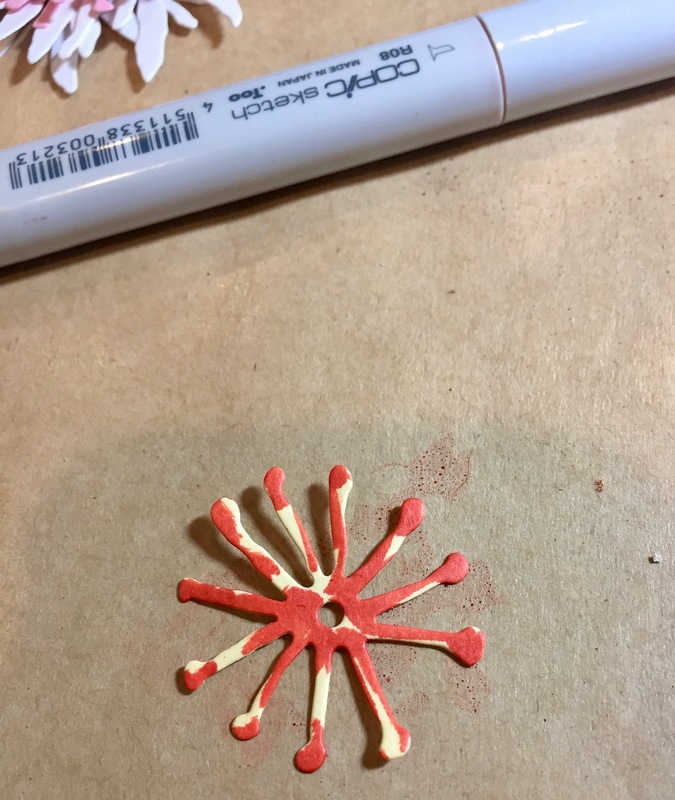 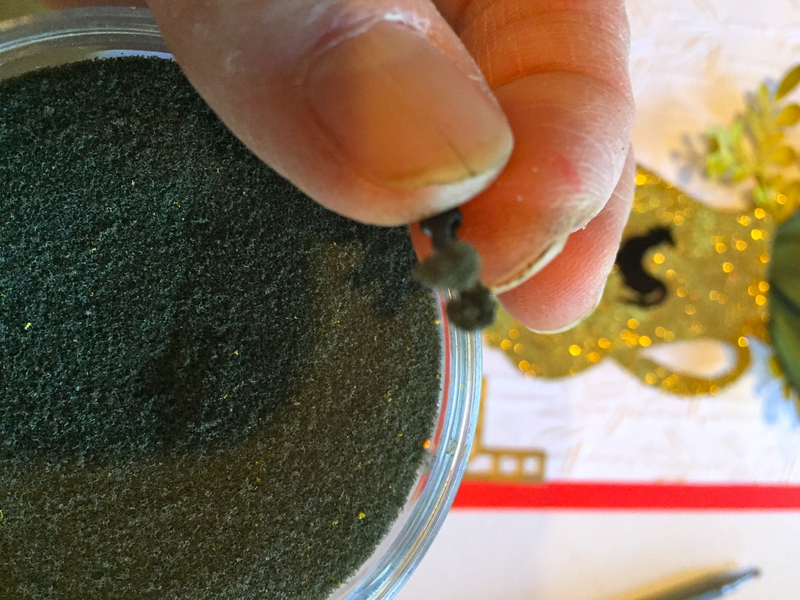 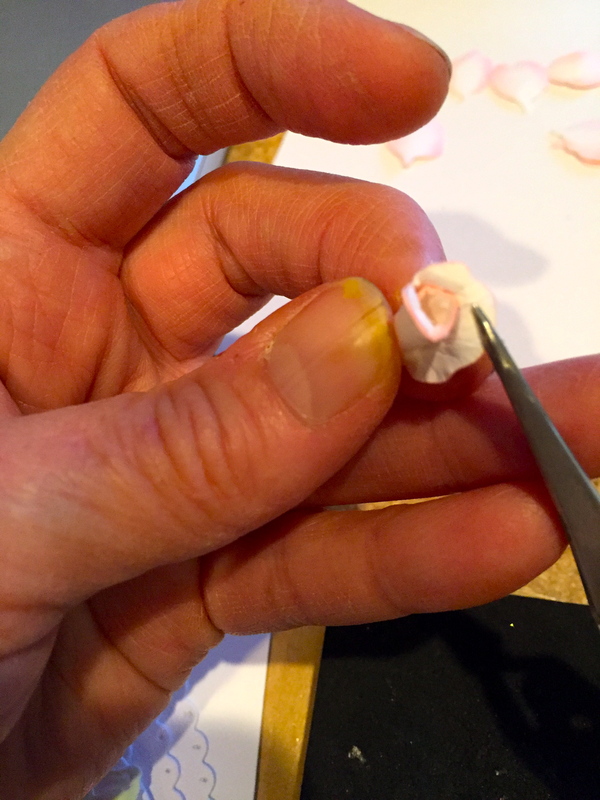 Then, use ECD’s small tweezers to pick up the petals, dip lightly into the Kids Choice Glue, and place in the center of the flower. 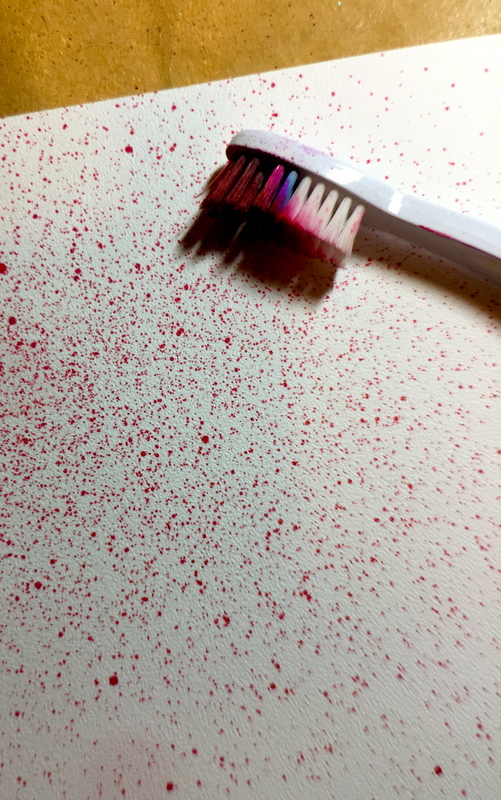 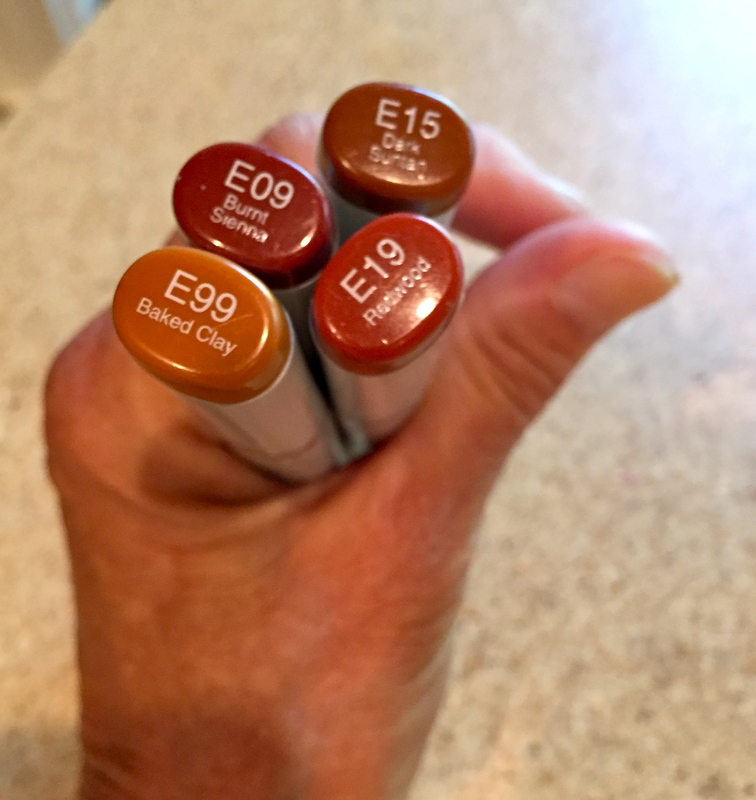 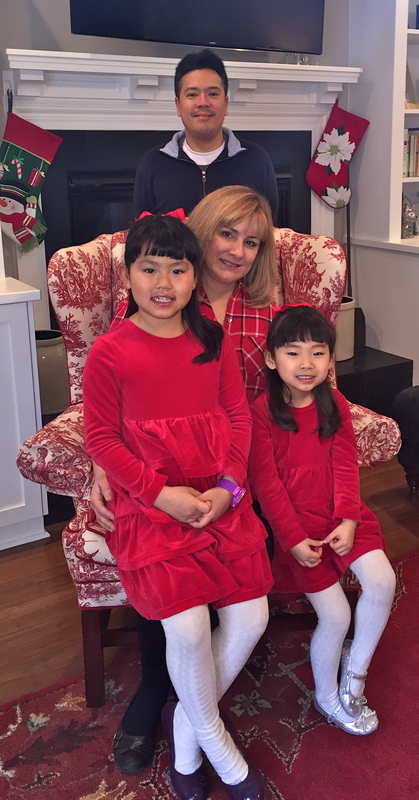 I made an array of colors, but you certainly could have done them all in one color. 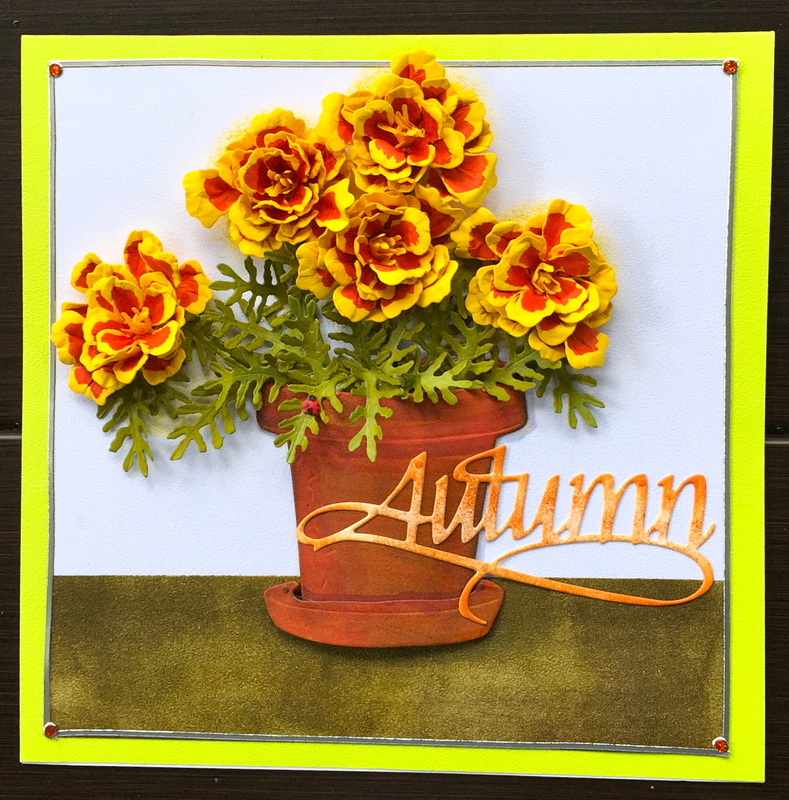 I also didn’t use the leaves that come with the Gerbera; I would choose those if I were doing it in a flower pot! 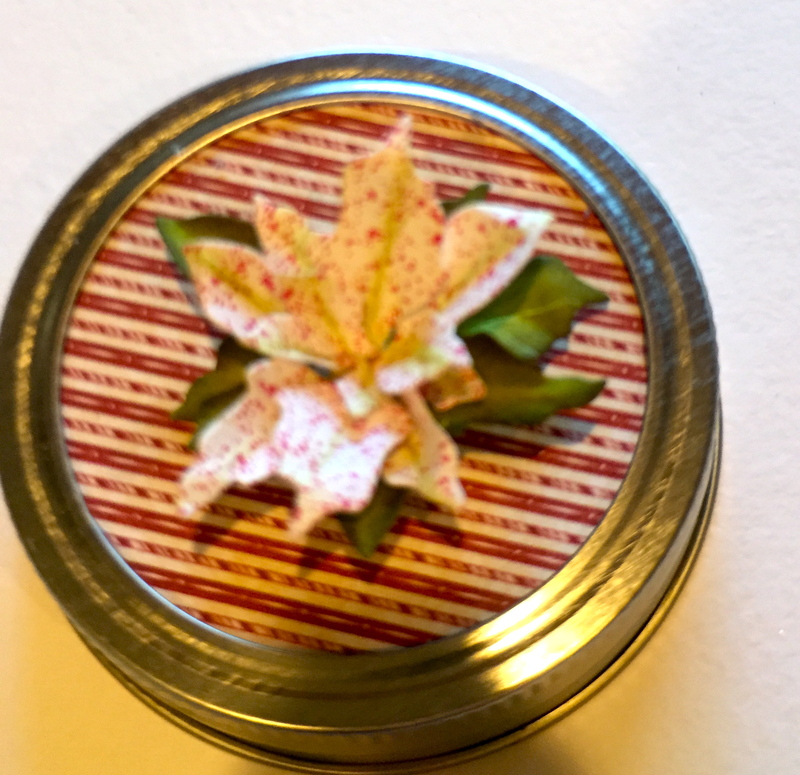 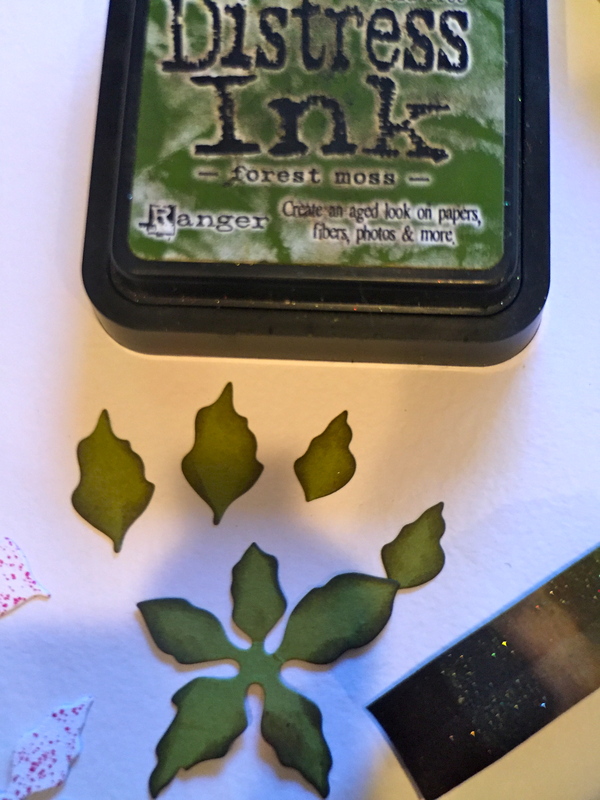 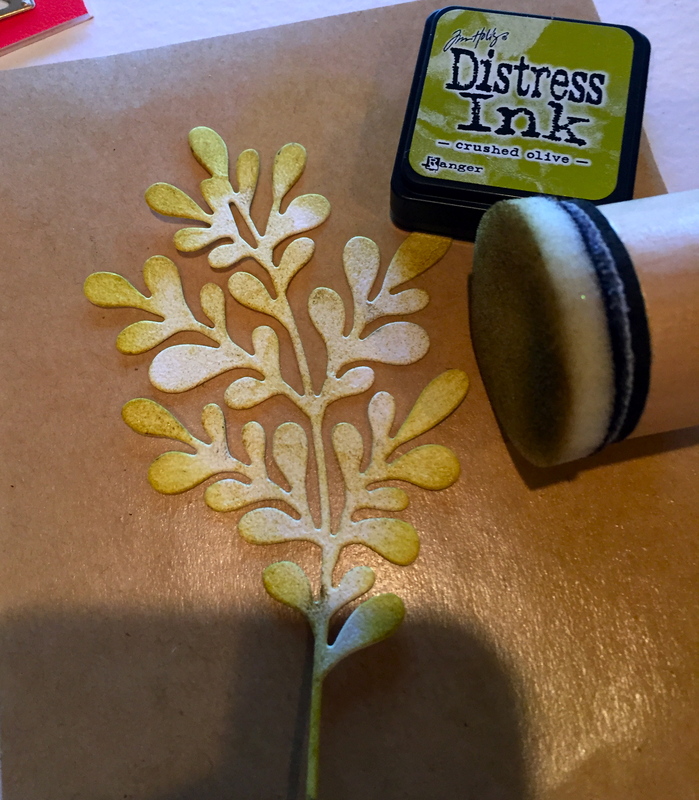 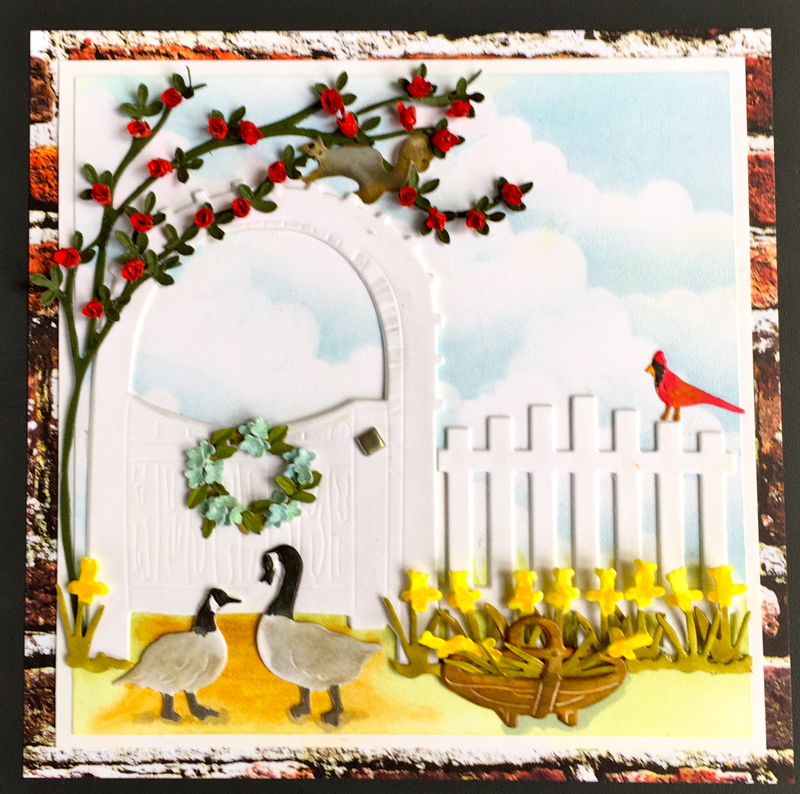 I added some more sprigs of Leafy Branch 4 in the front and Suzanne Cannon’s “Spring” from her 4 Season’s die. 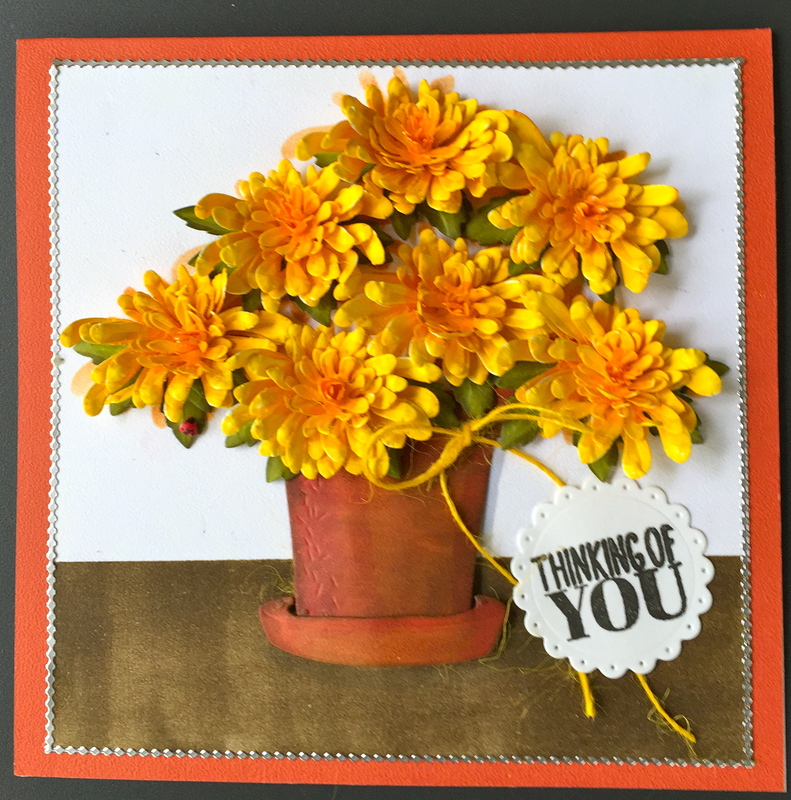 I hope you try this colorful flower in your bouquets. 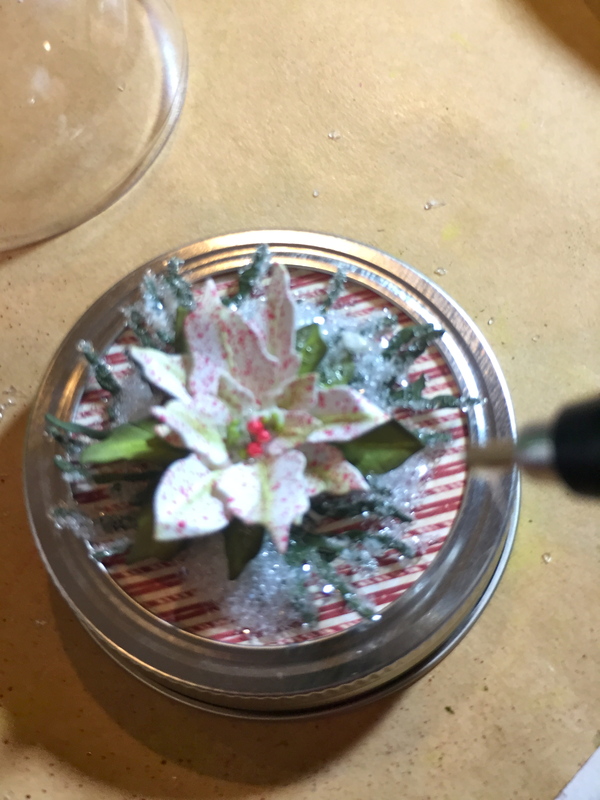 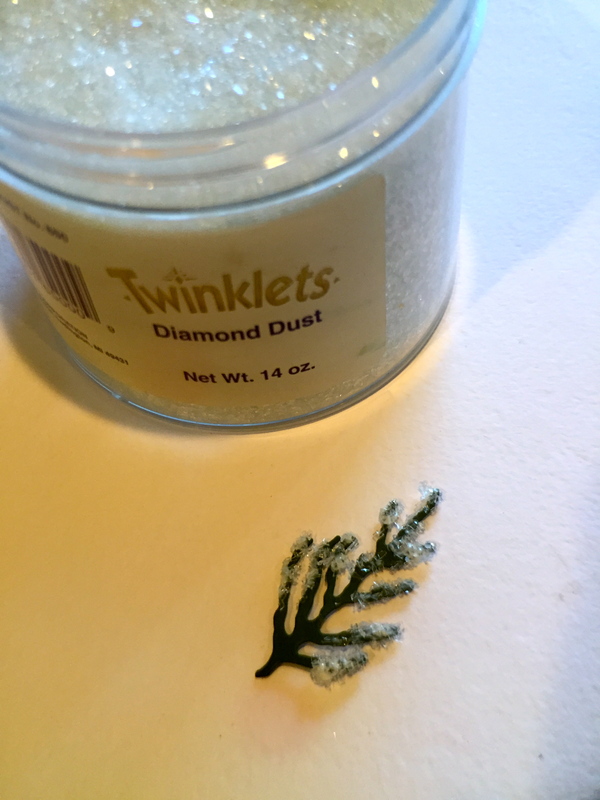 It’s easy to make and with just a few details can look as real as the natural ones.